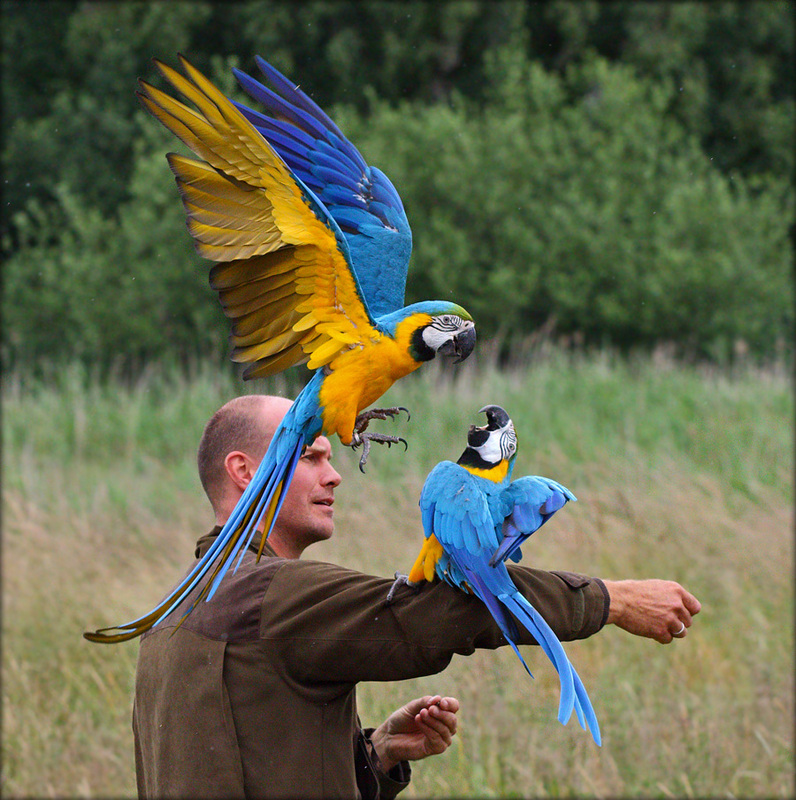 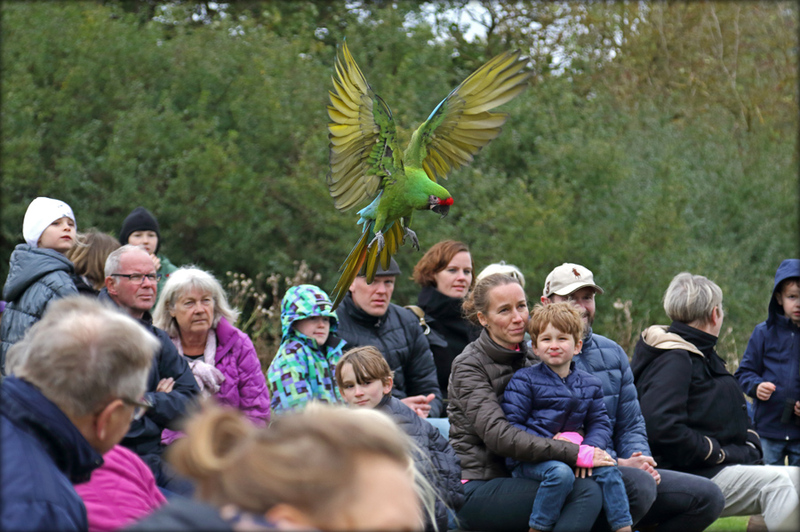 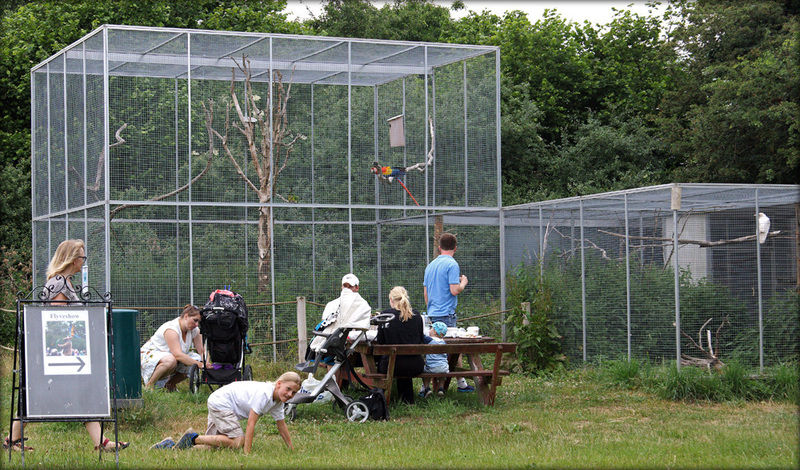 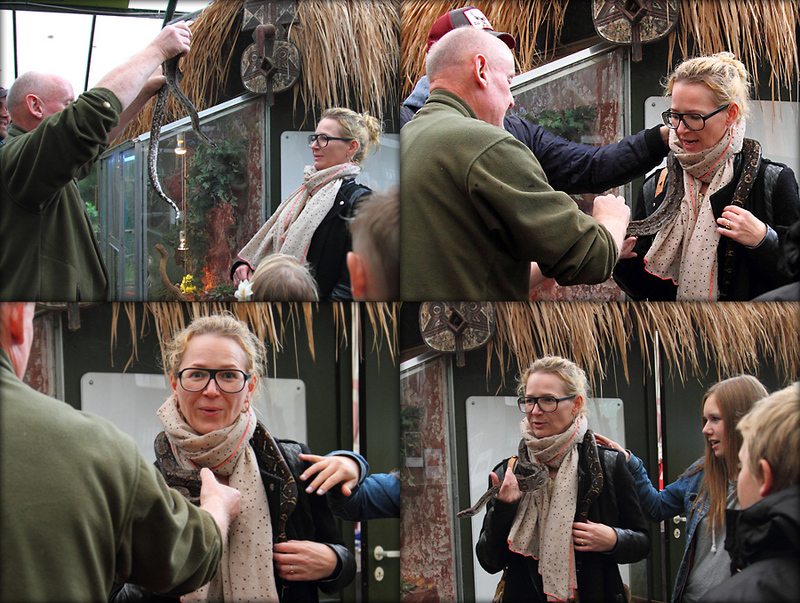 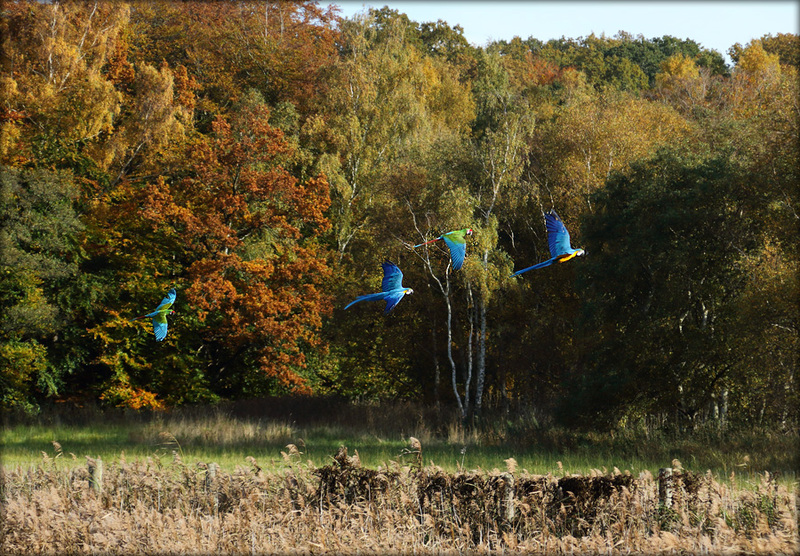 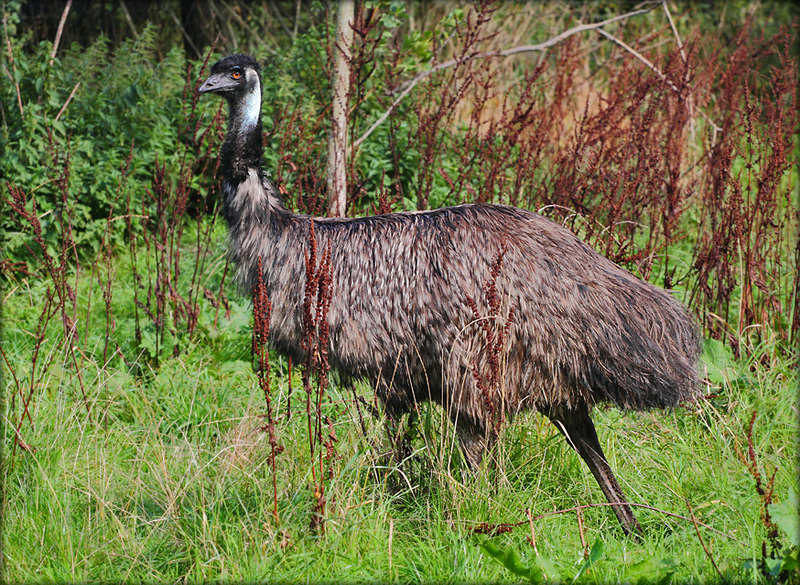 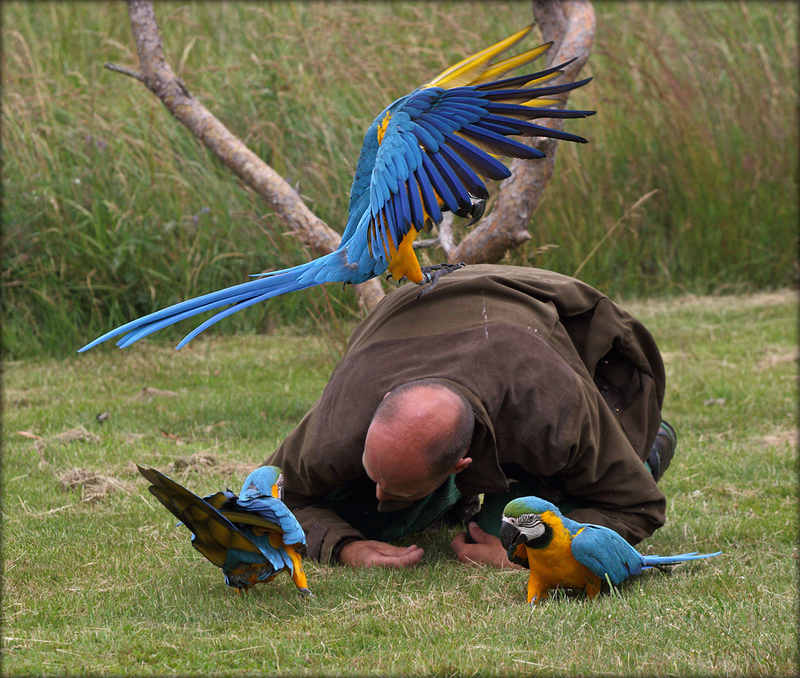 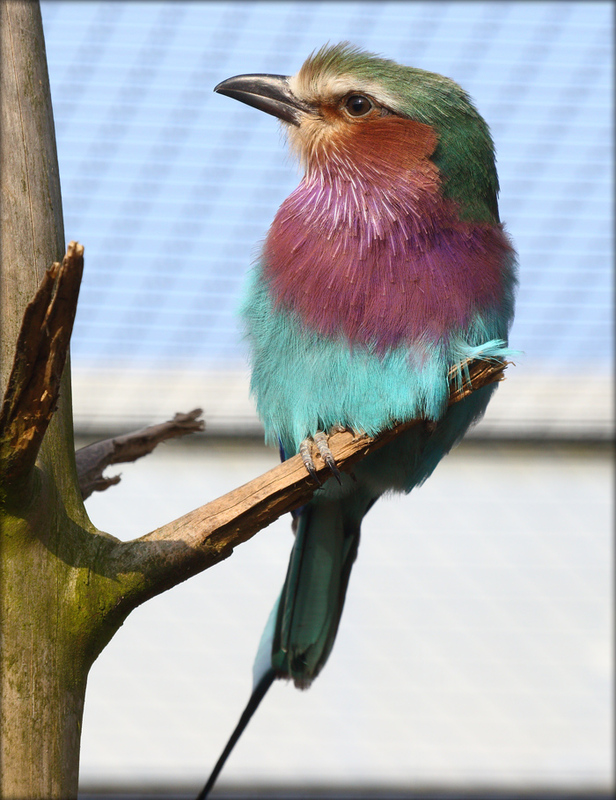 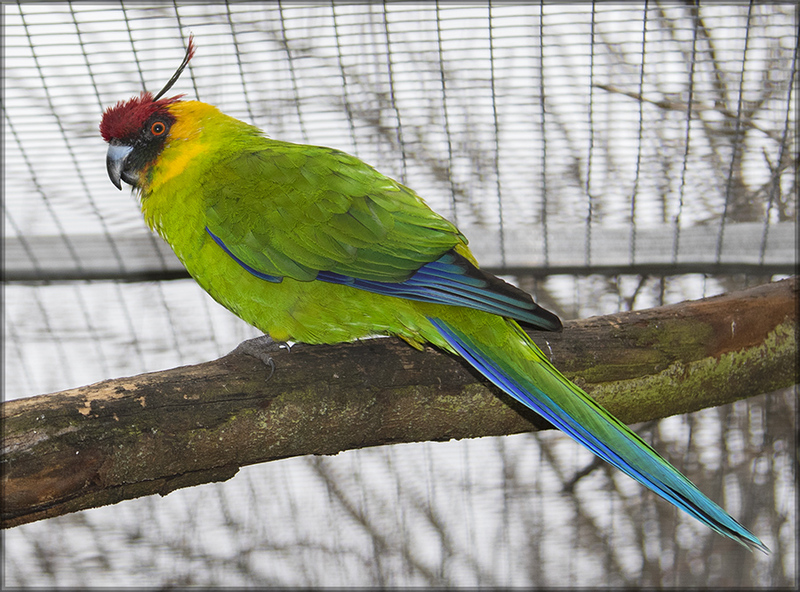 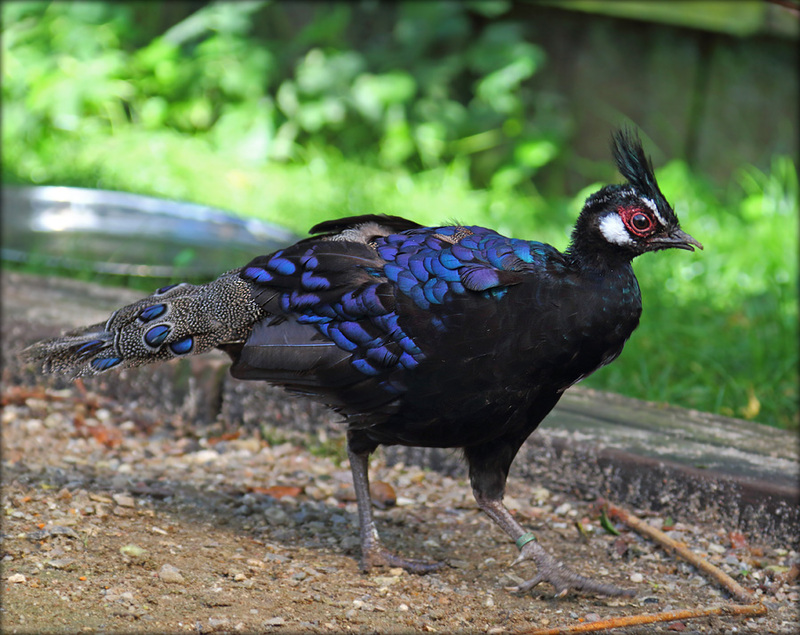 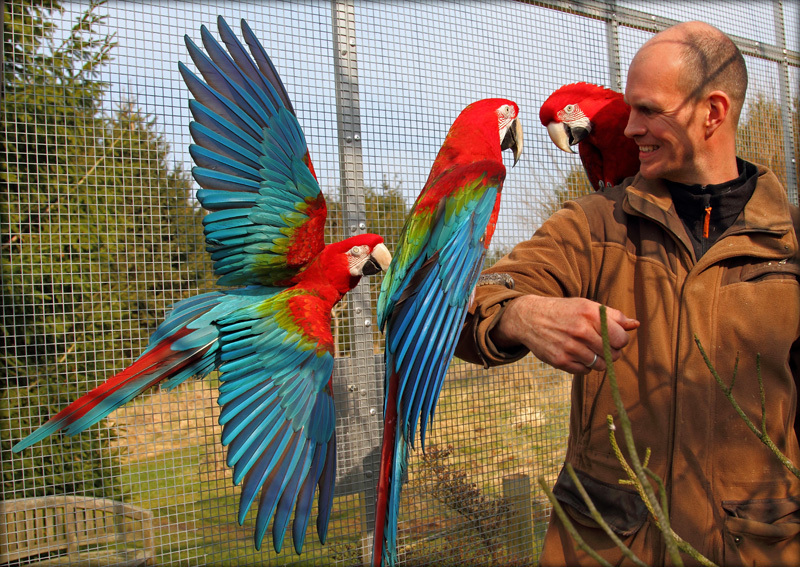 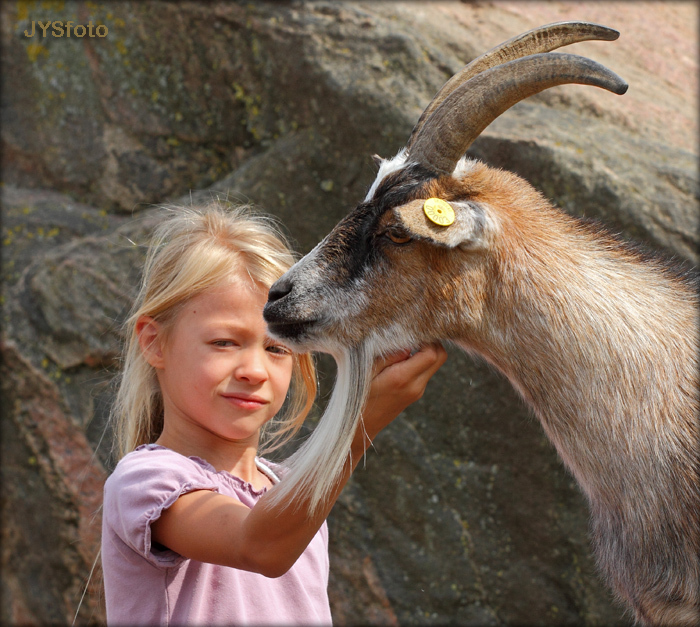 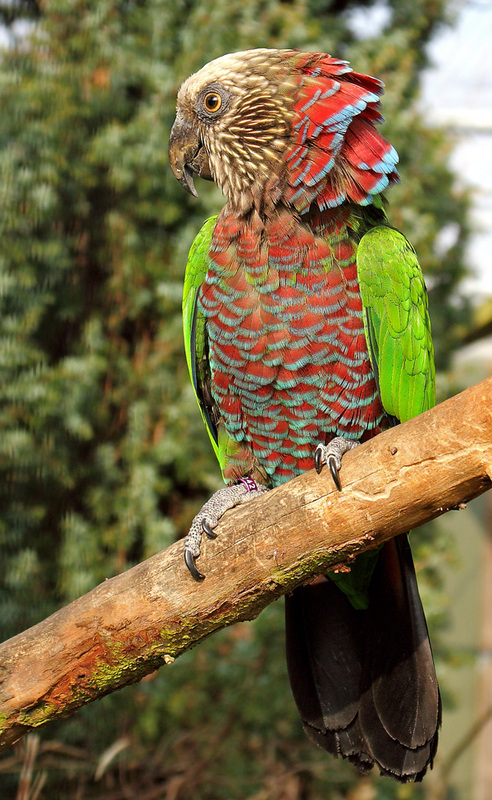 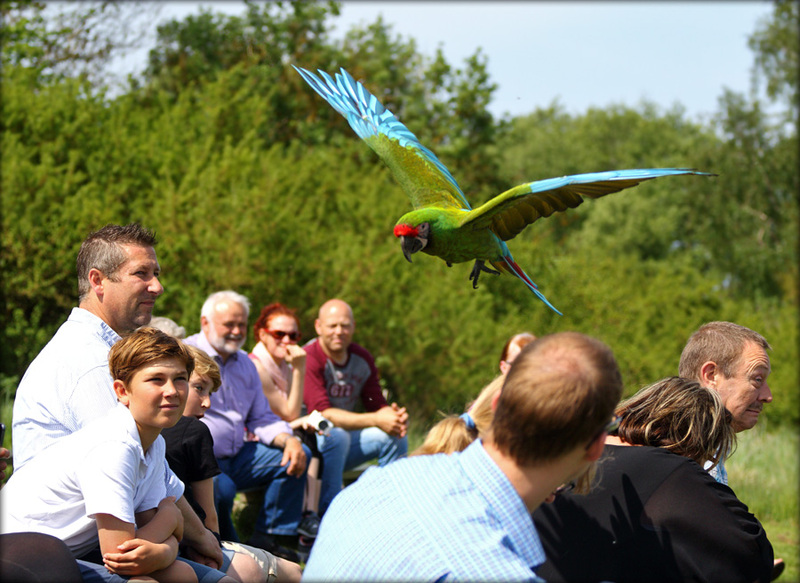 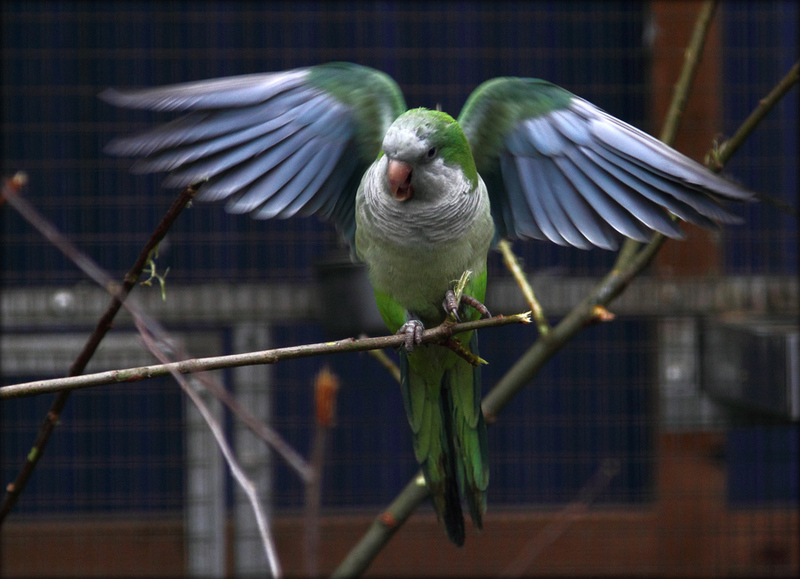 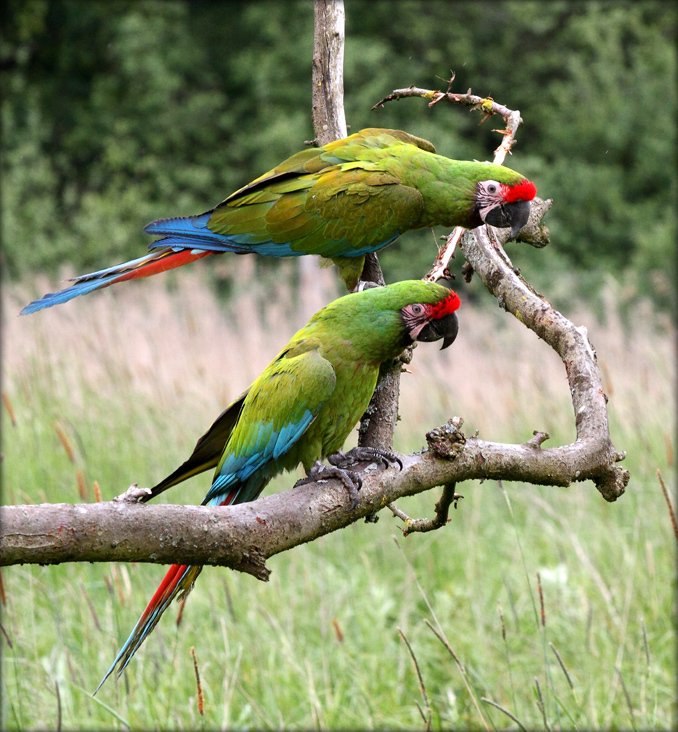 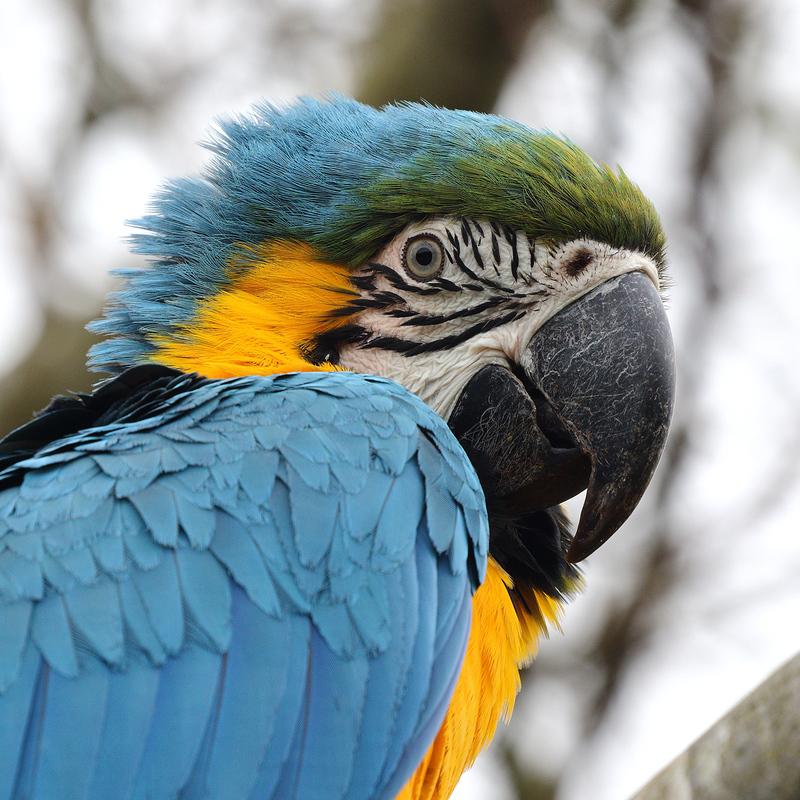 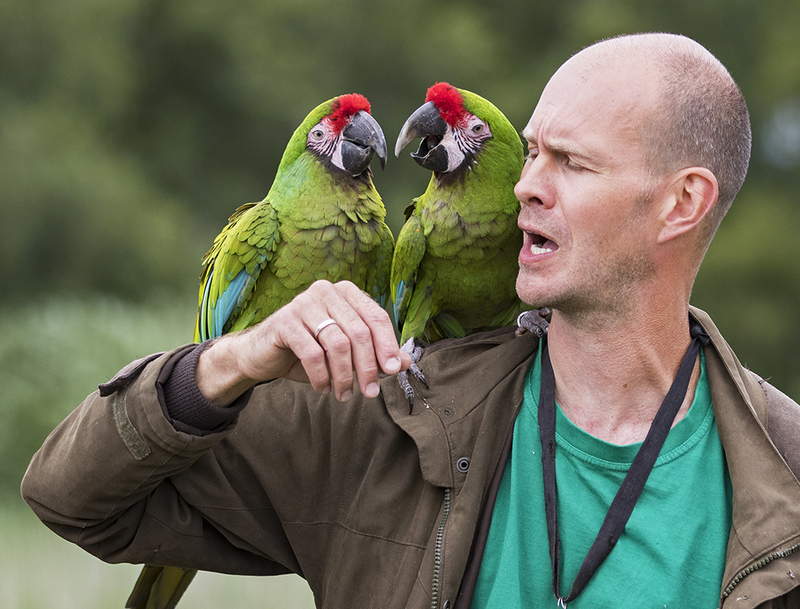 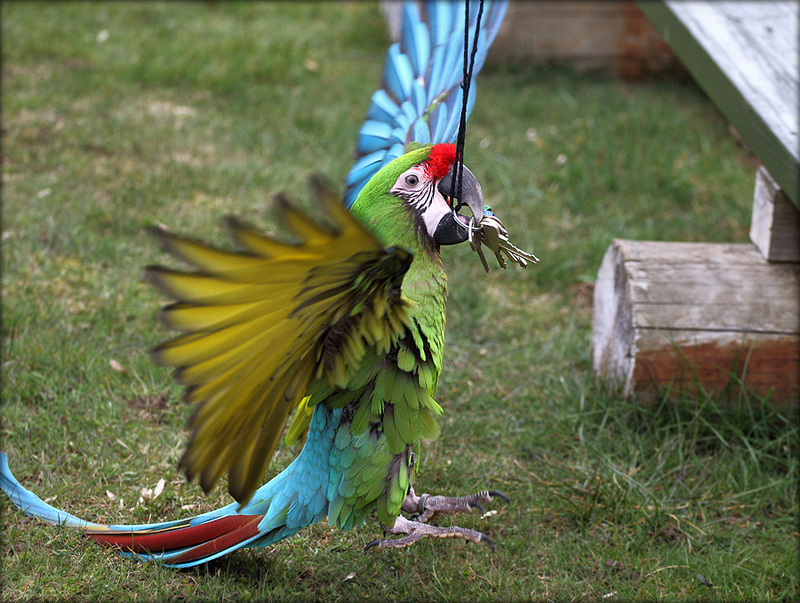 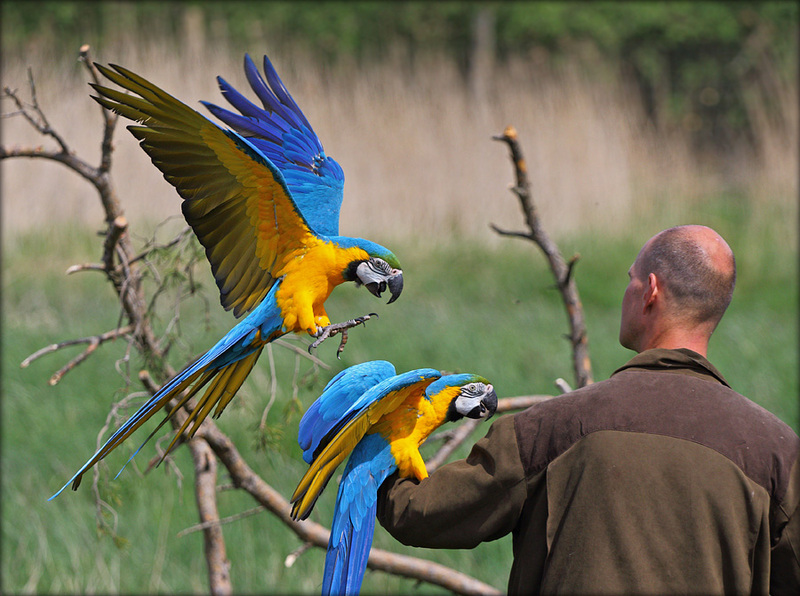 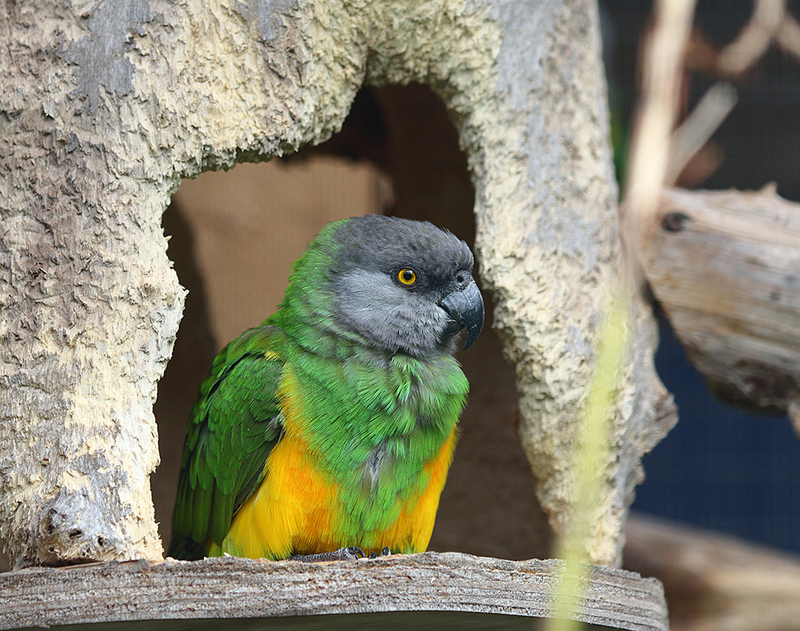 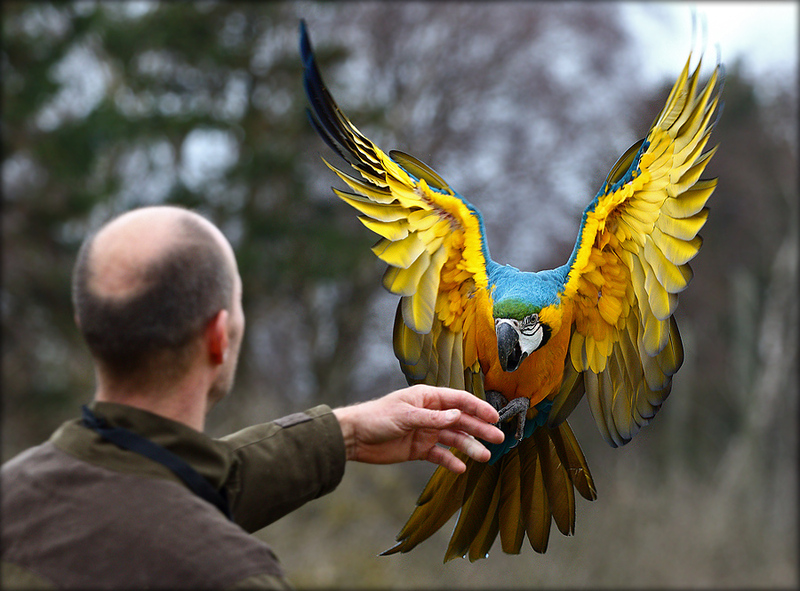 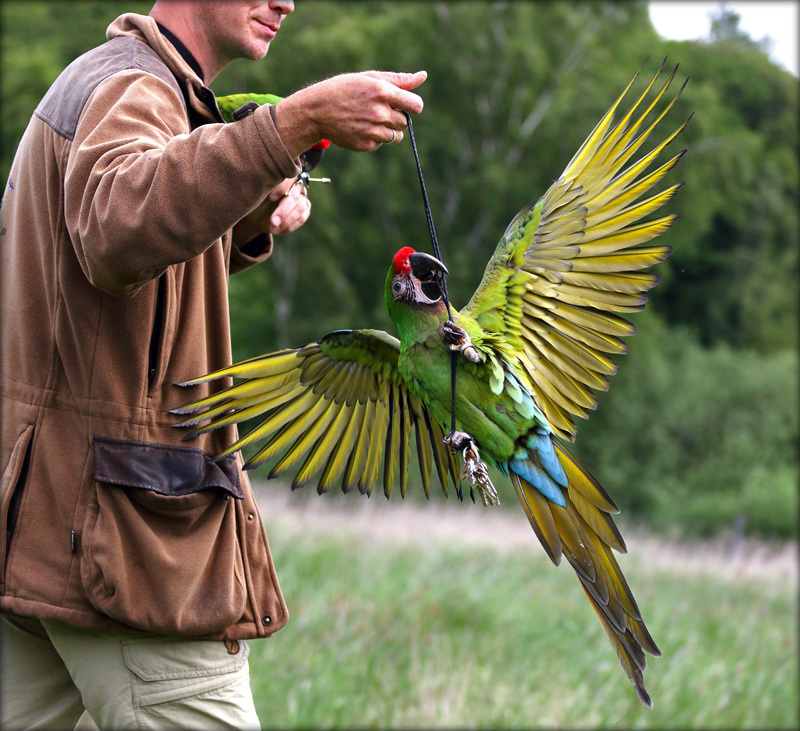 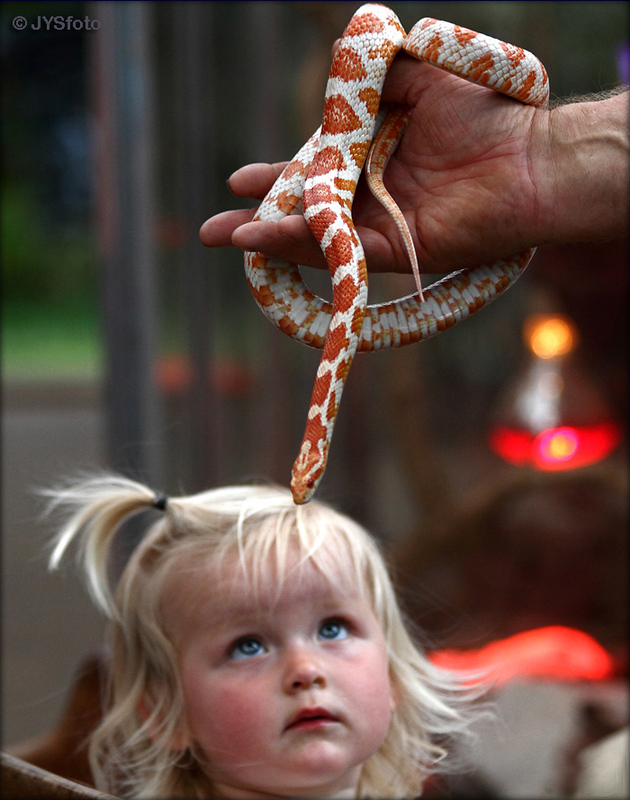 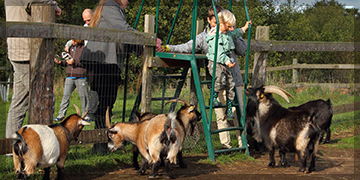 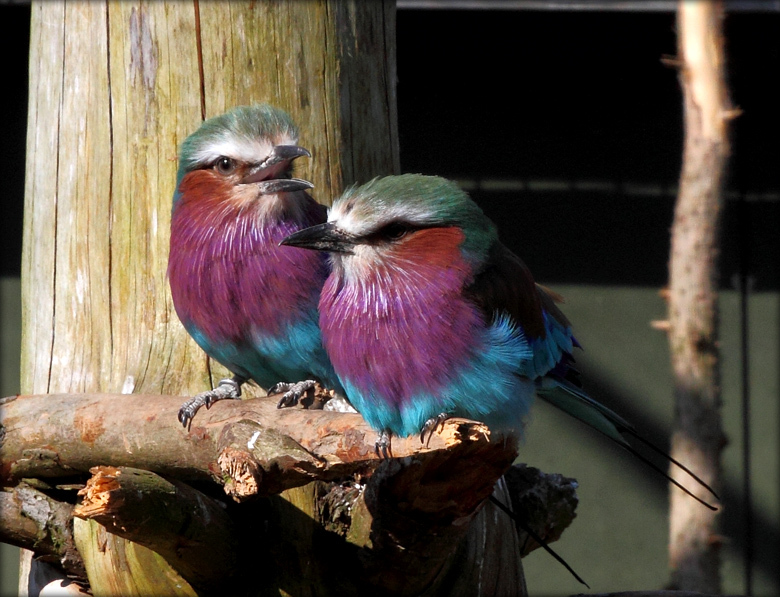 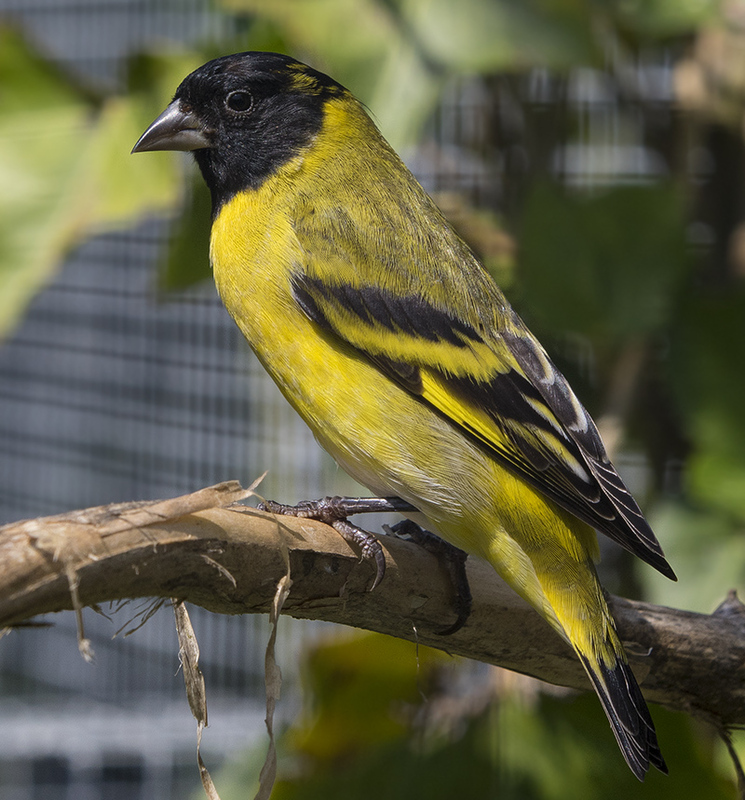 The North Zeeland Bird park is the largest of its kind in Scandinavia. 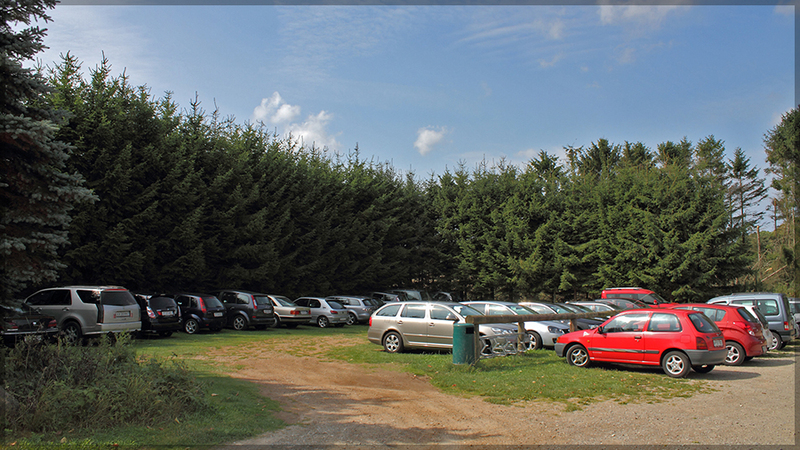 It is over 70.000 sqm. 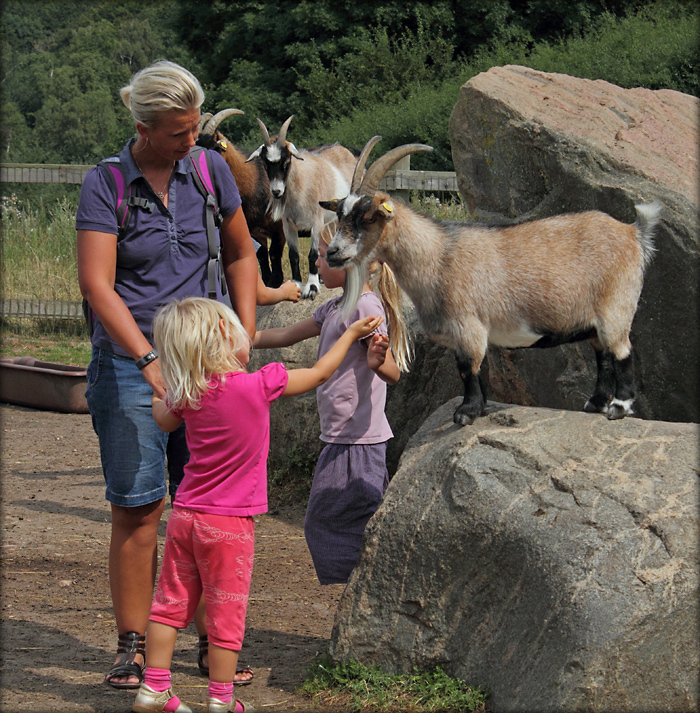 situated in the picturesque North Zeeland between Gilleleje and Esrum. 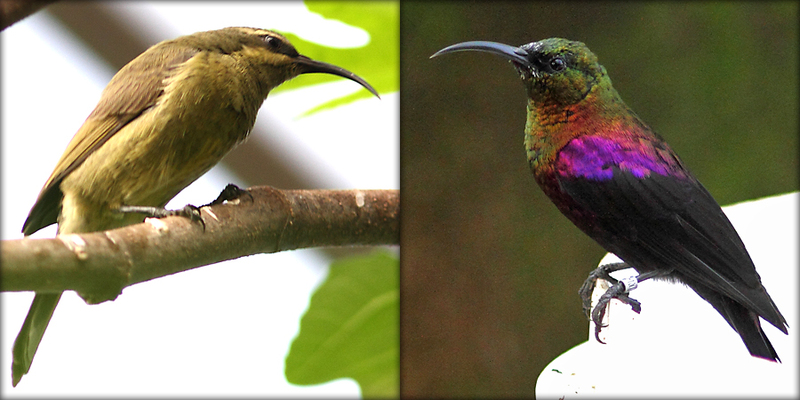 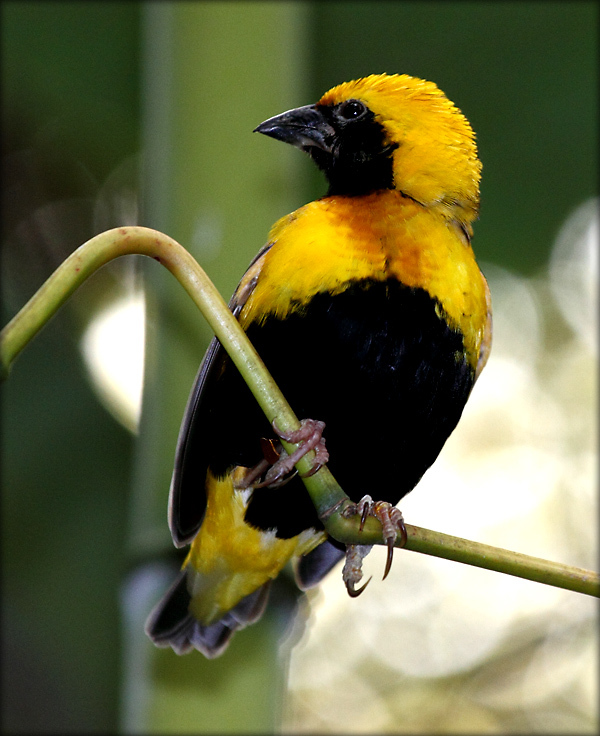 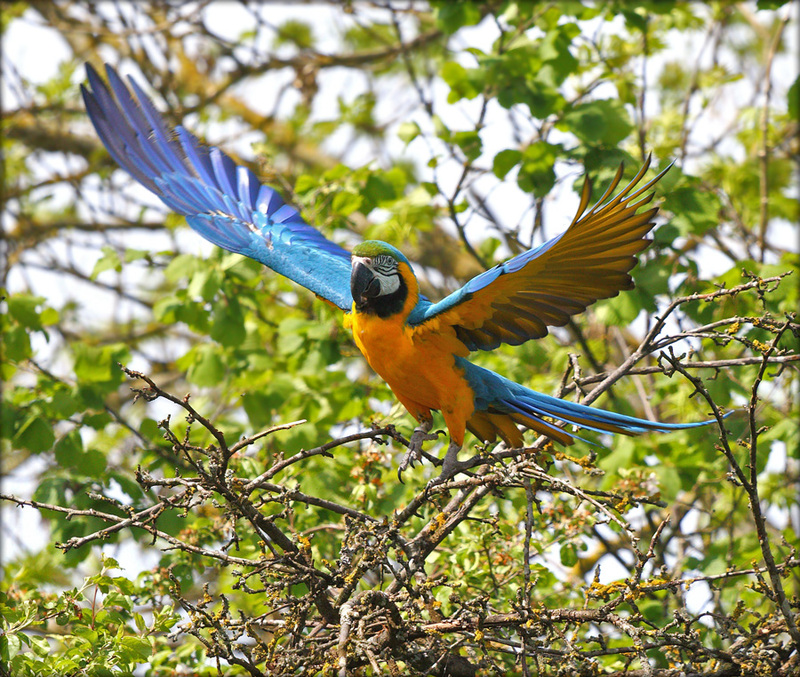 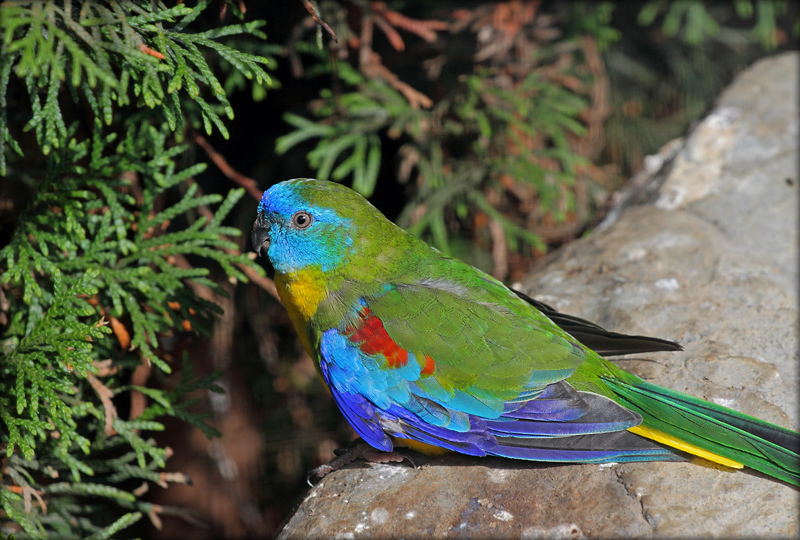 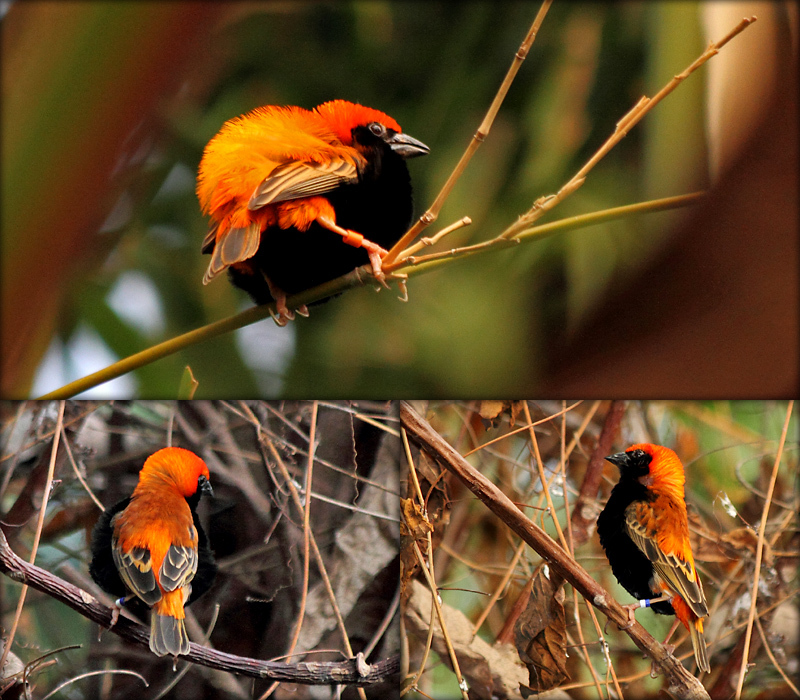 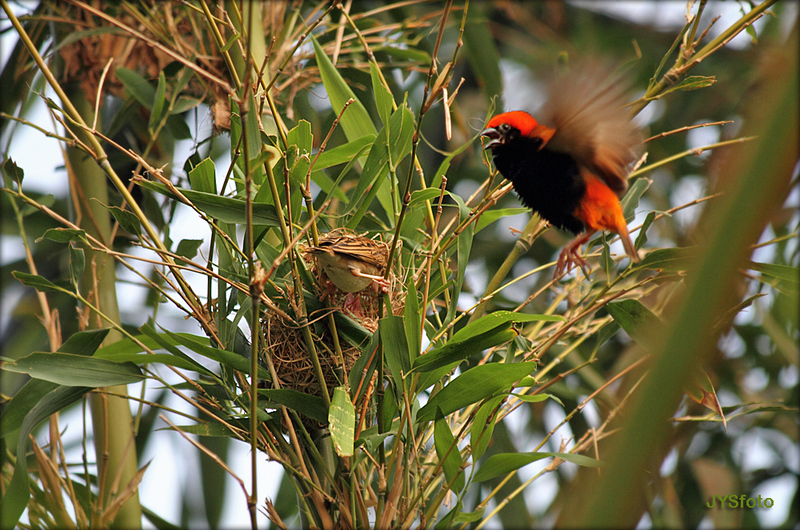 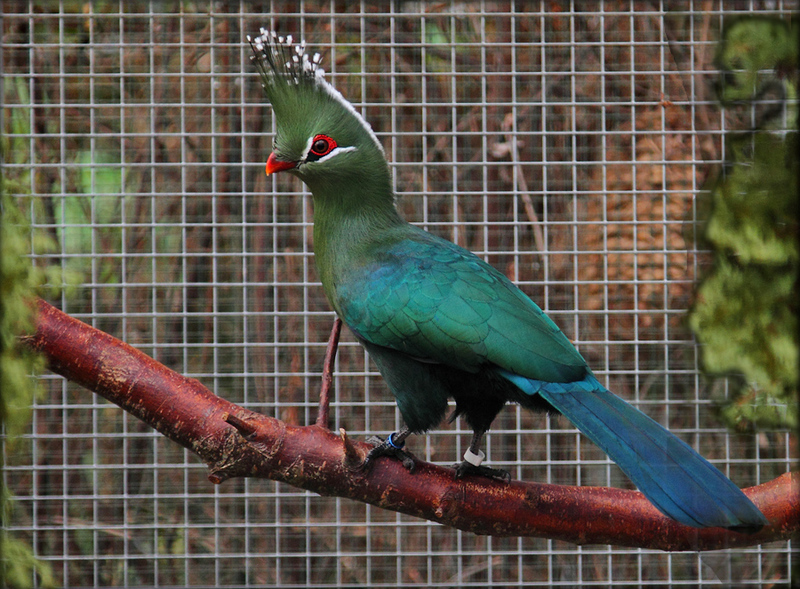 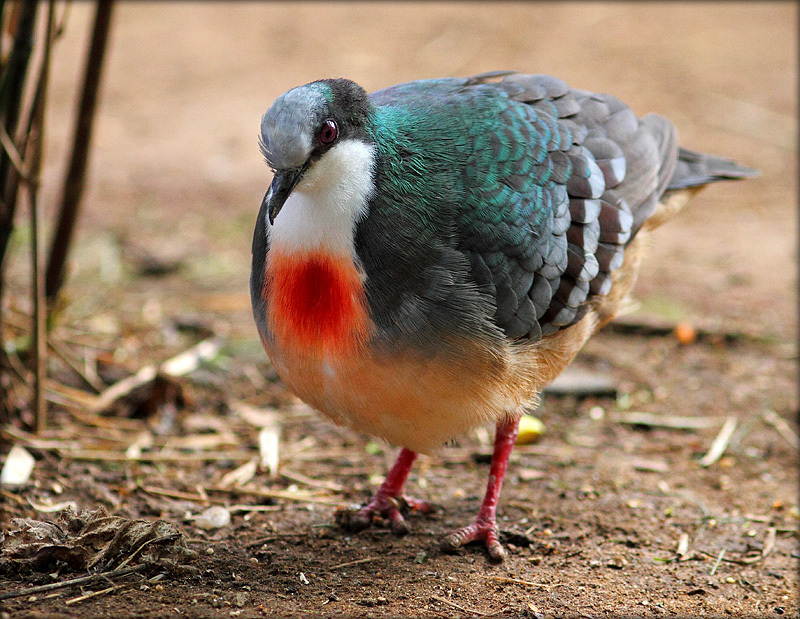 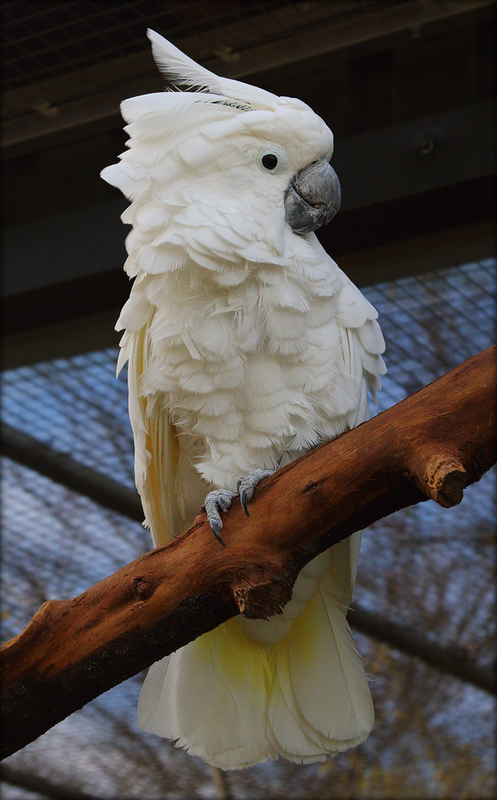 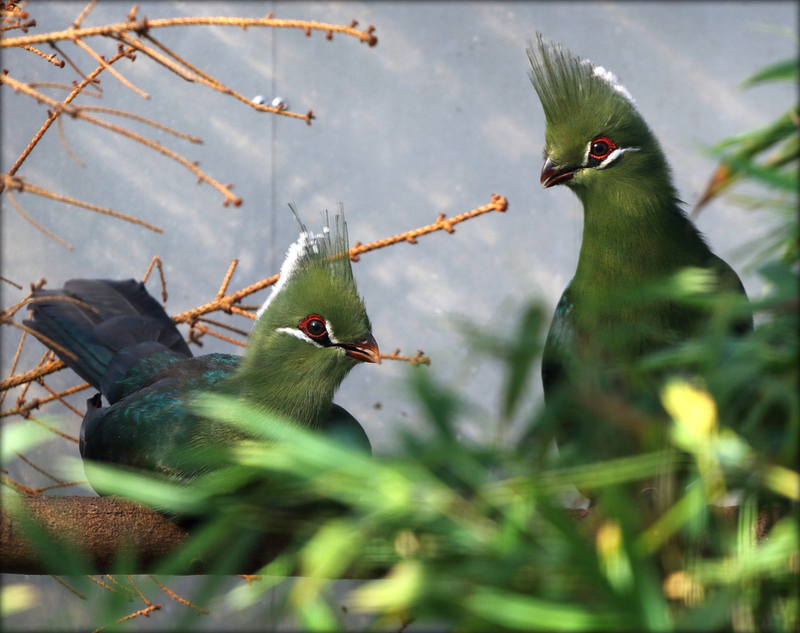 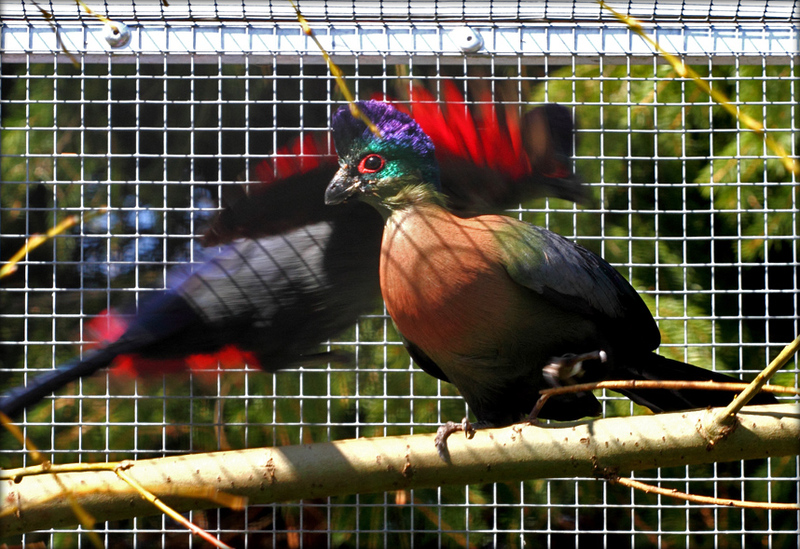 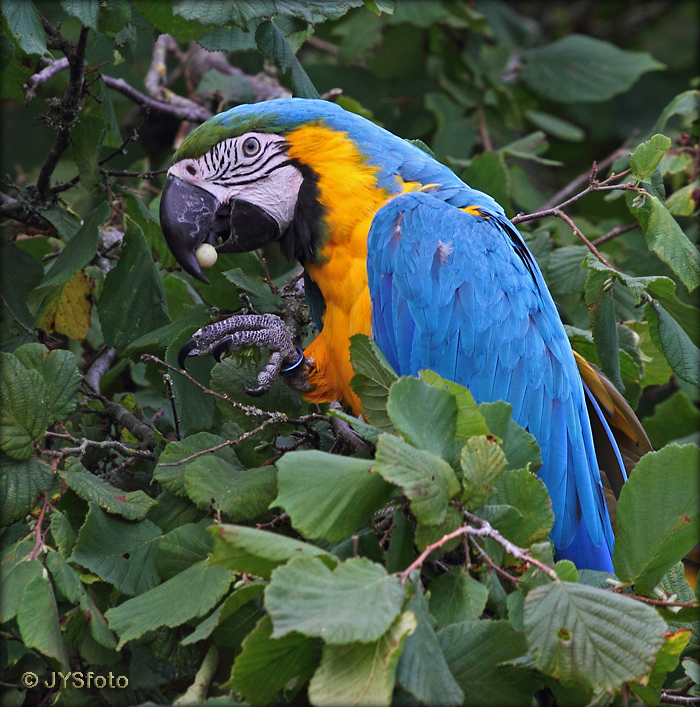 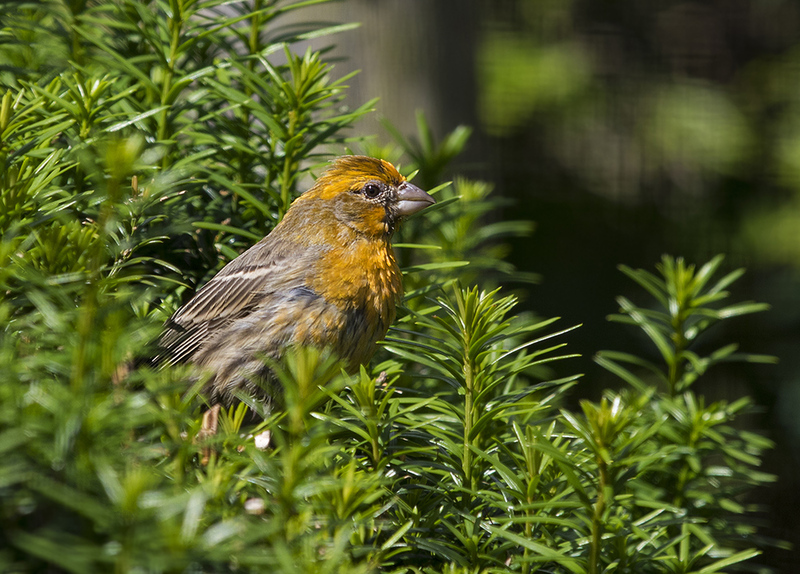 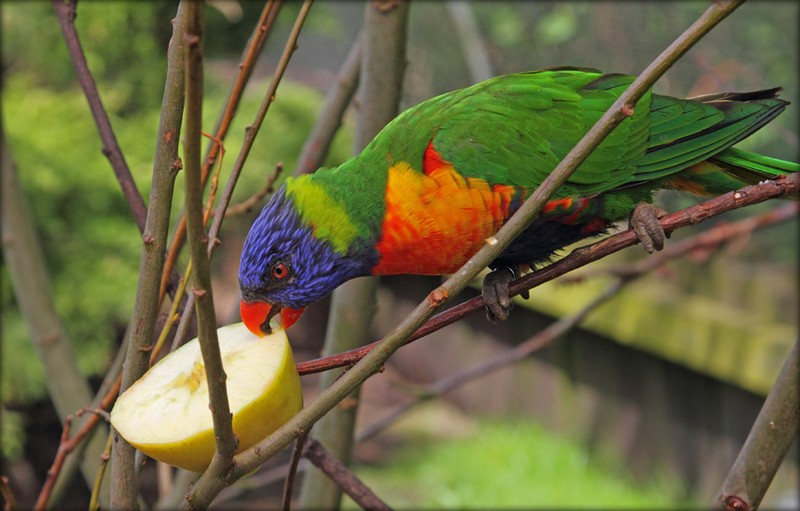 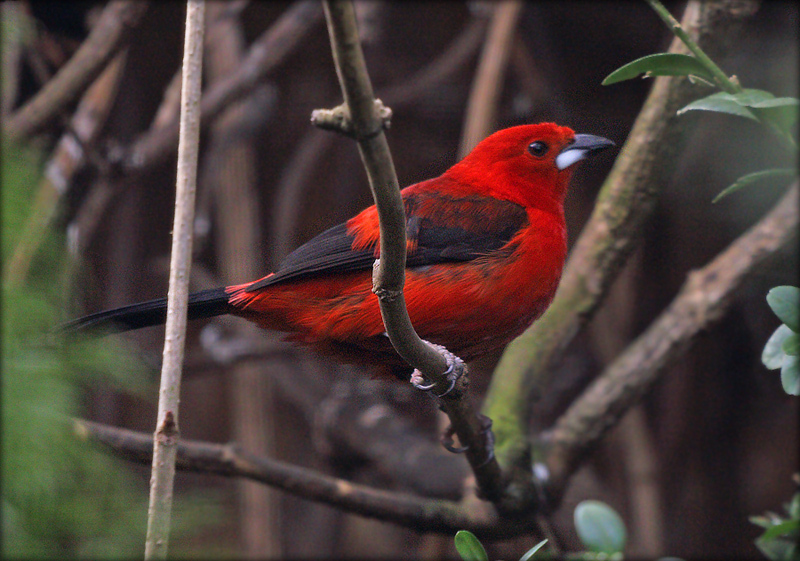 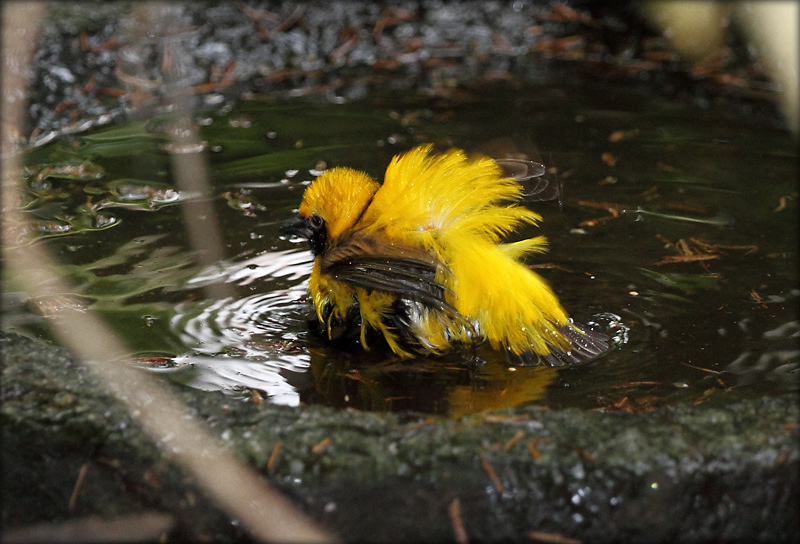 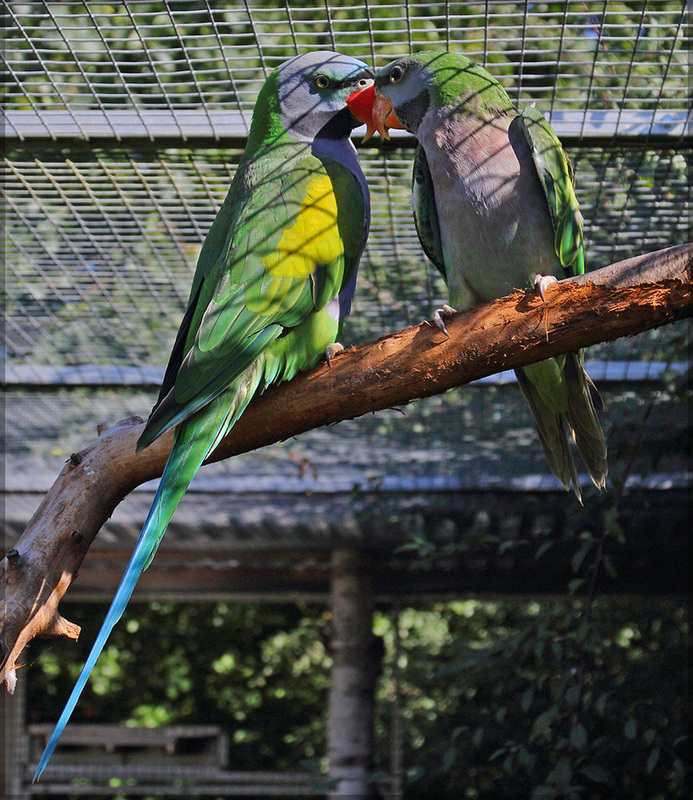 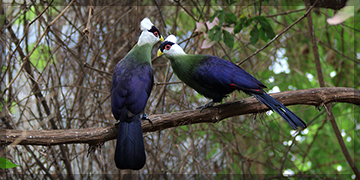 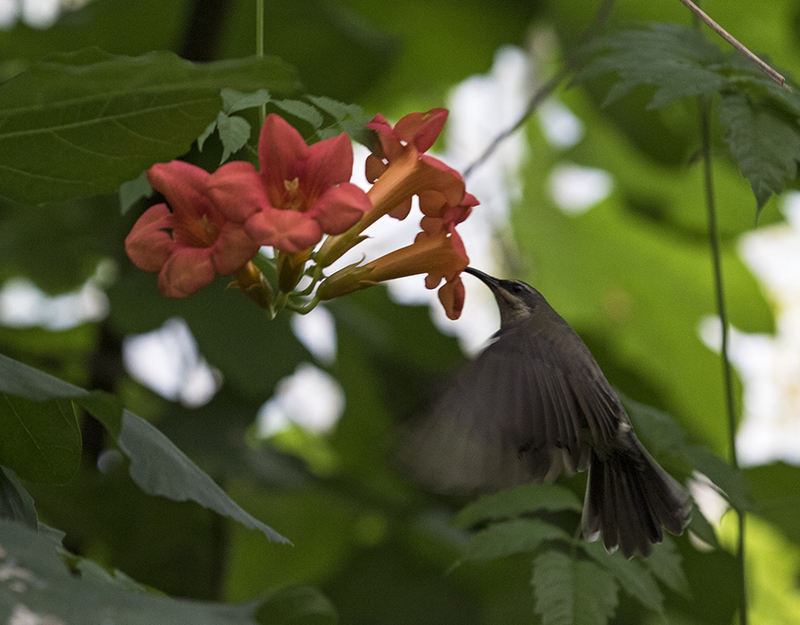 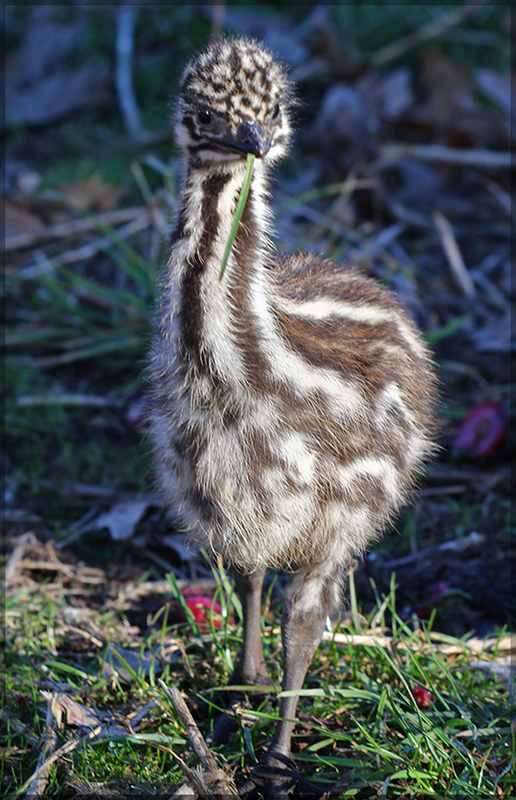 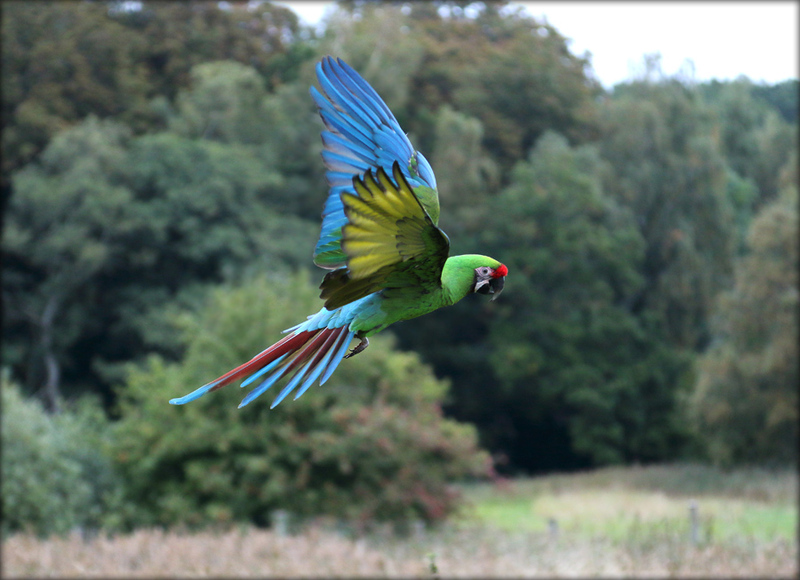 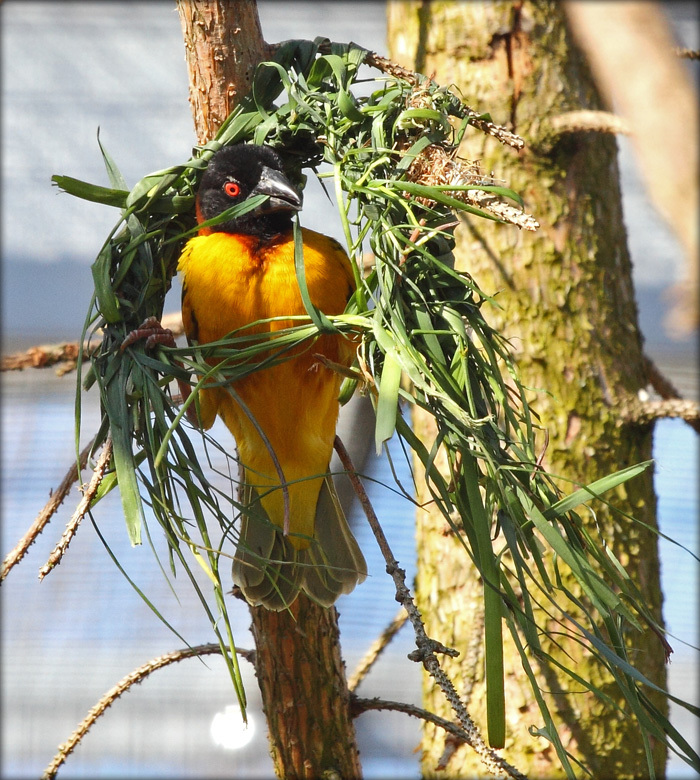 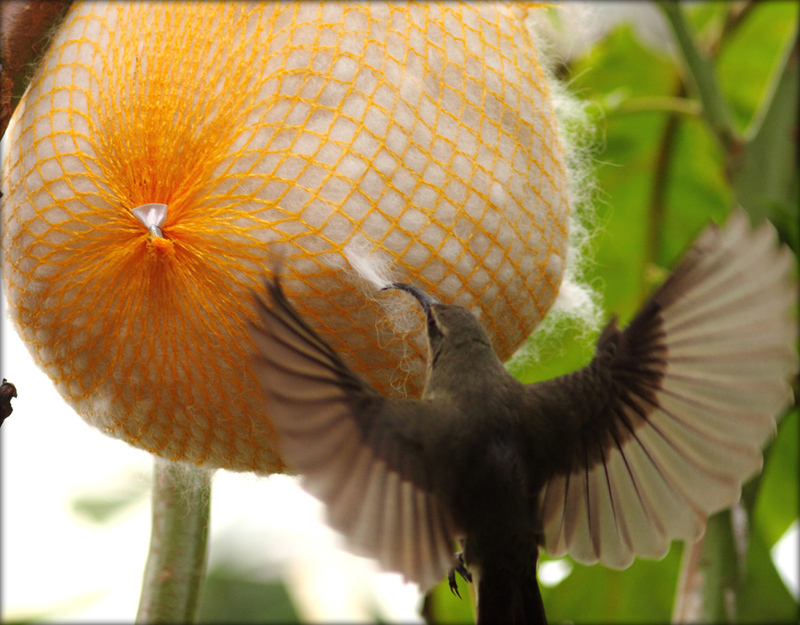 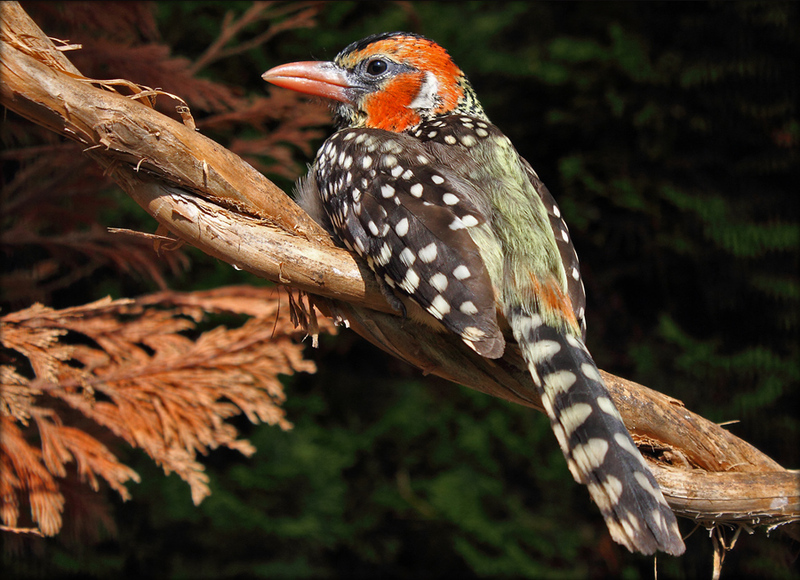 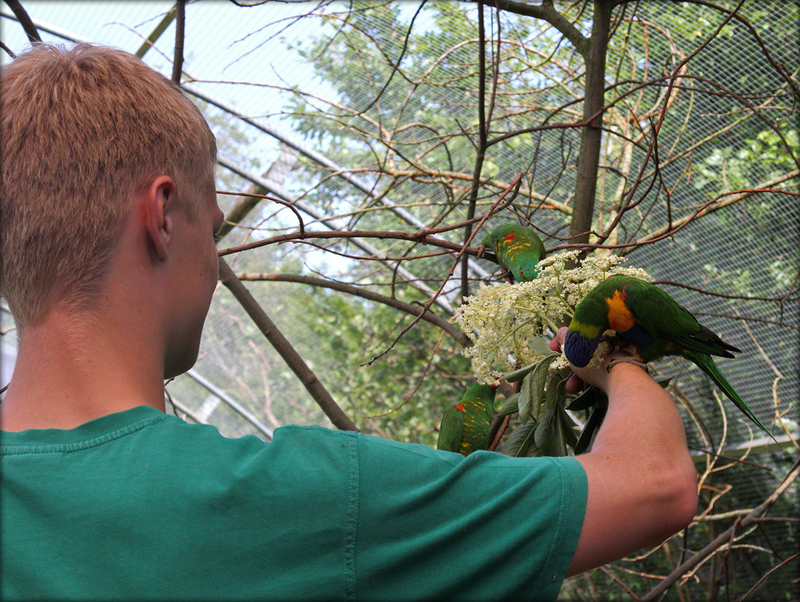 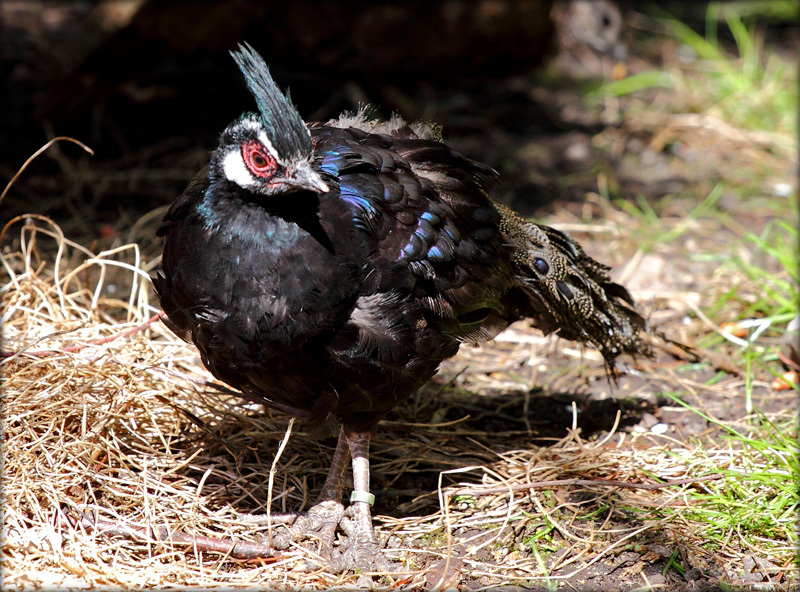 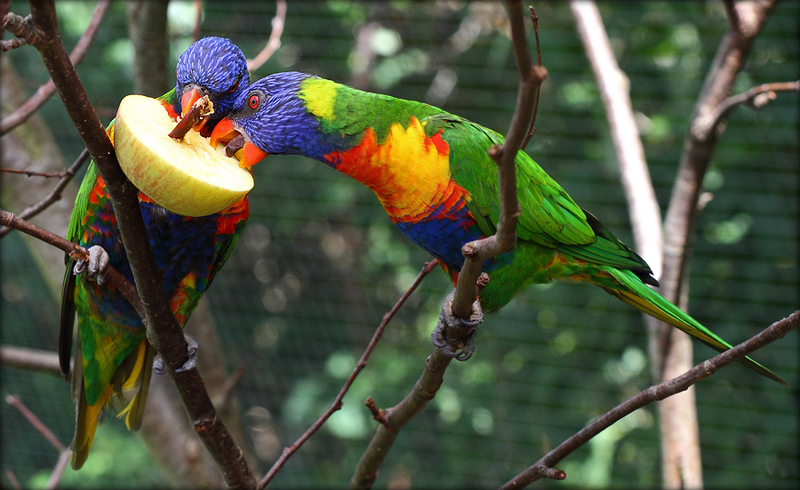 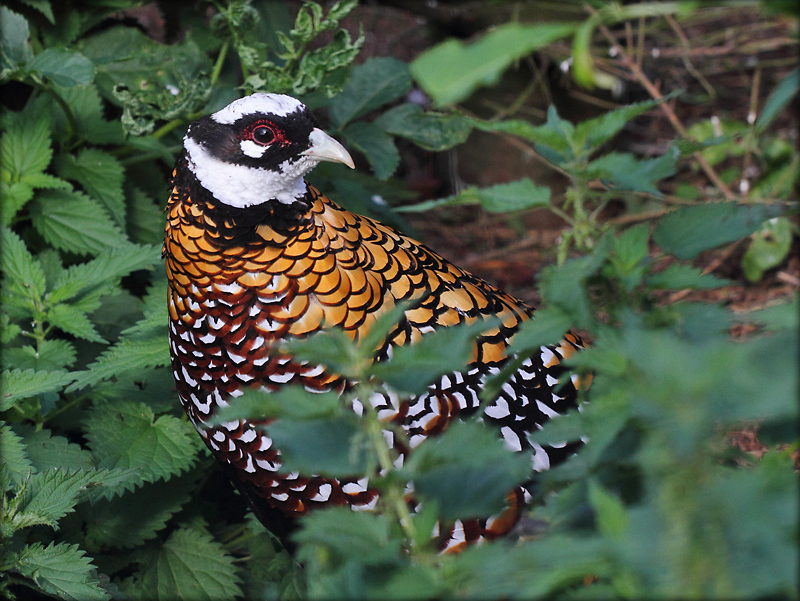 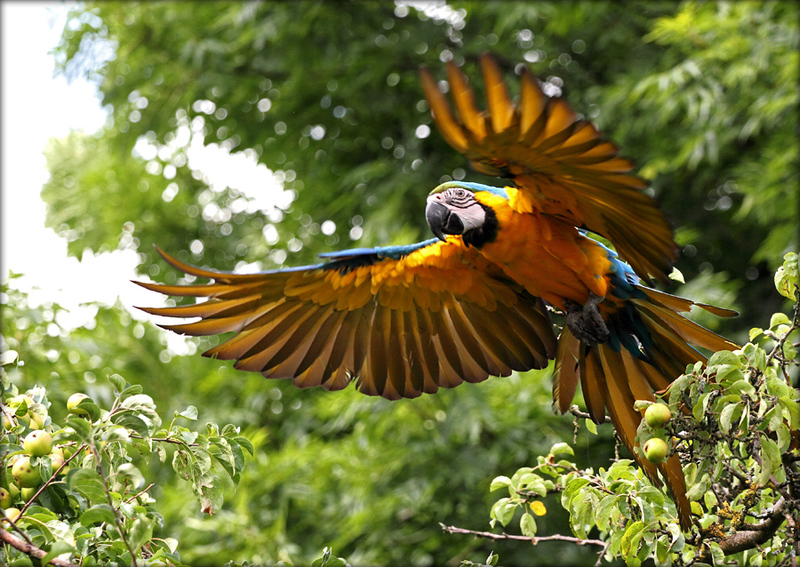 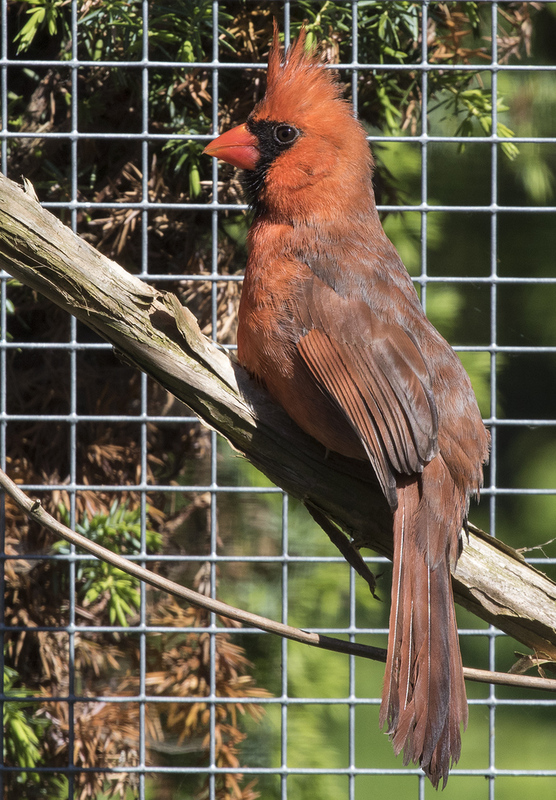 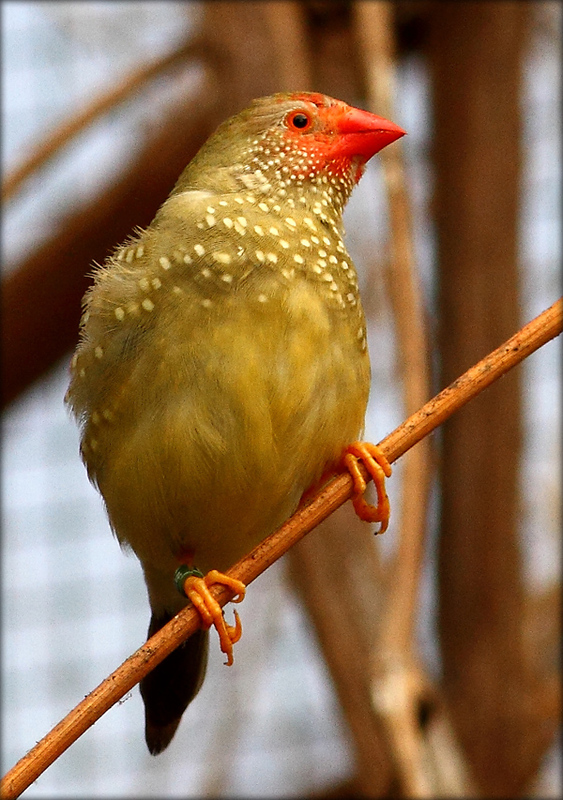 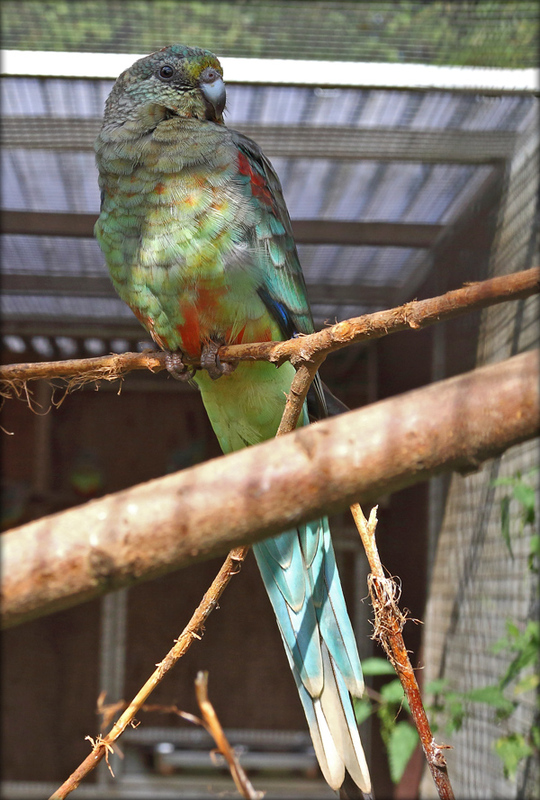 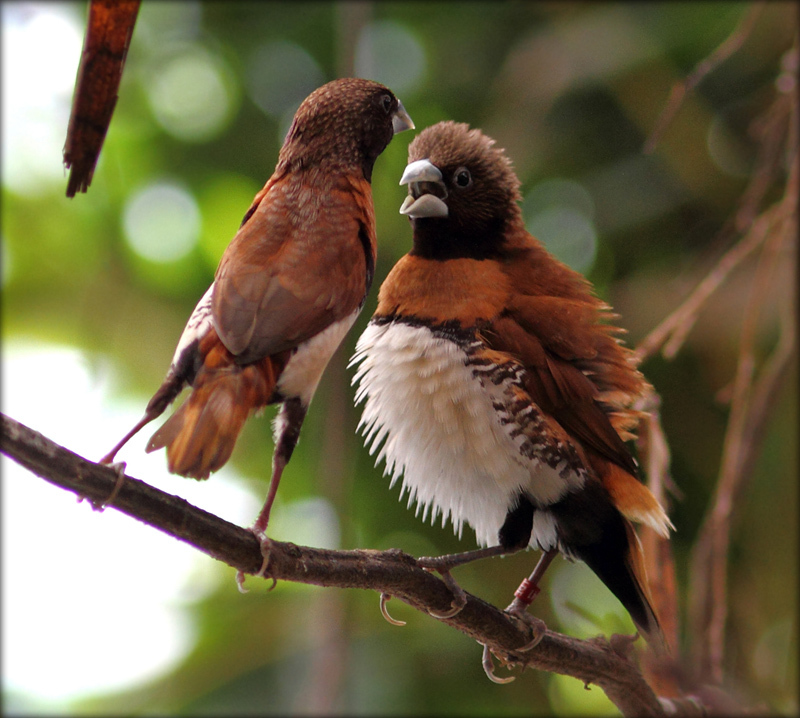 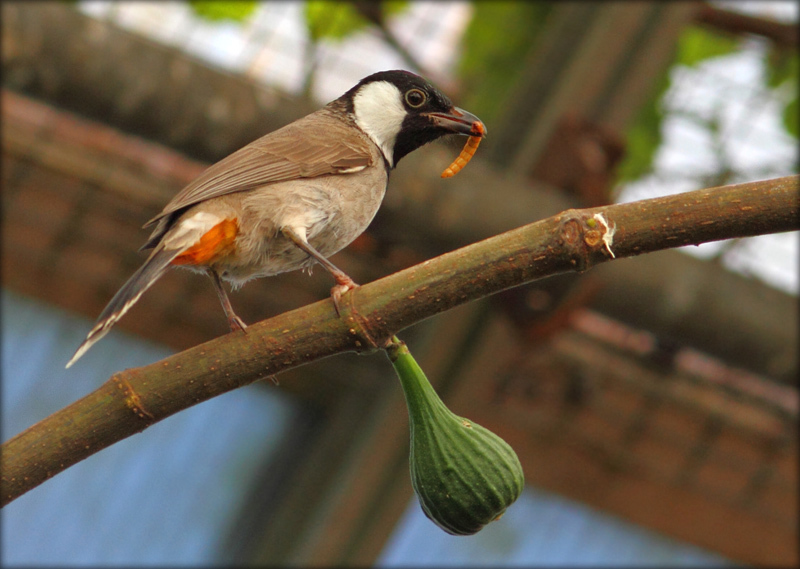 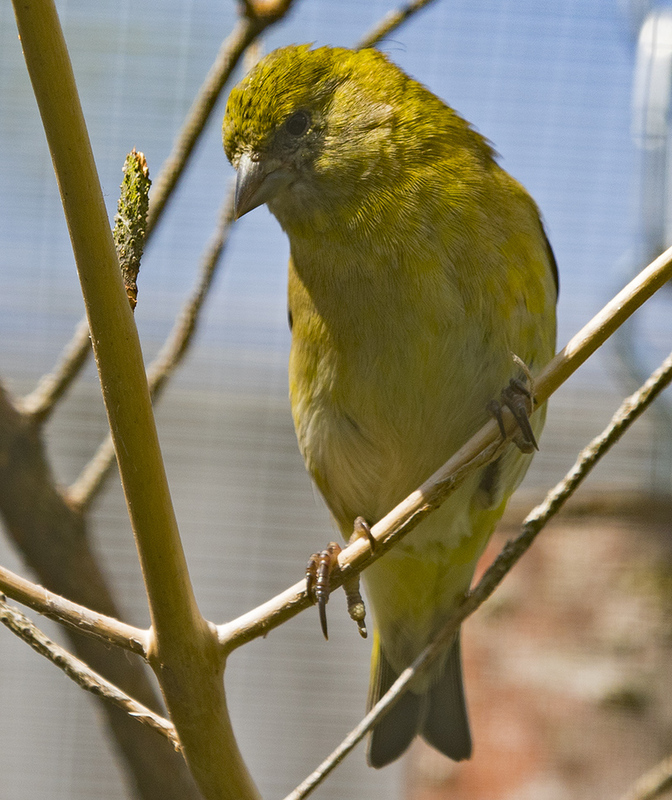 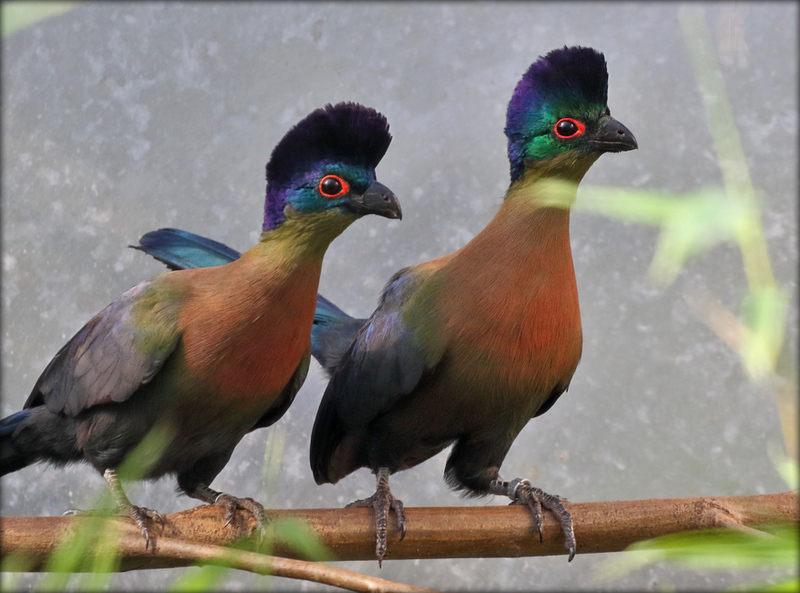 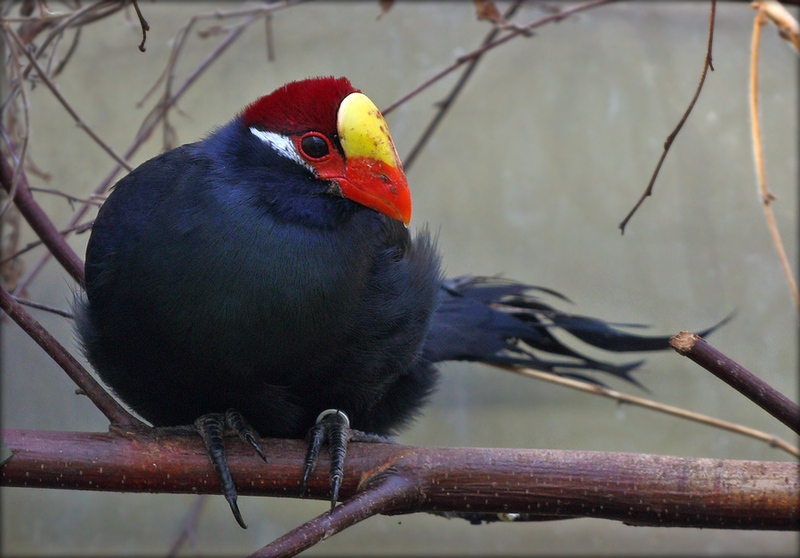 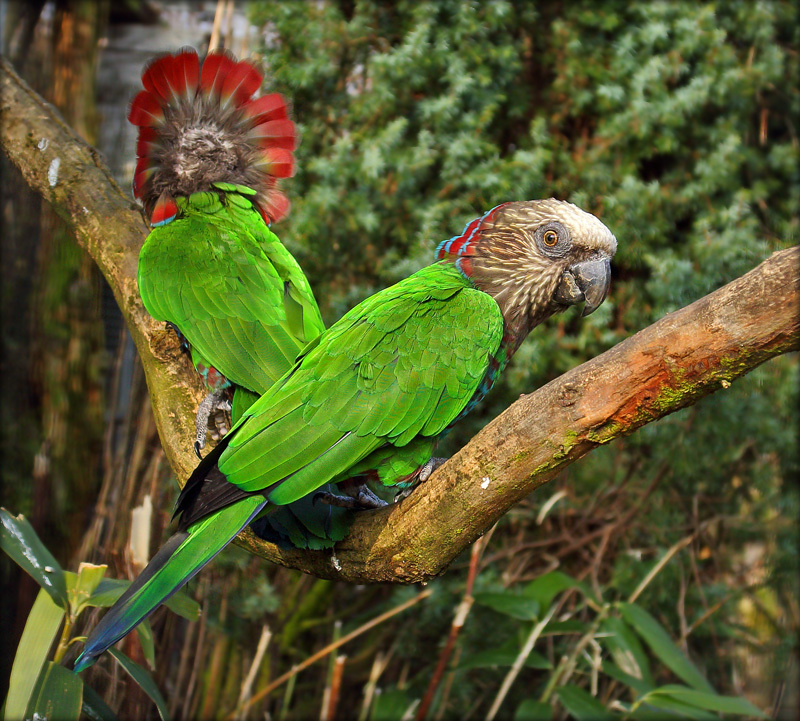 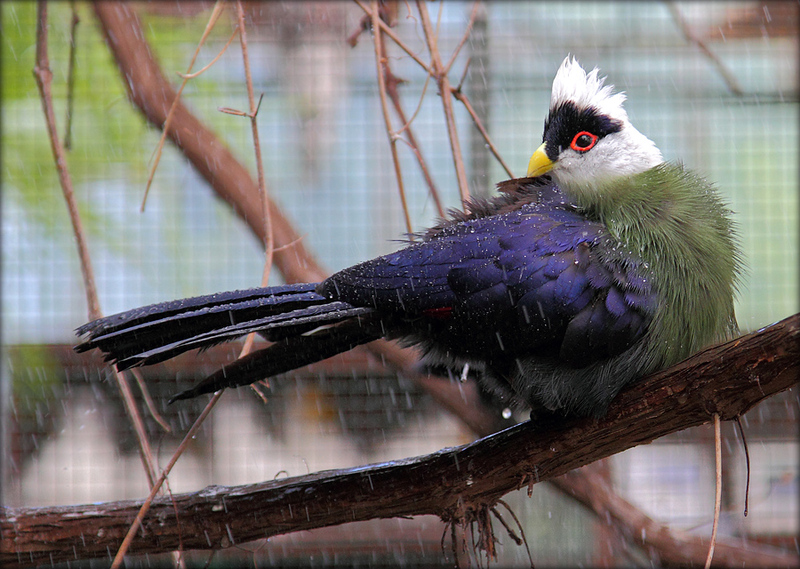 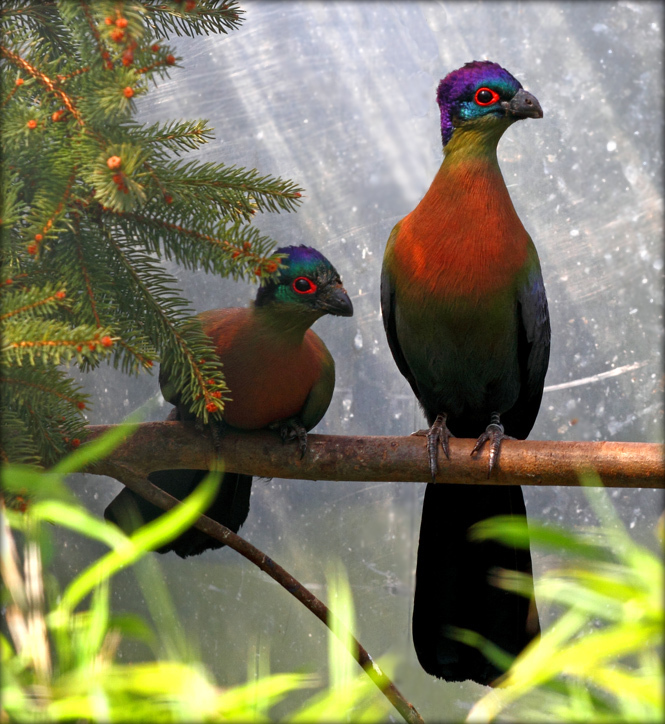 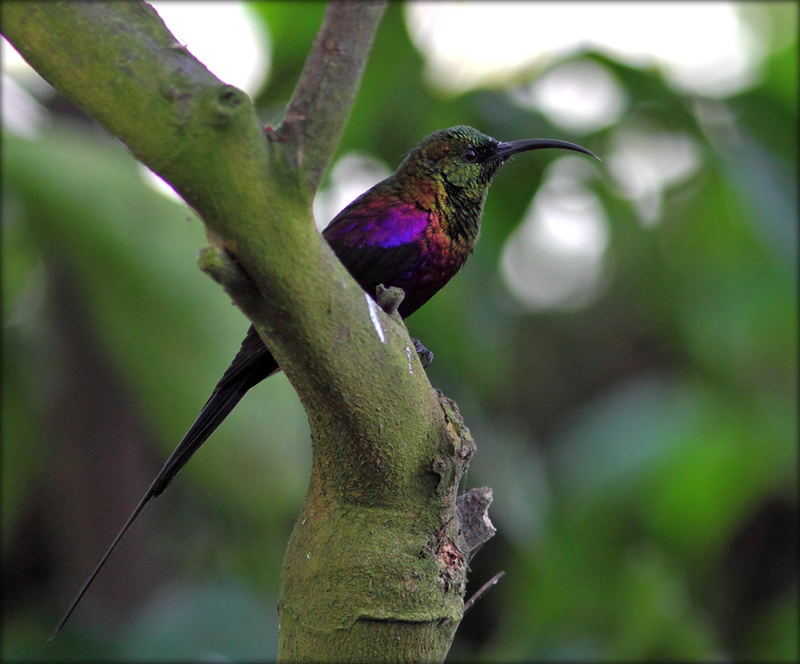 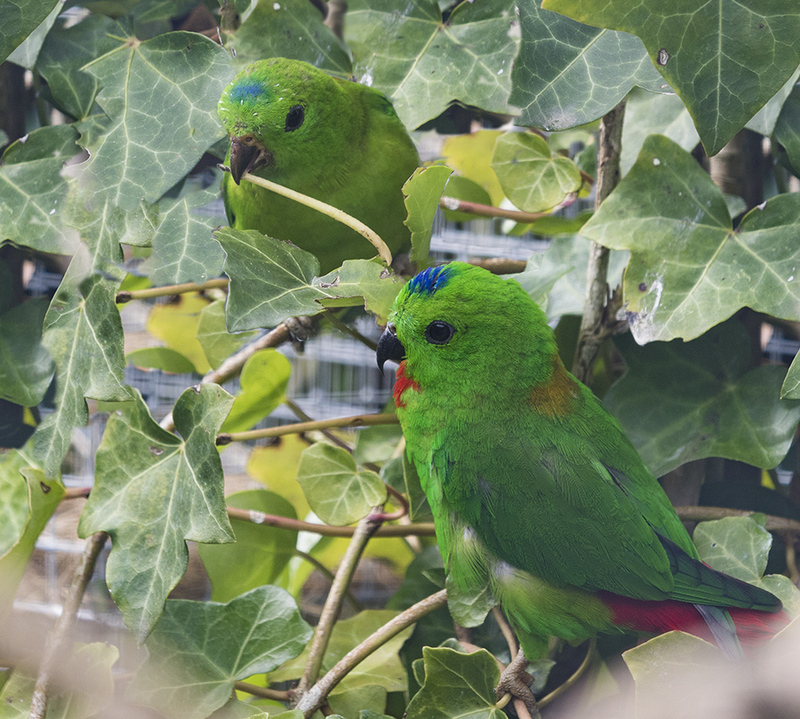 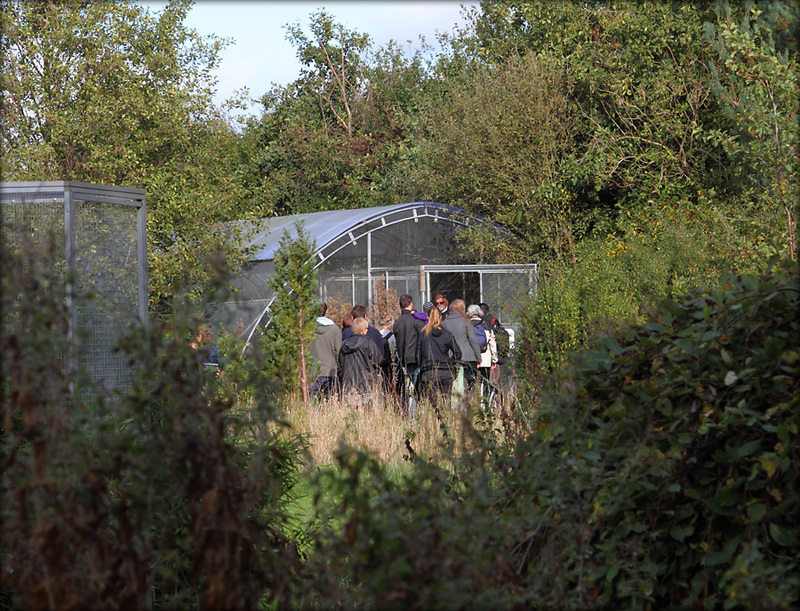 All our aviaries are surrounded by beautiful vegetation and trees. 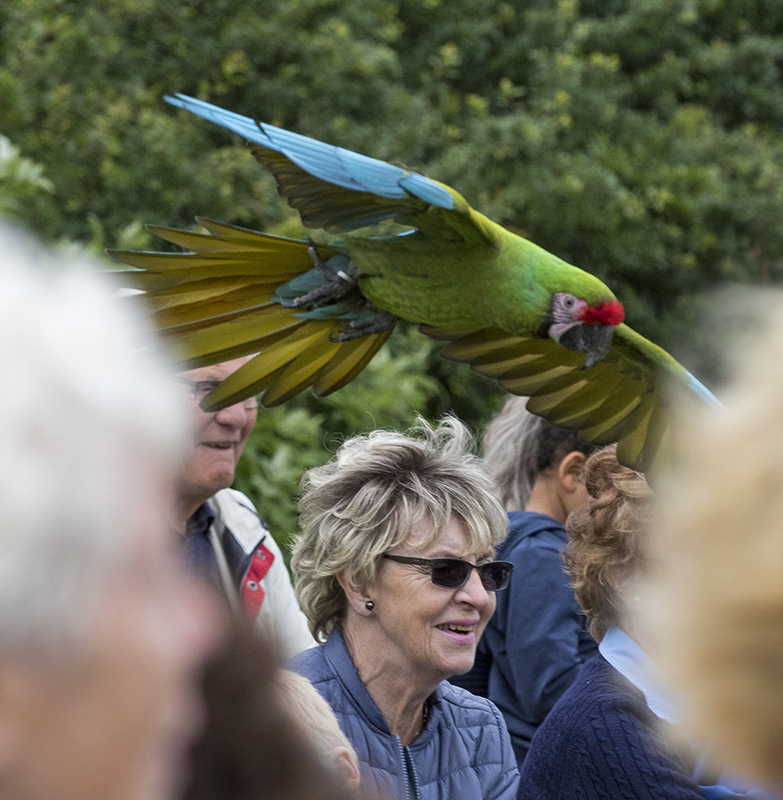 Nature paths lead you around the charming nooks and crannies of the park experiencing everything from spring’s new flowers to the colourful changes of autumn. 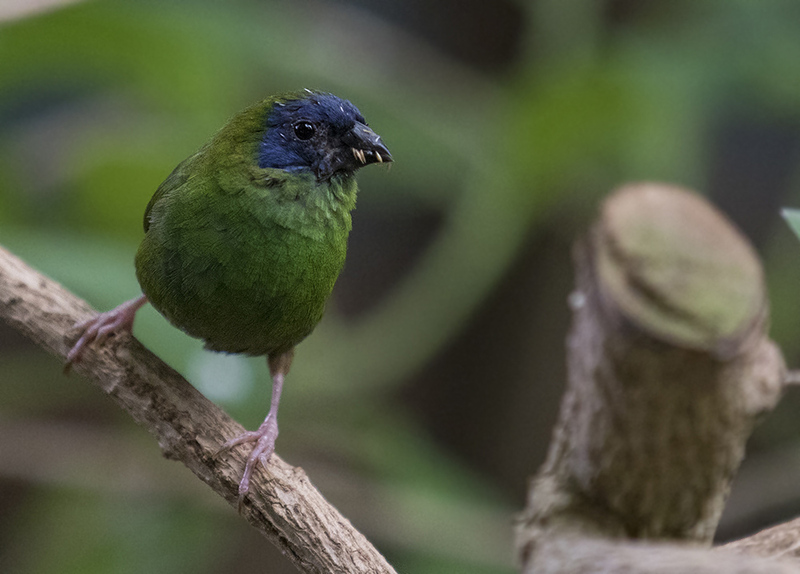 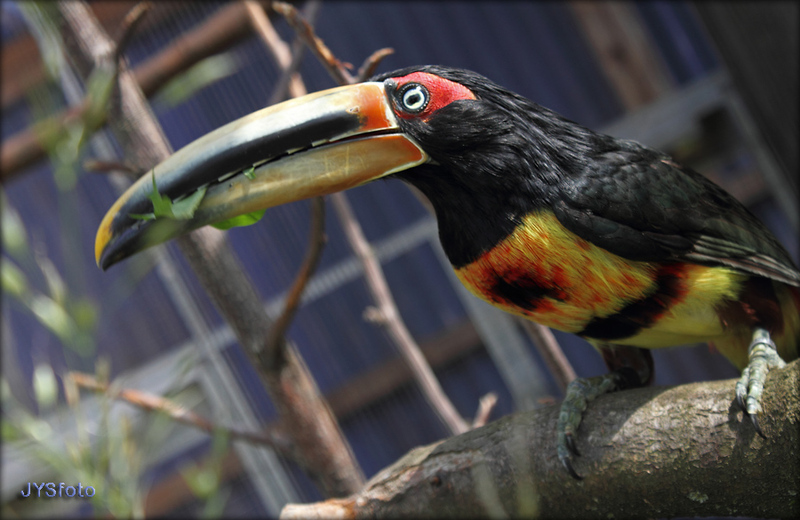 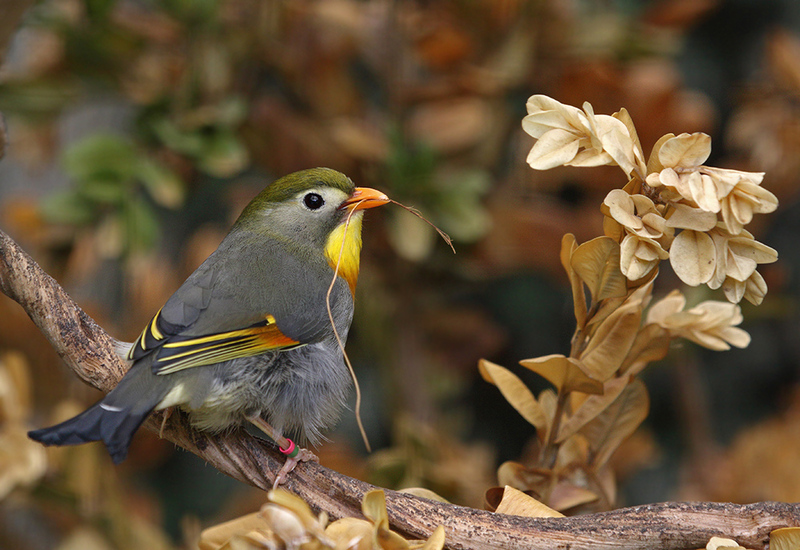 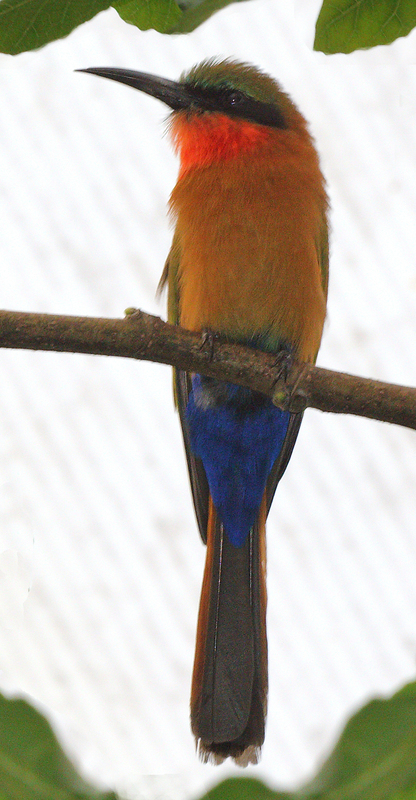 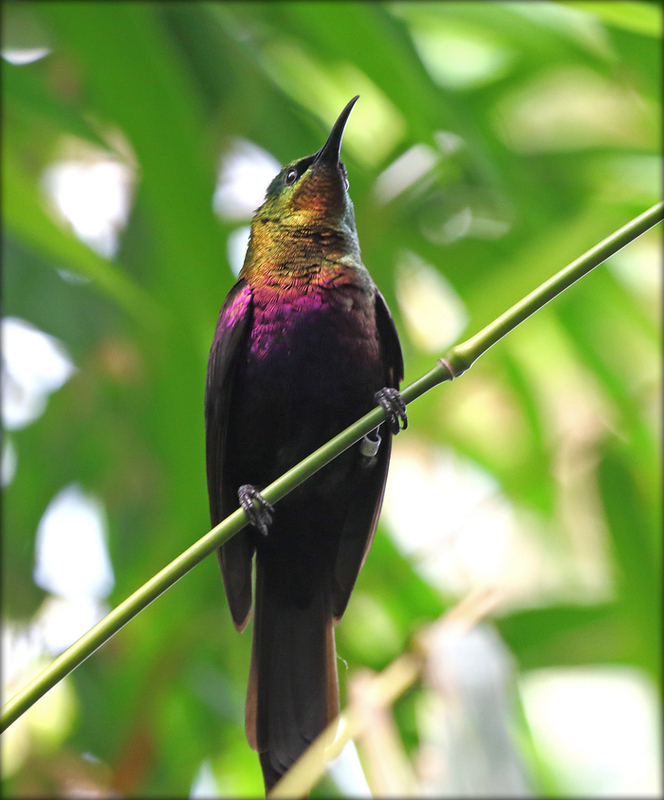 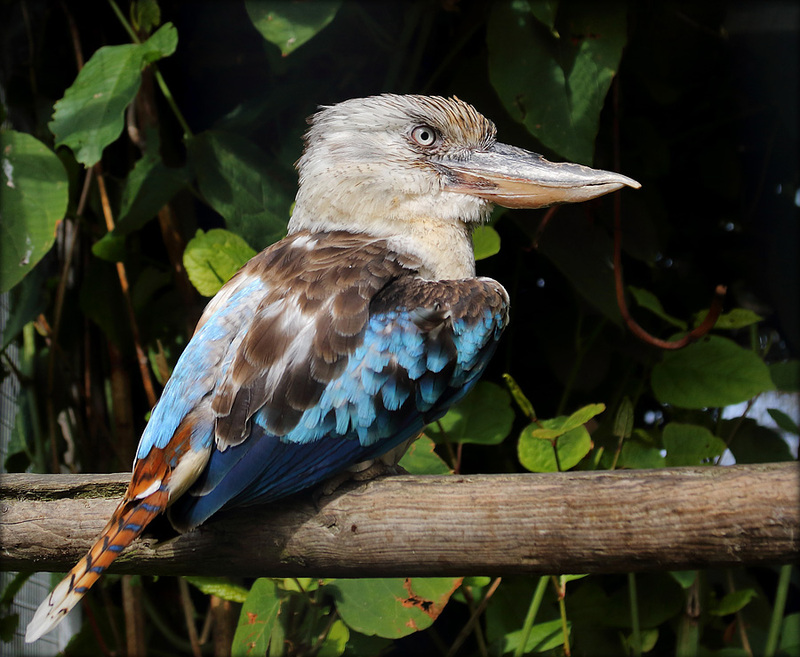 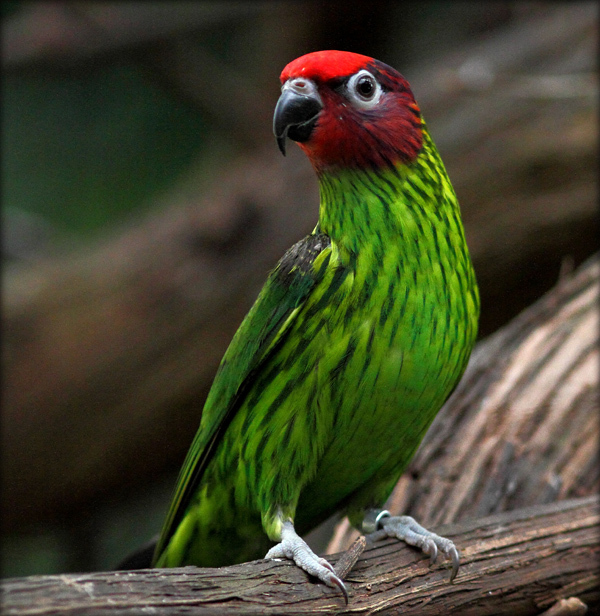 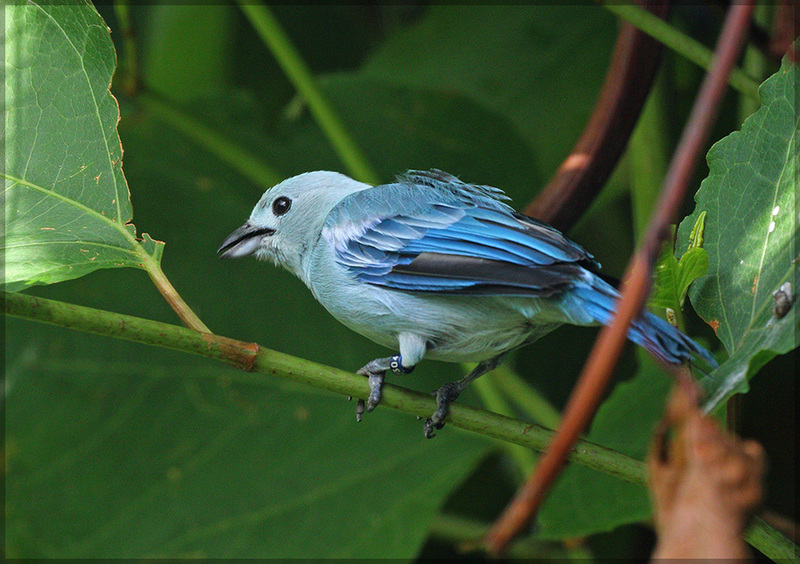 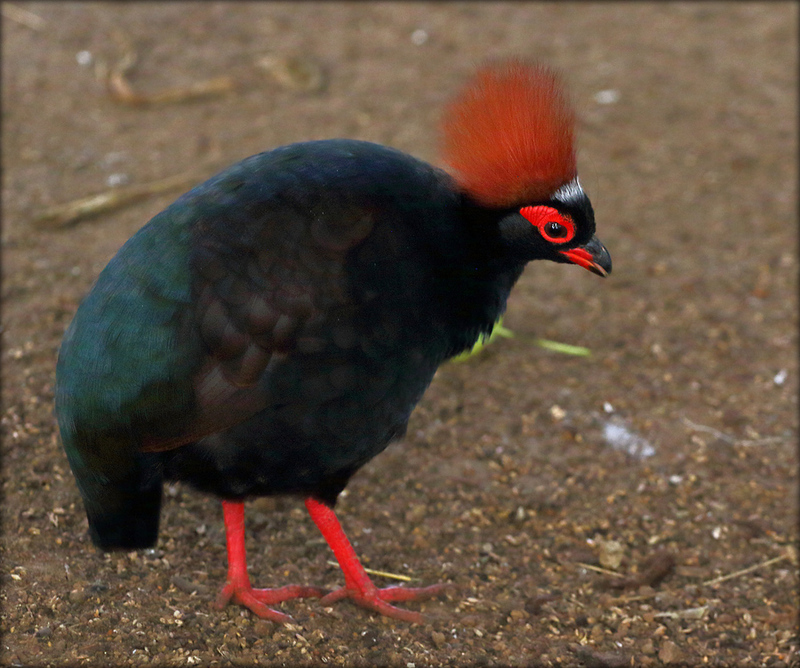 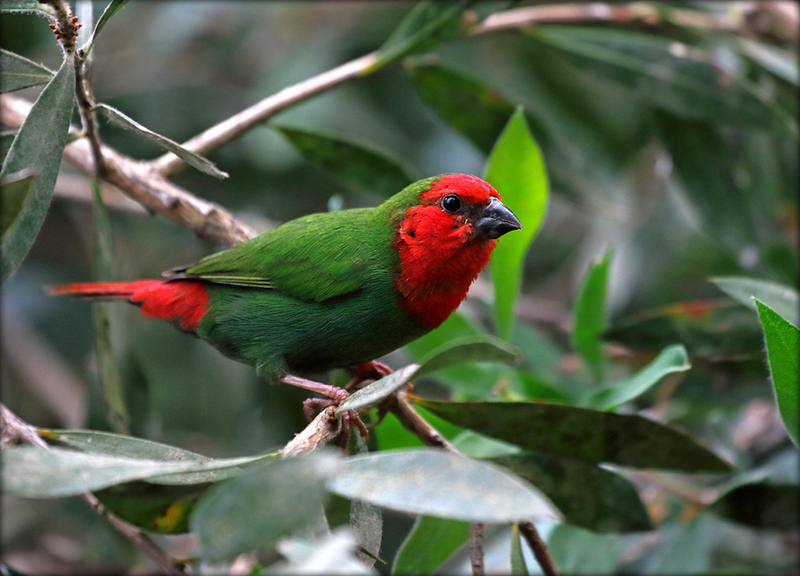 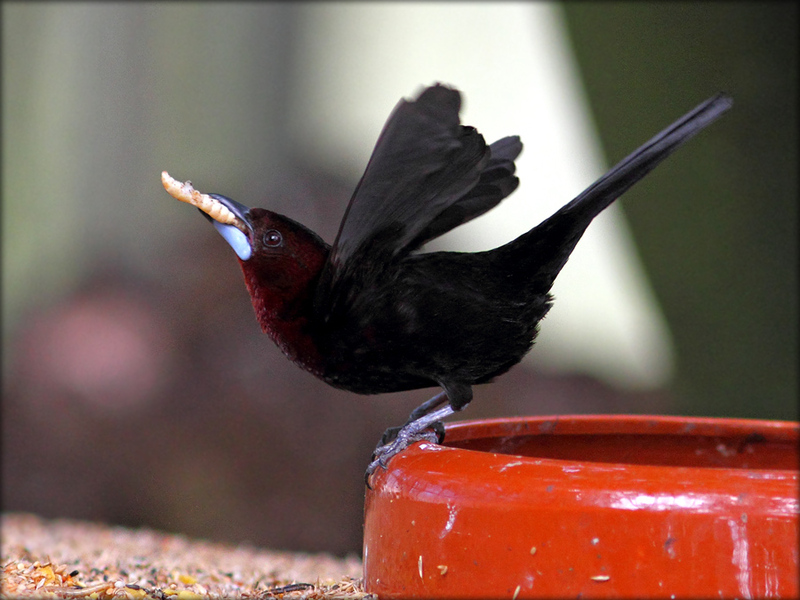 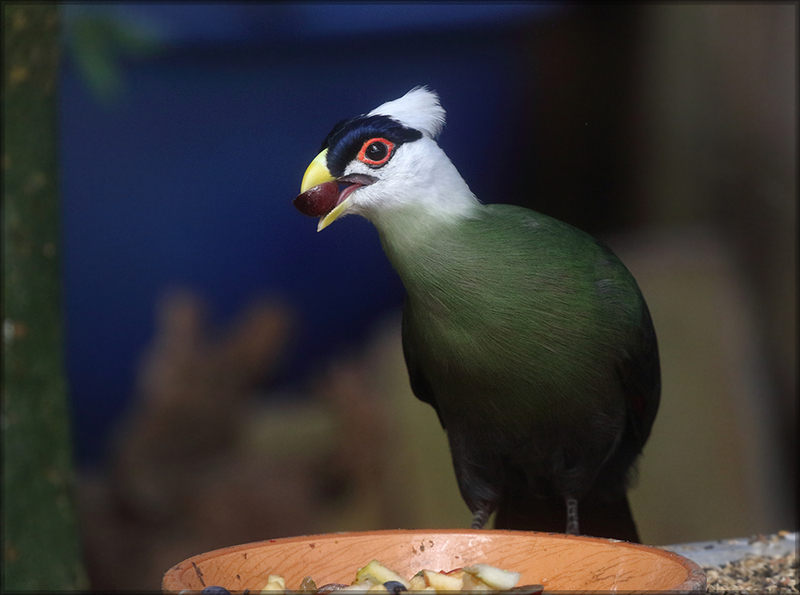 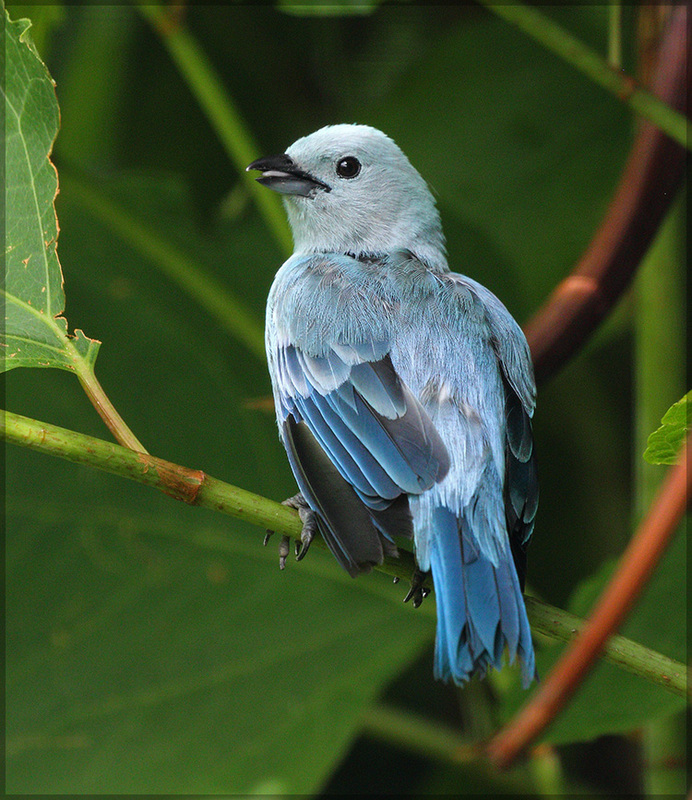 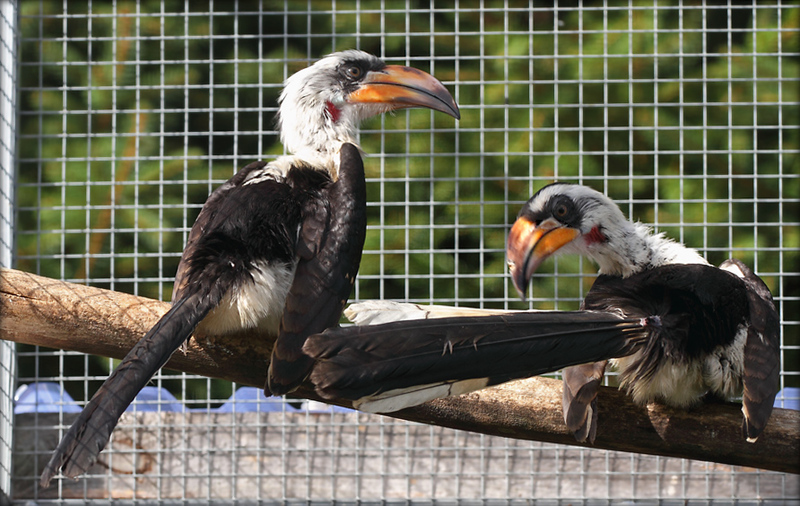 We house a little over 200 bird species in all shapes and sizes from all over the world. 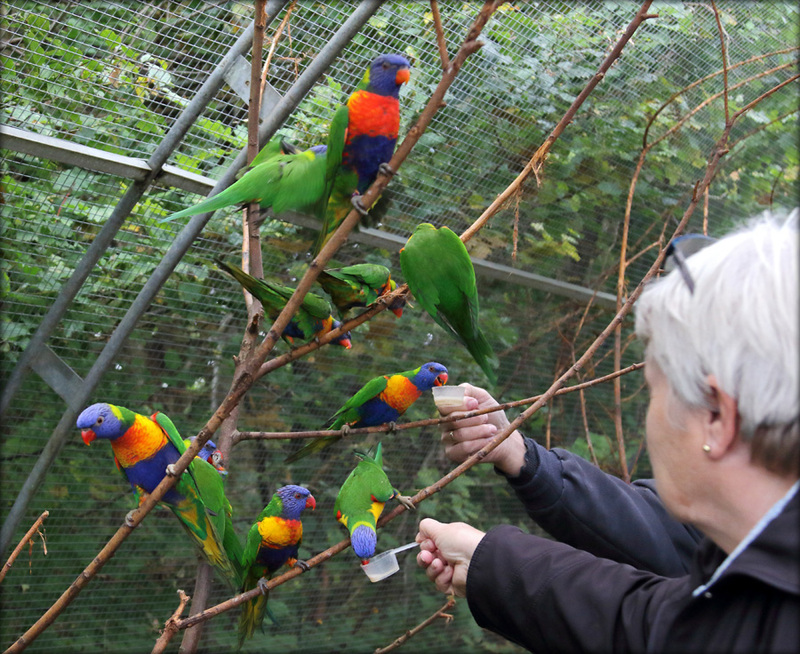 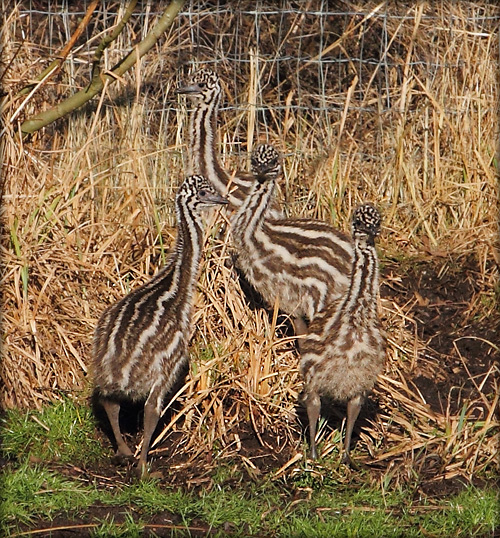 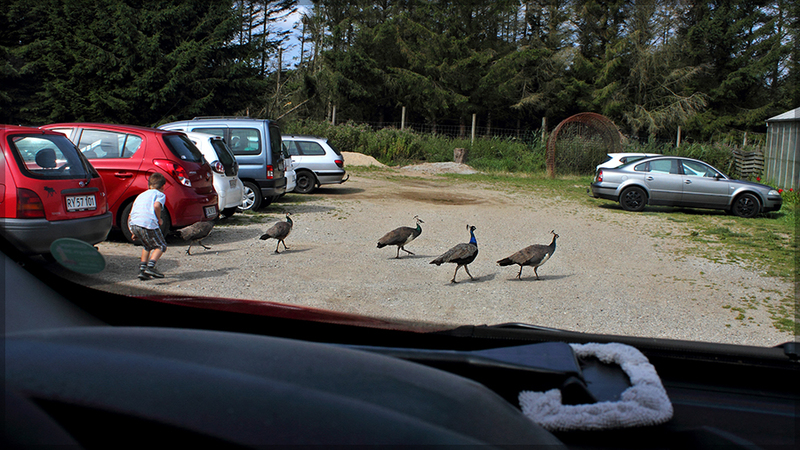 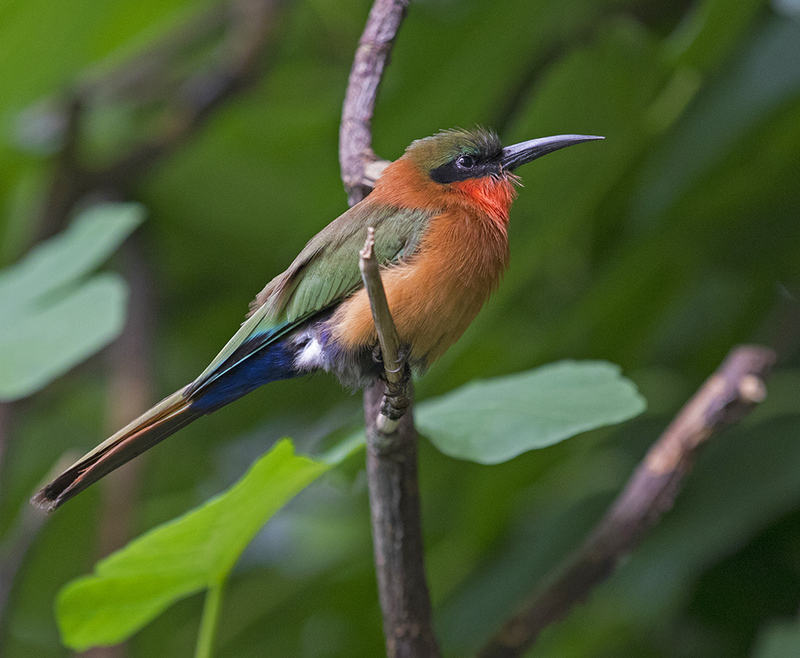 Life is always exciting and the number of birds varies with the season; in total, we have around 2000 and we regularly introduce new species to the park. 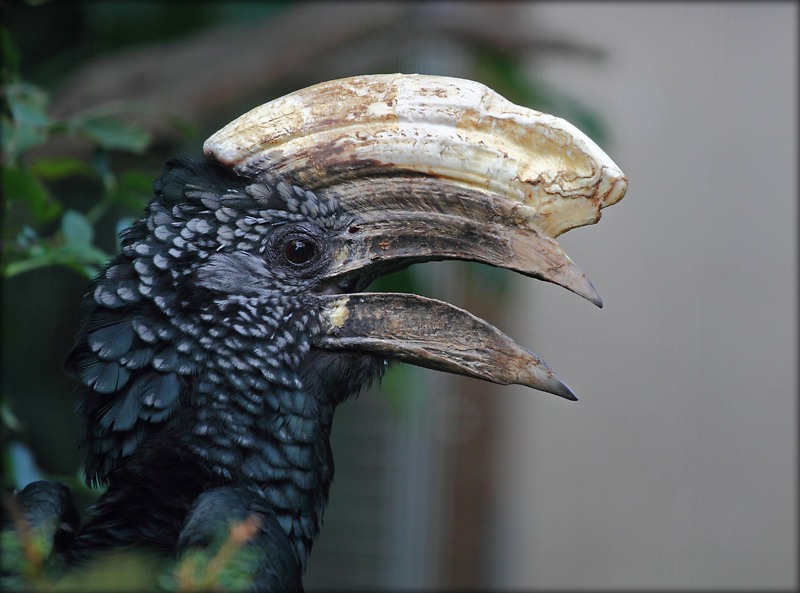 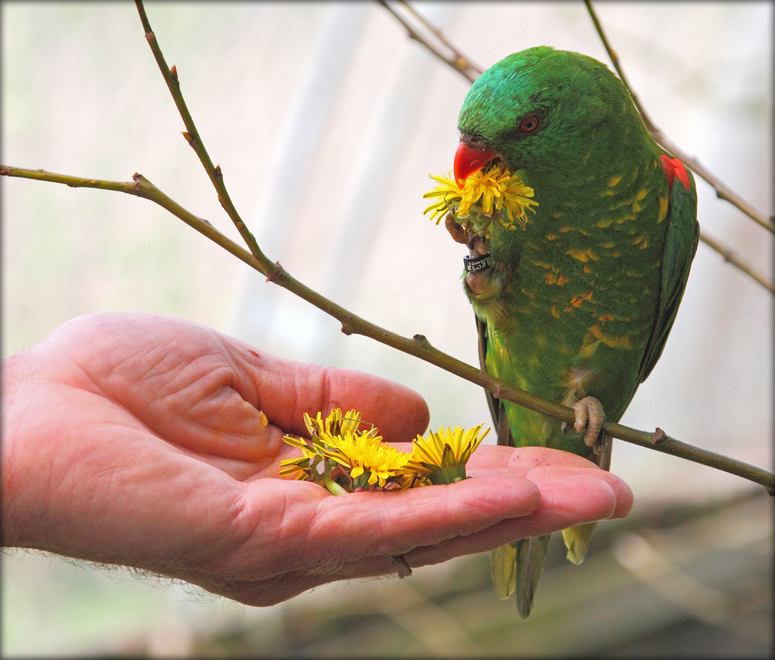 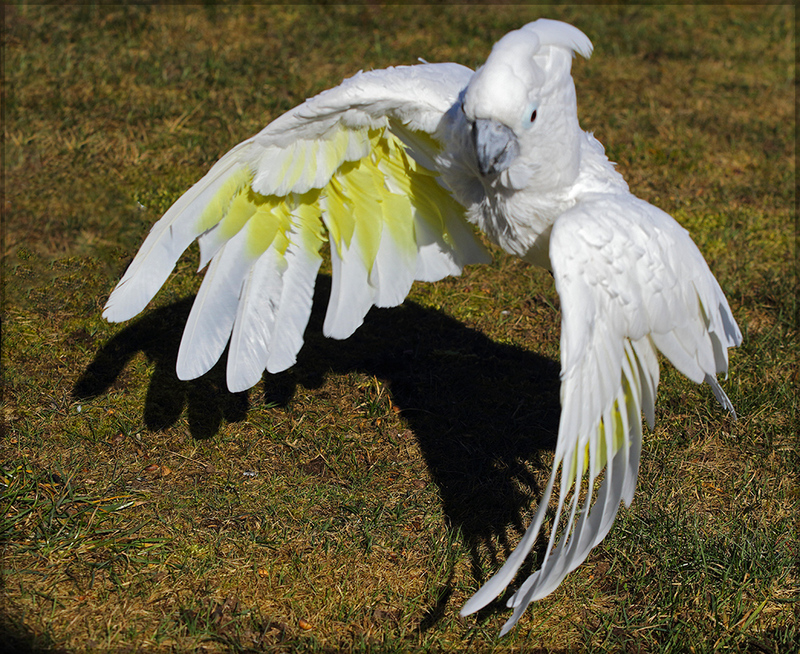 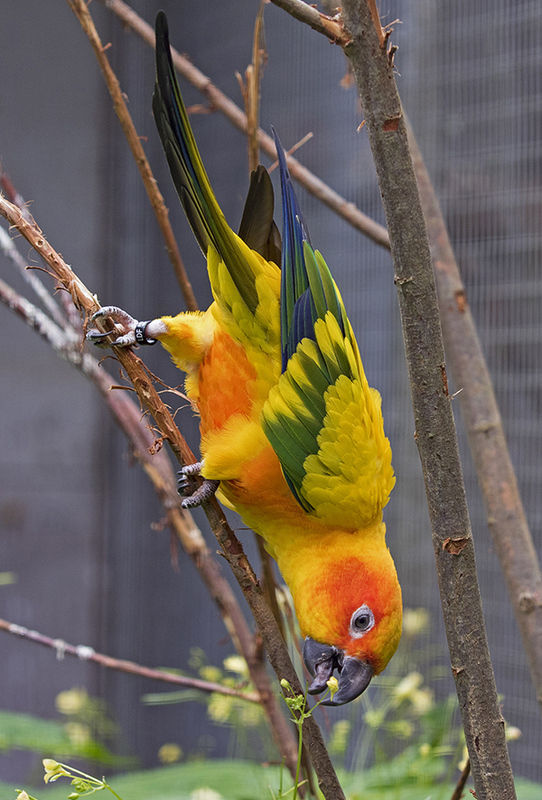 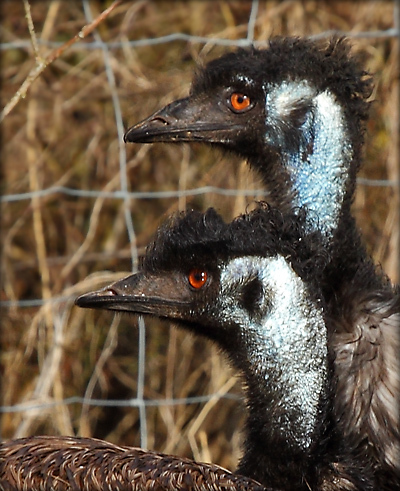 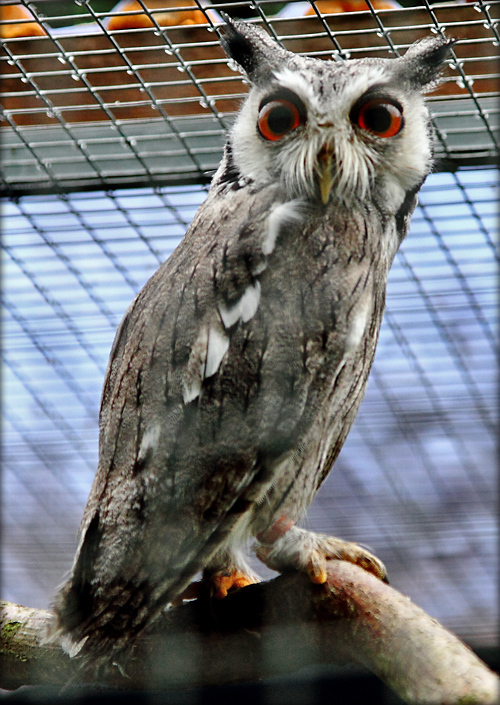 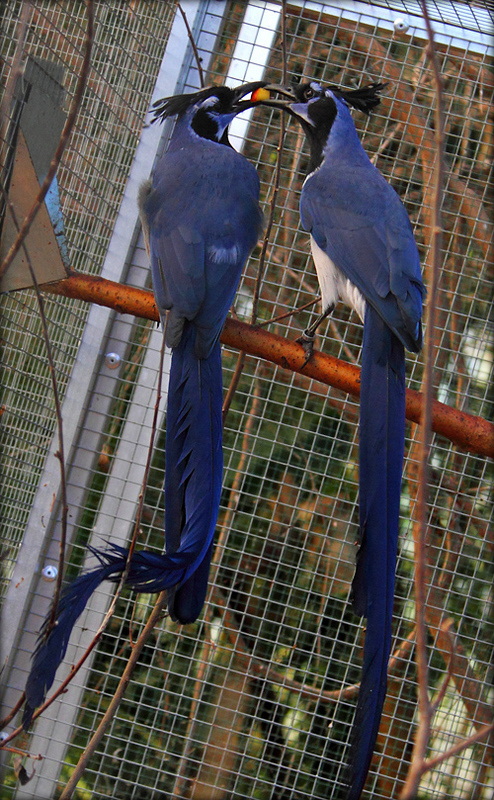 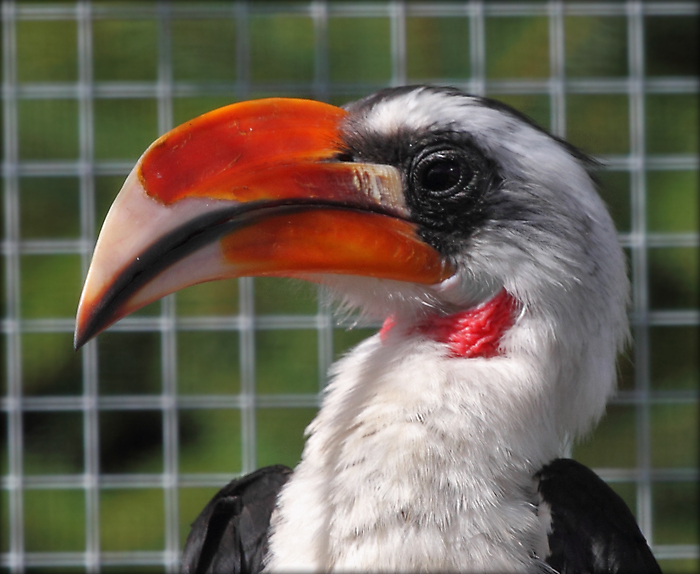 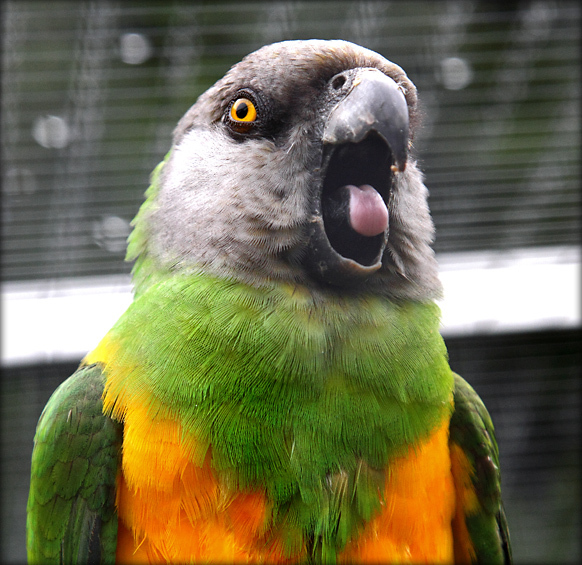 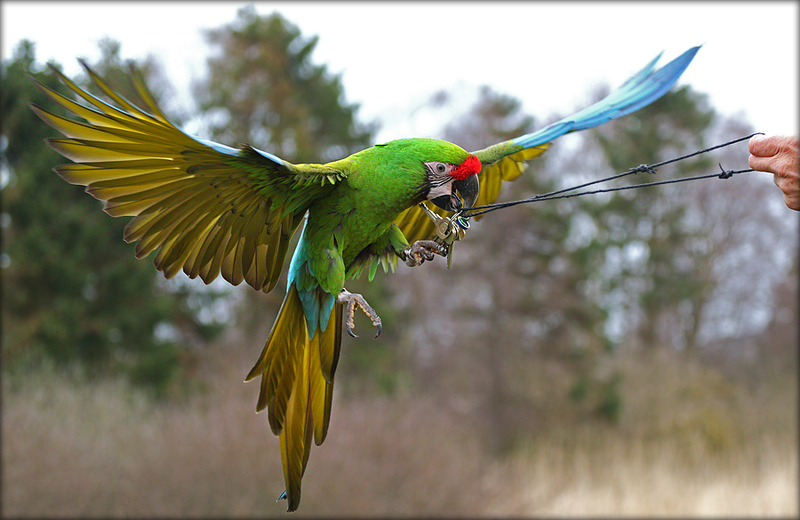 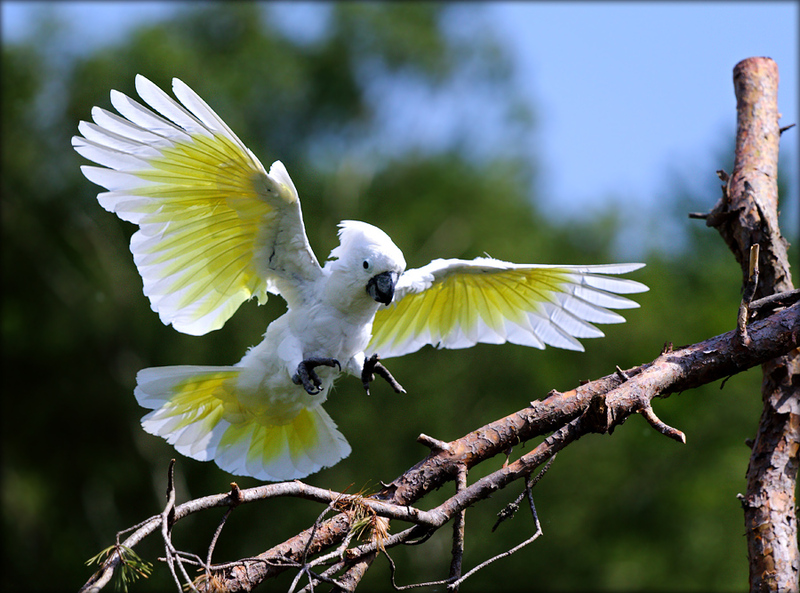 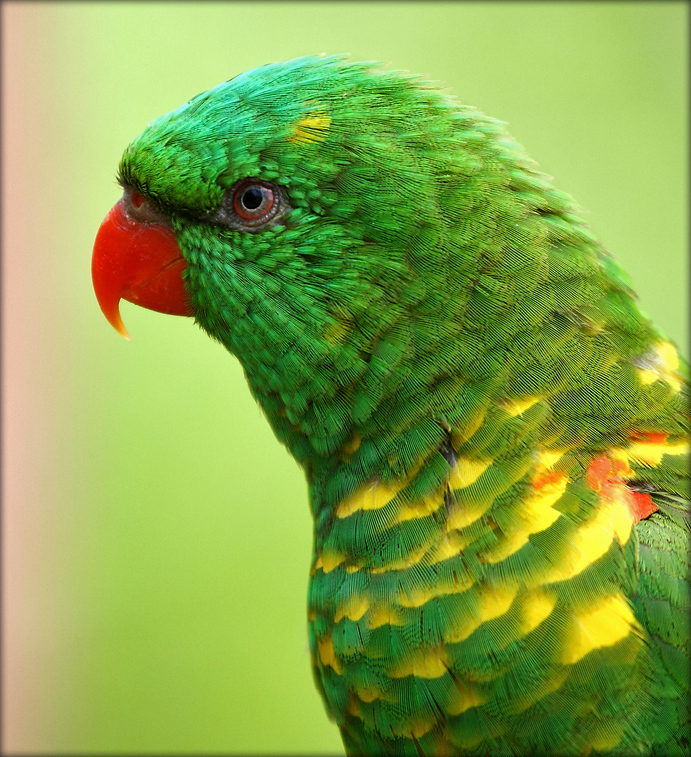 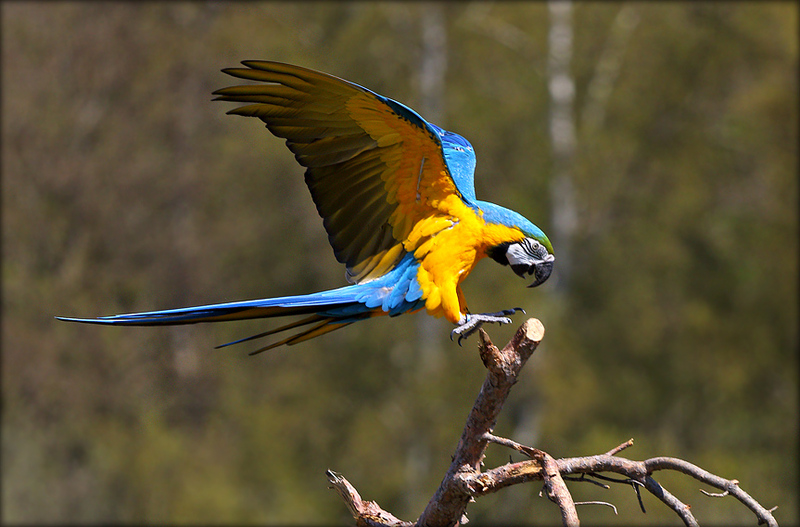 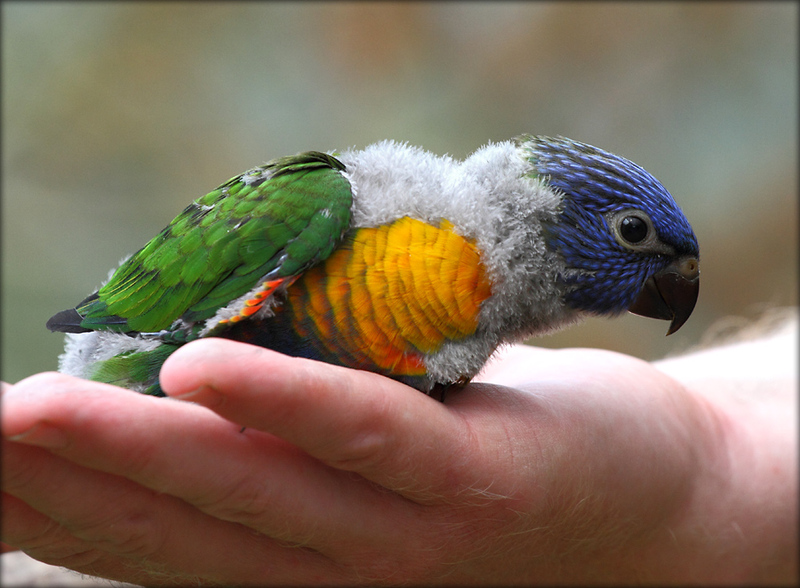 We also sell/exchange birds with other Zoos around Europe through various breeding programs. 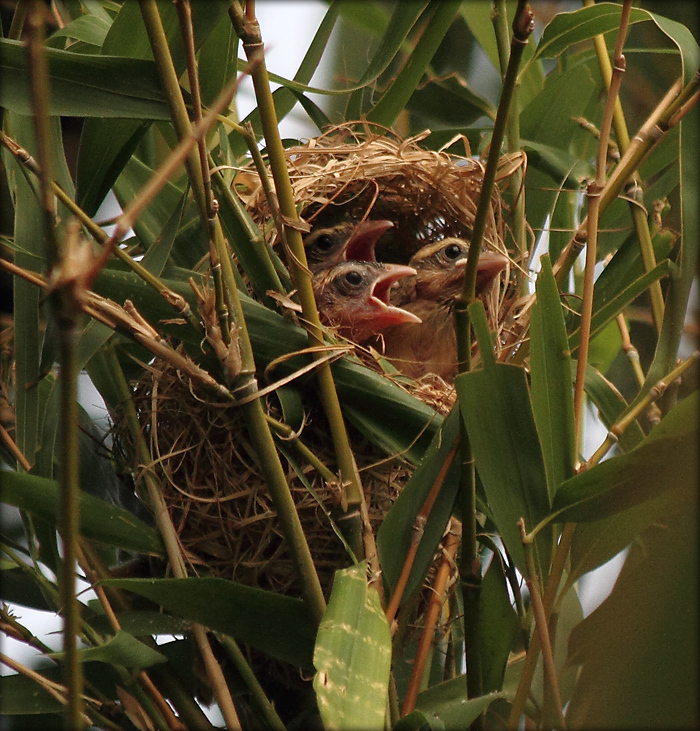 In our 600 sqm. 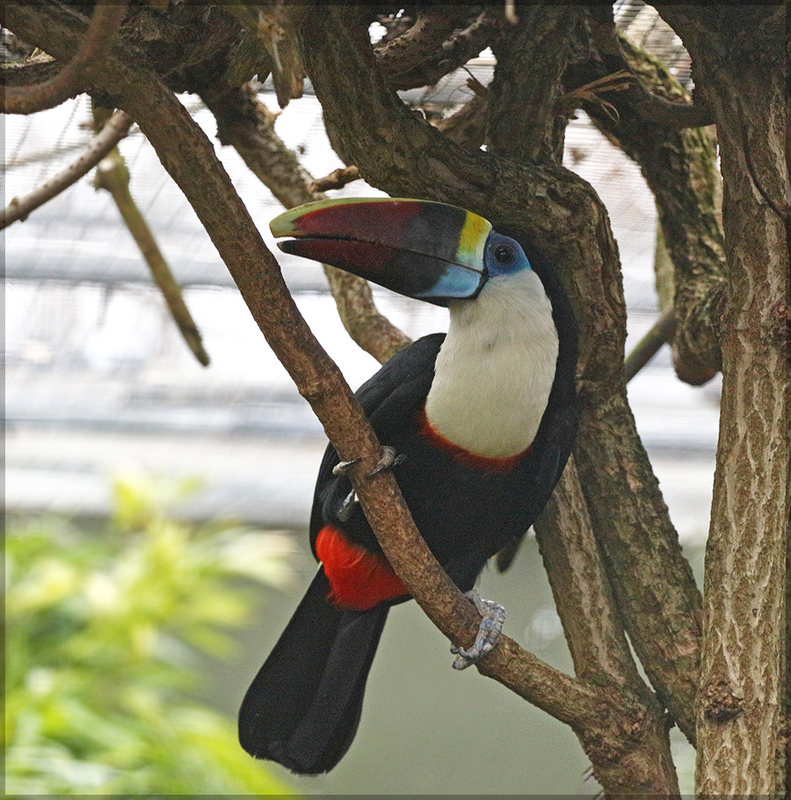 Tropical House you can walk amongst exotic birds and hear them play, sing, mate, nest building or feed their young ones. 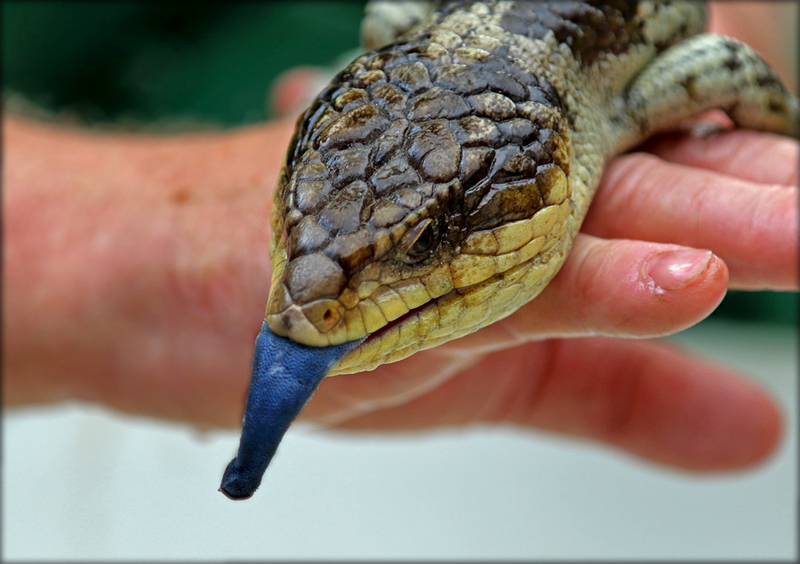 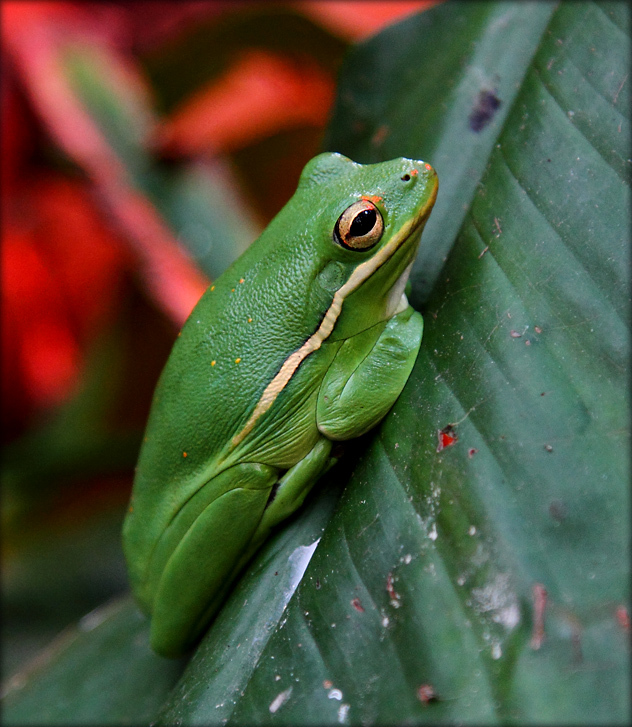 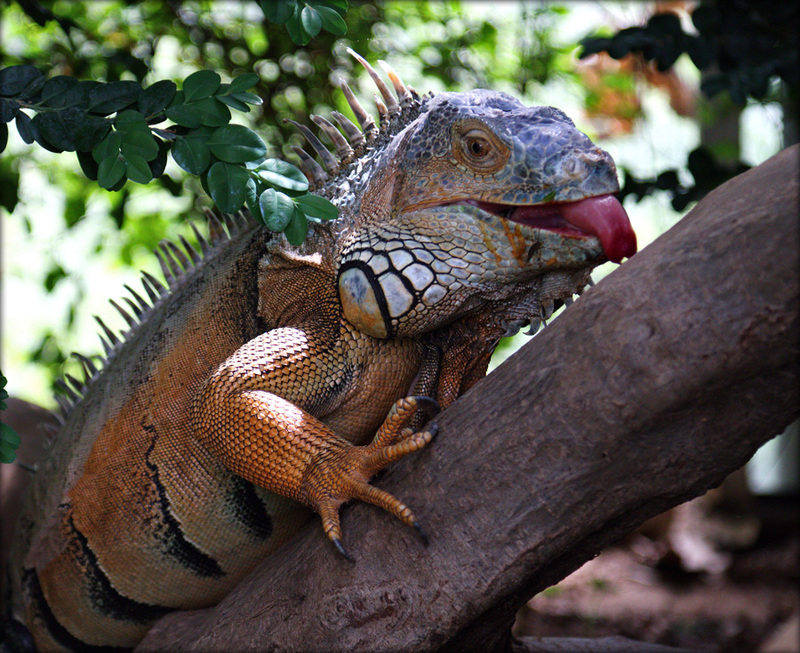 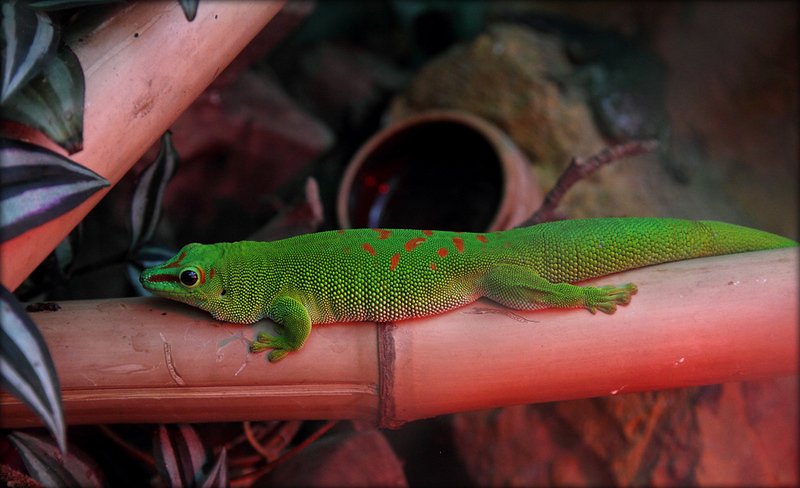 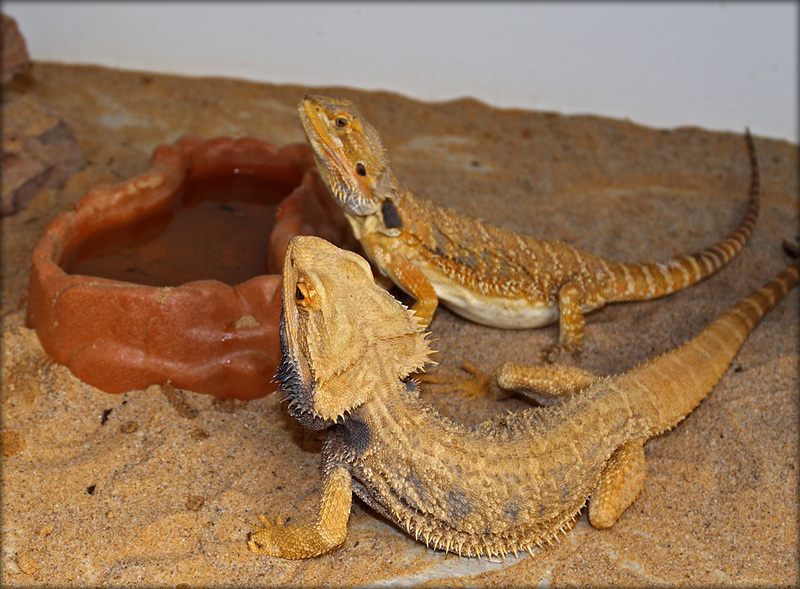 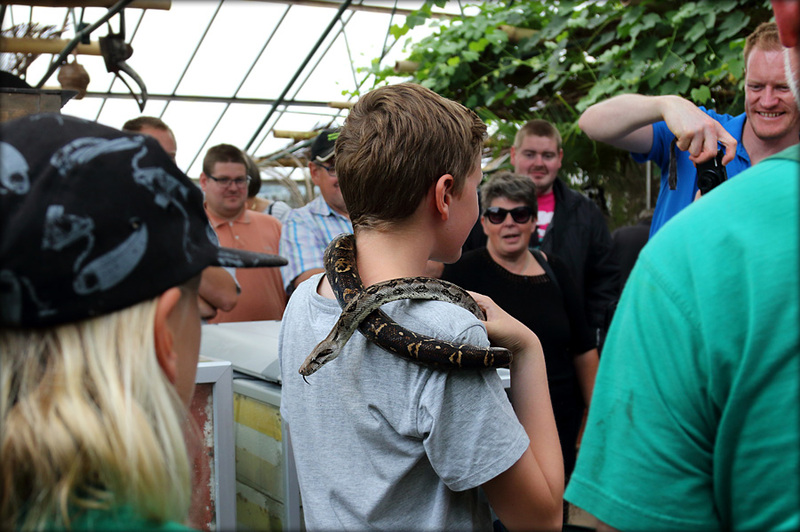 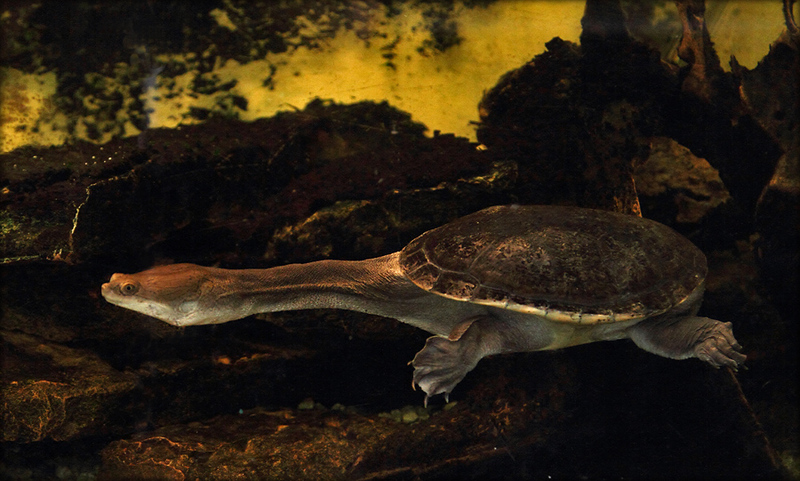 It also houses a selection of around 30 amphibians and reptiles and it is possible to come up close with these fascinating animals which go back to the time when dinosaurs ruled the earth. 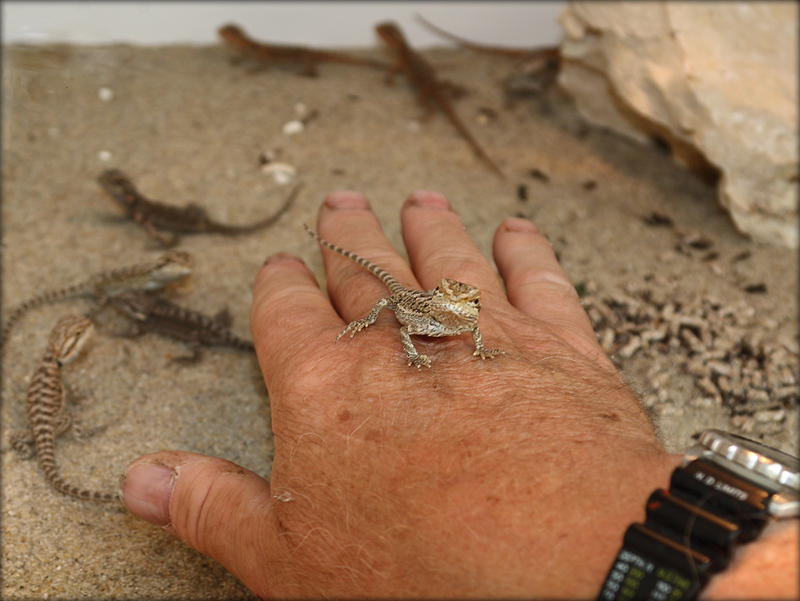 To top it off we also have a small collection of fish to keep the other animals company. 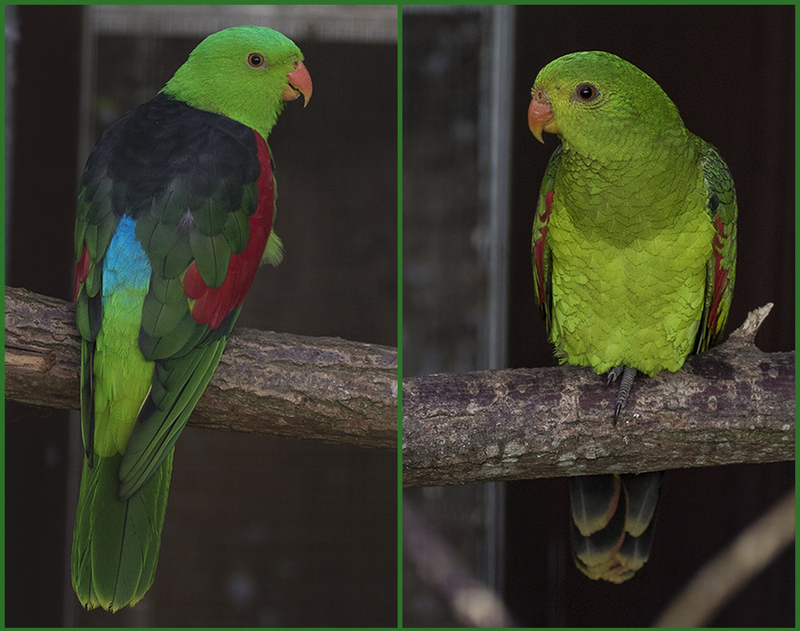 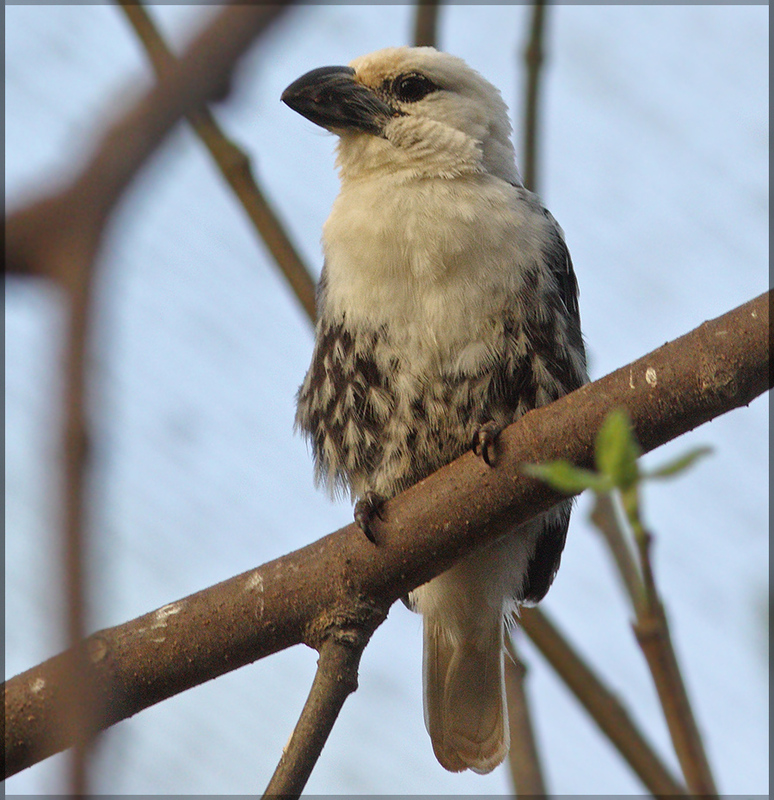 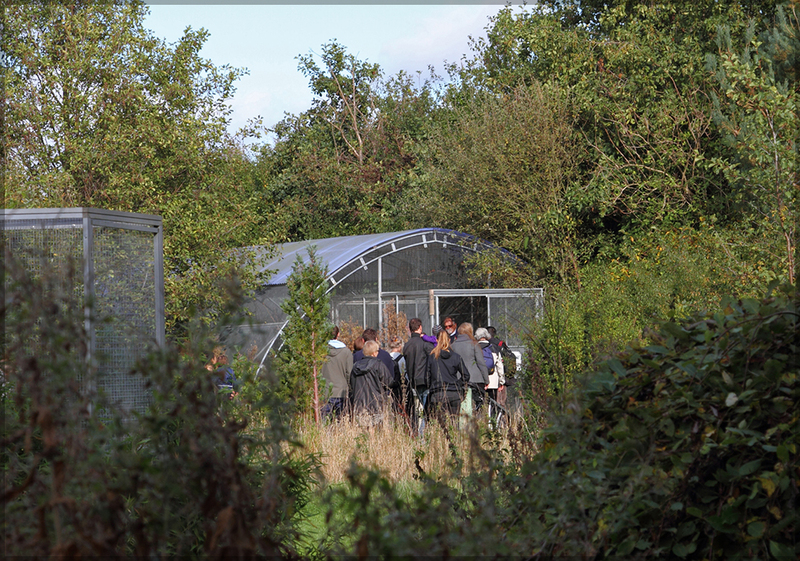 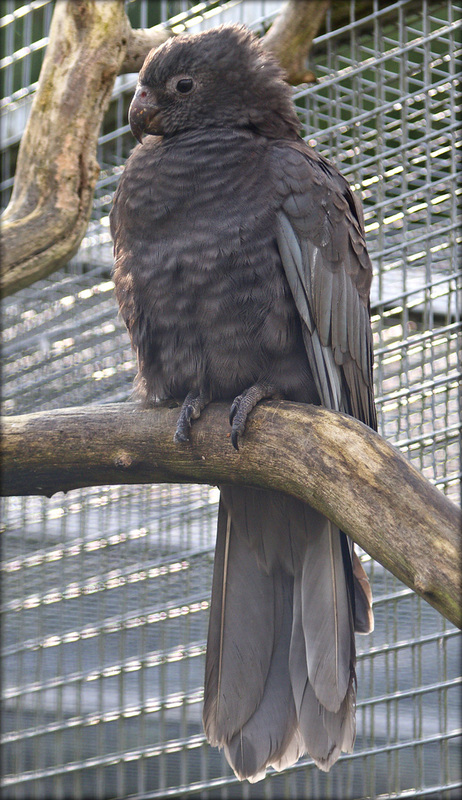 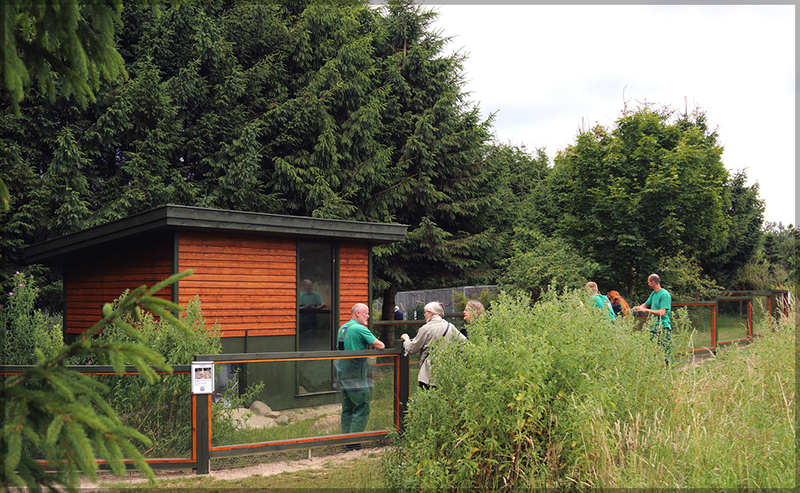 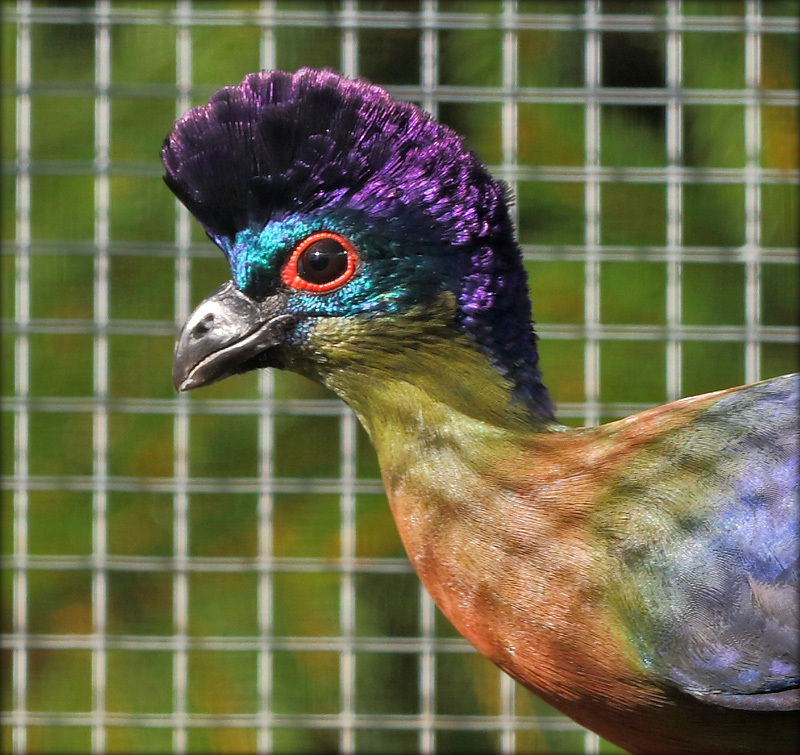 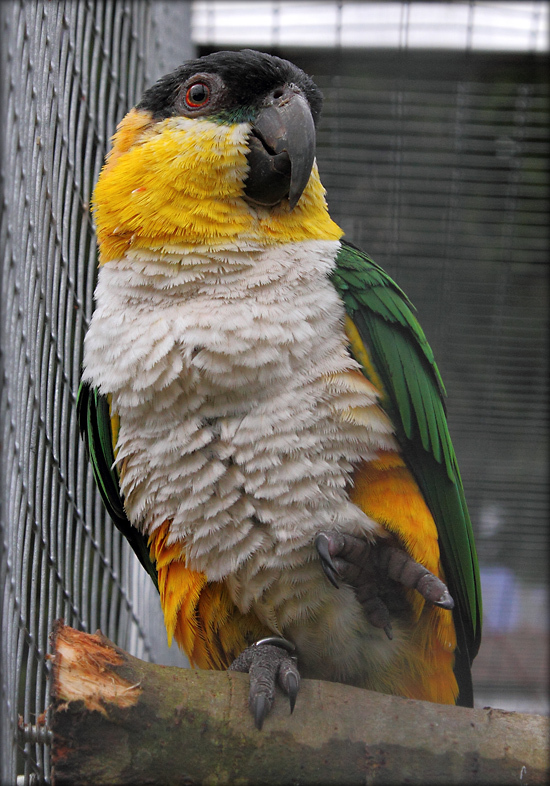 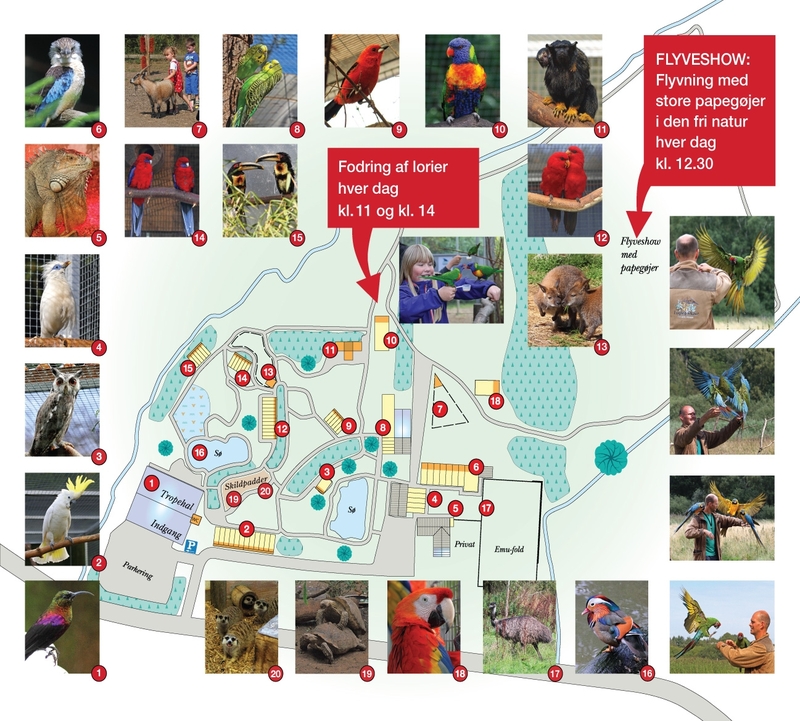 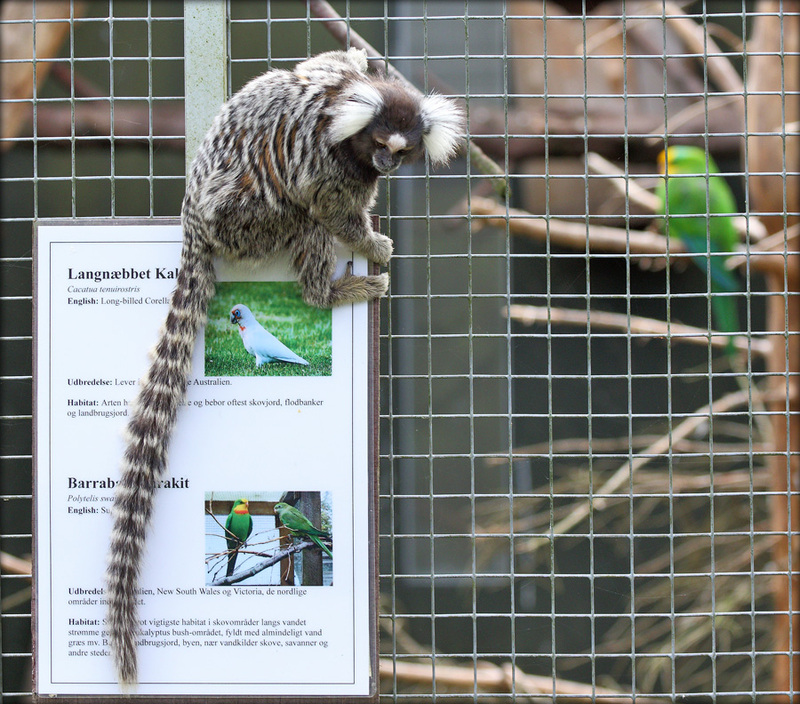 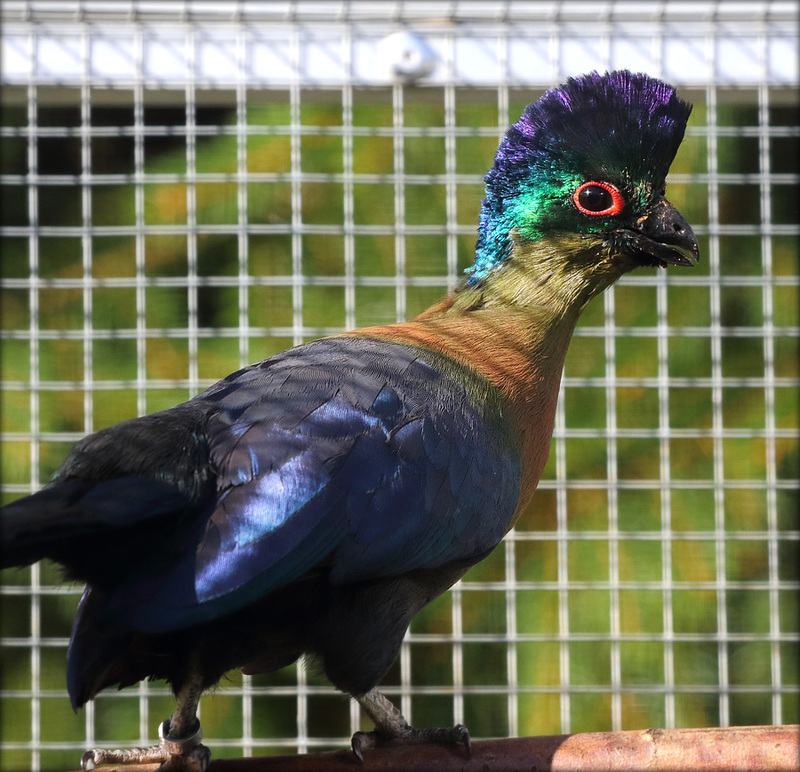 The aviaries around the park with their many inhabitants show the diversity within the various species’ sizes, appearances and behaviours. 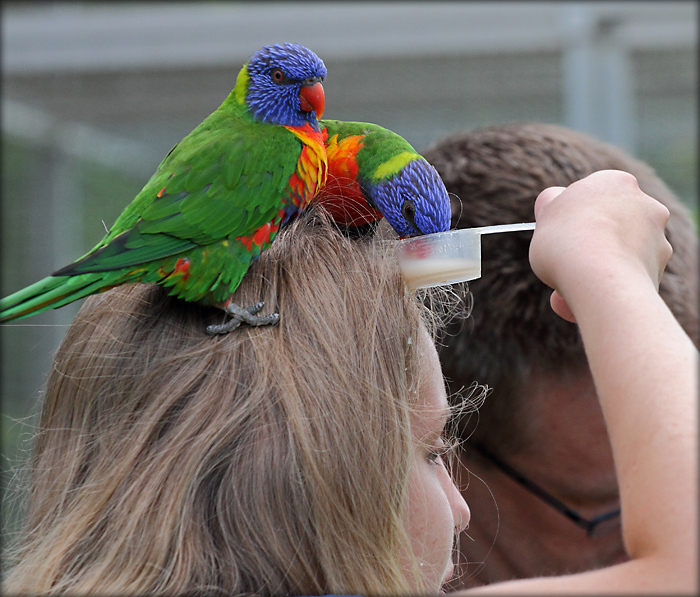 The observation of this gives the onlooker many impression both auditory and sensory. 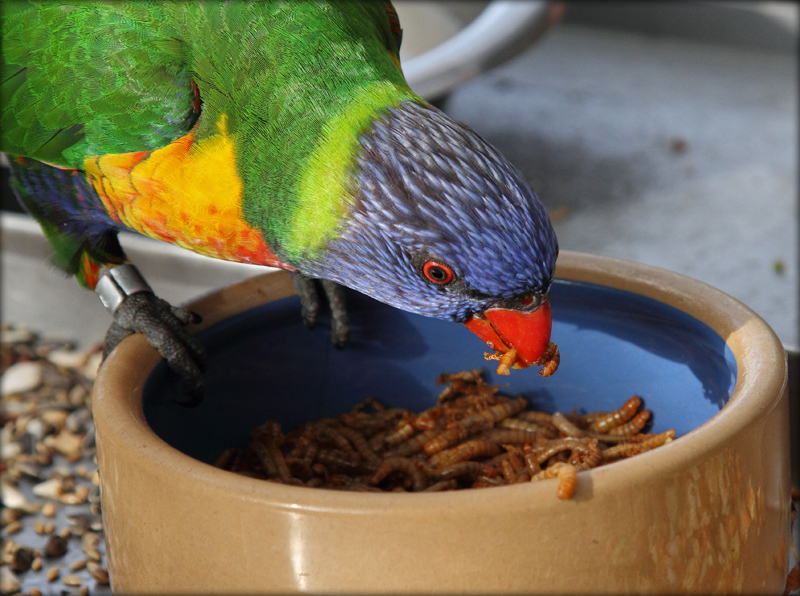 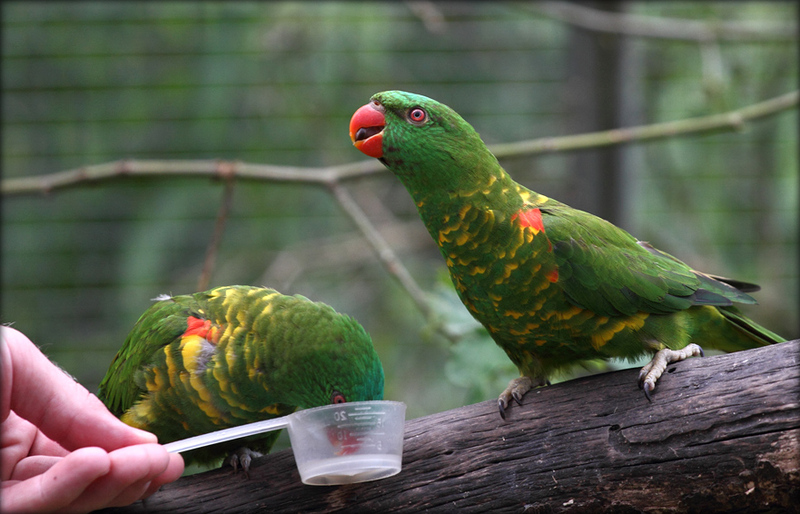 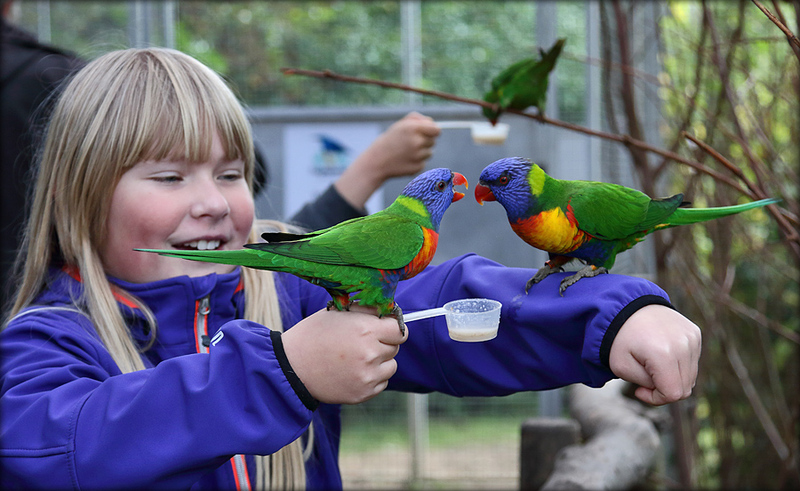 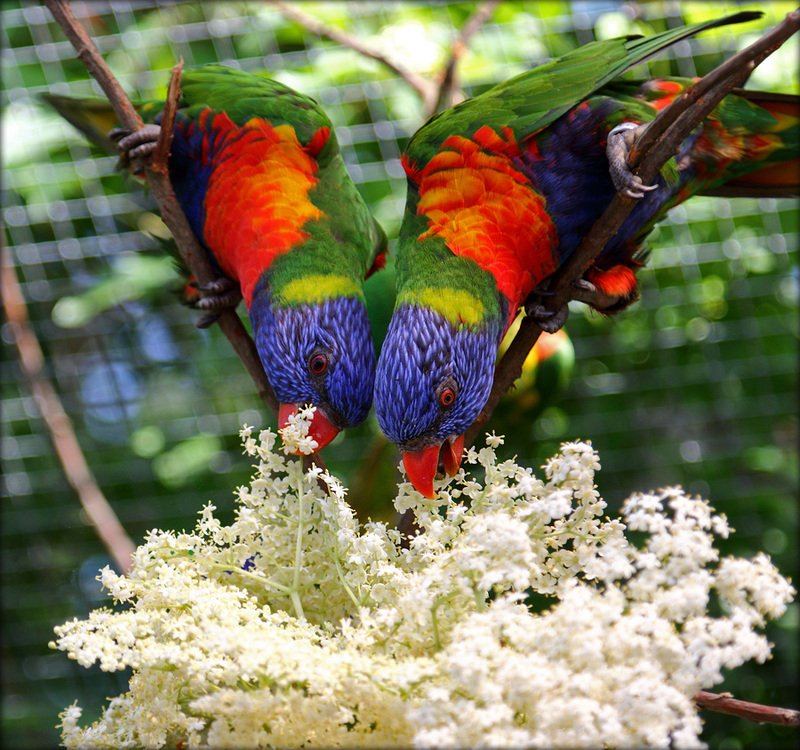 The large flock of Australian Rainbow Lorikeets is so social that you can have a close encounter with them and take part in feeding them twice a day. 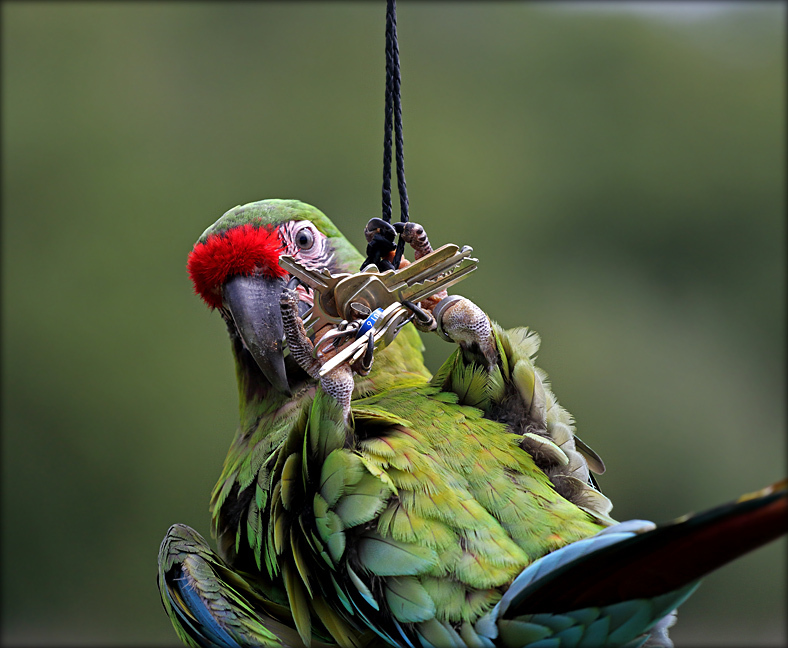 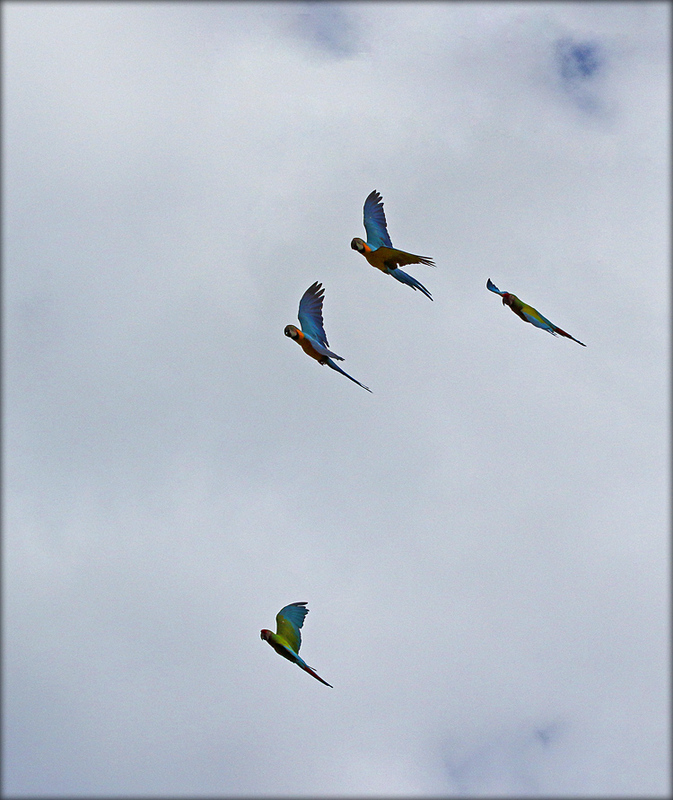 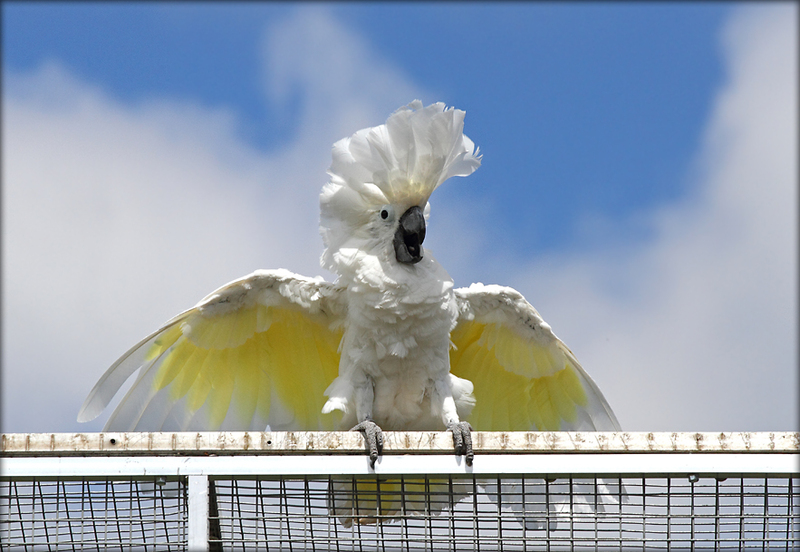 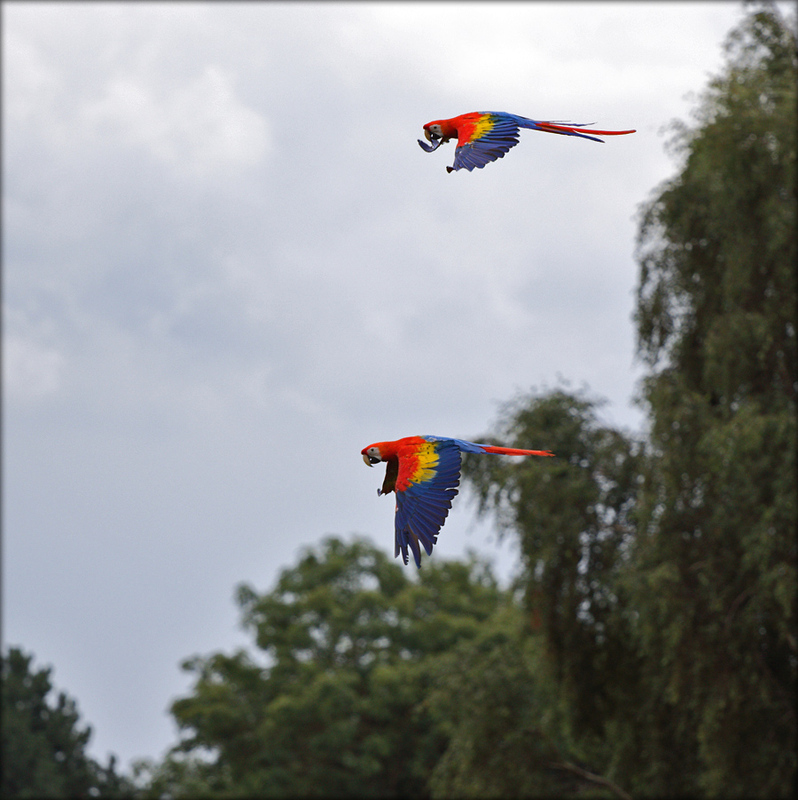 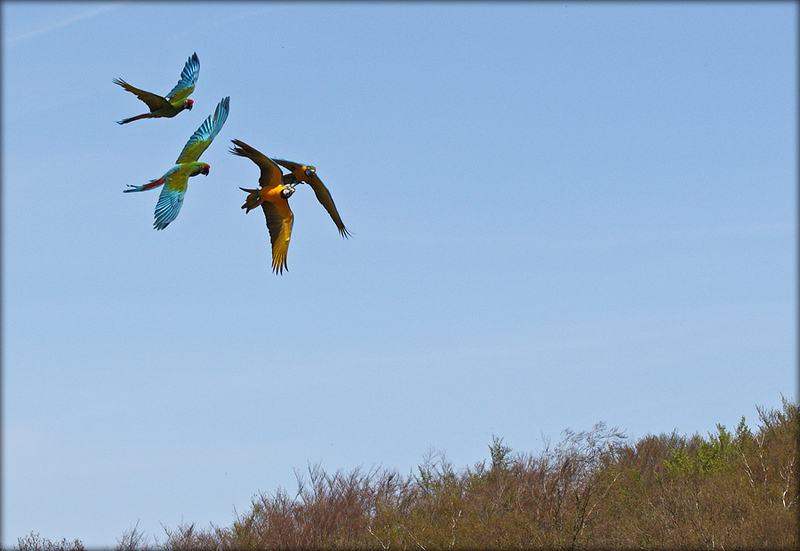 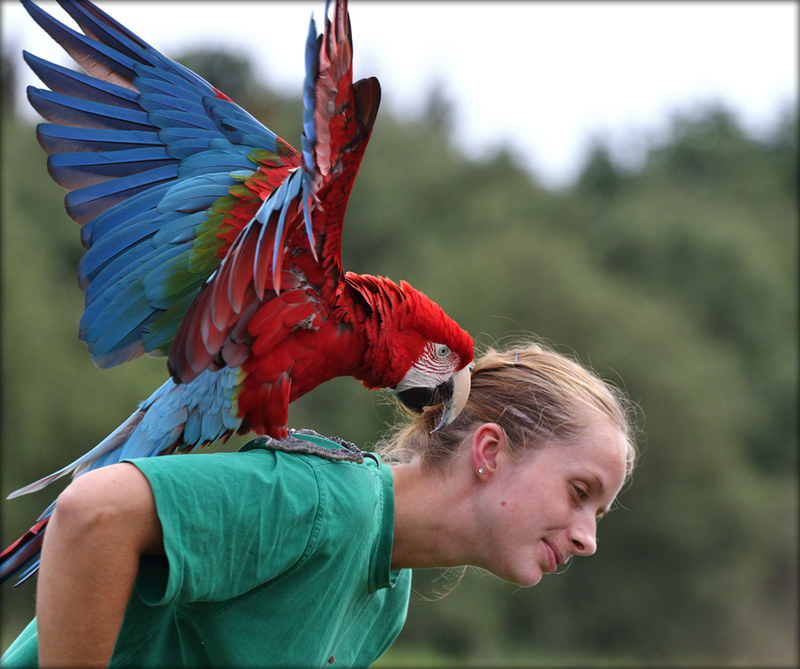 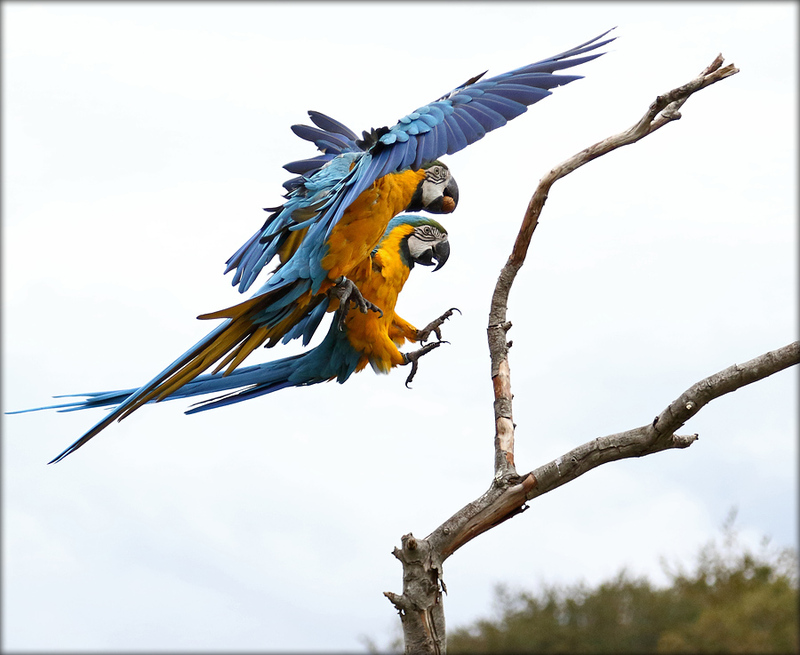 In the furthest end of the park with the view of the beautiful nature is where we show off our Cockatoos and Macaws in an exhilarating live aerial show. 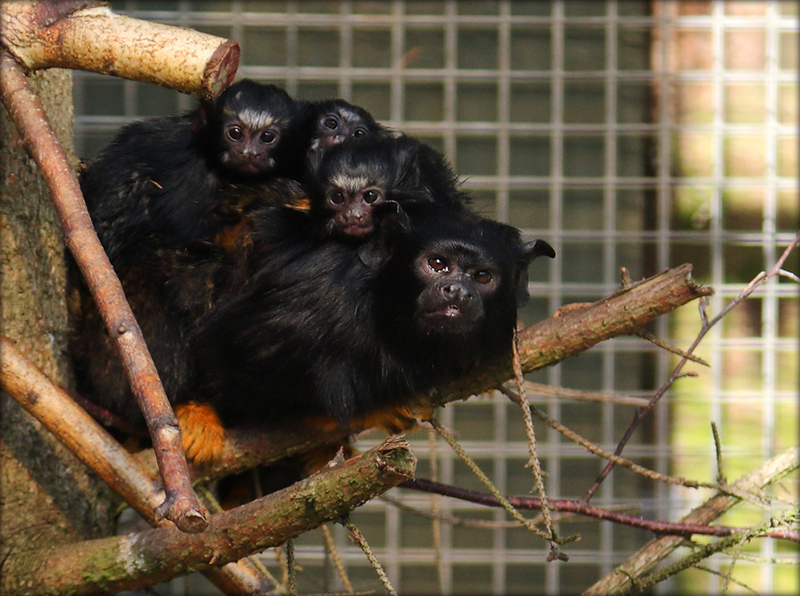 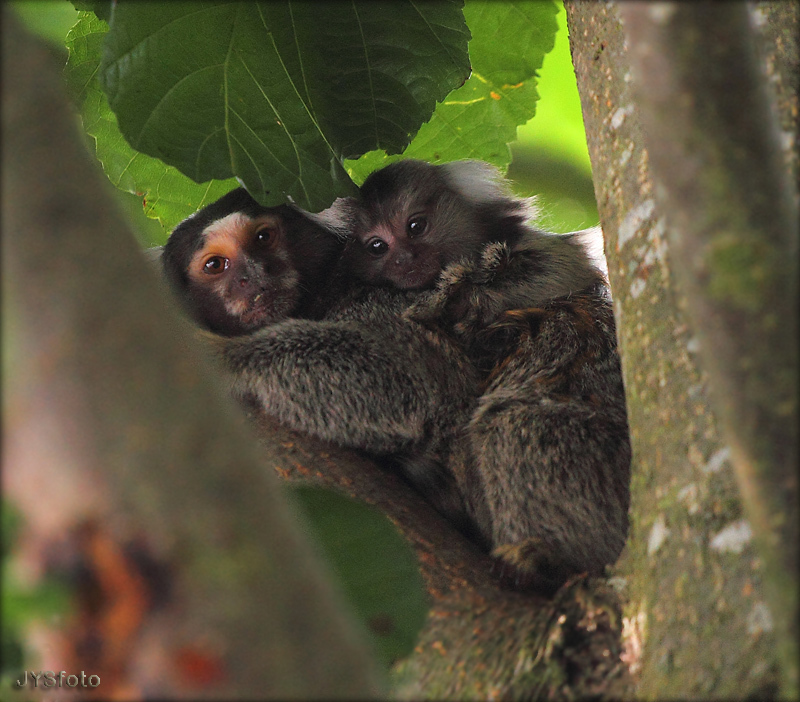 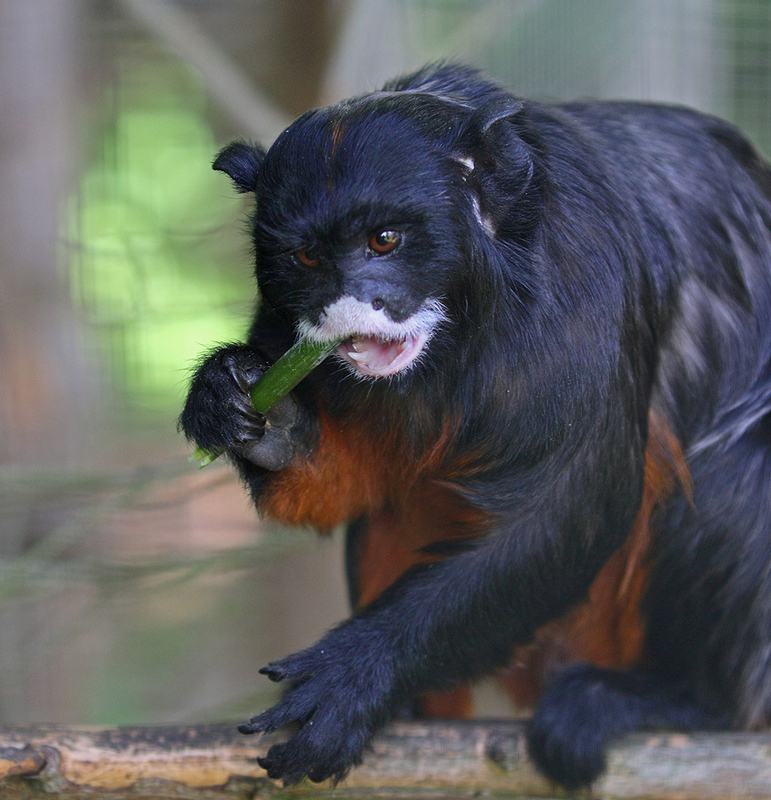 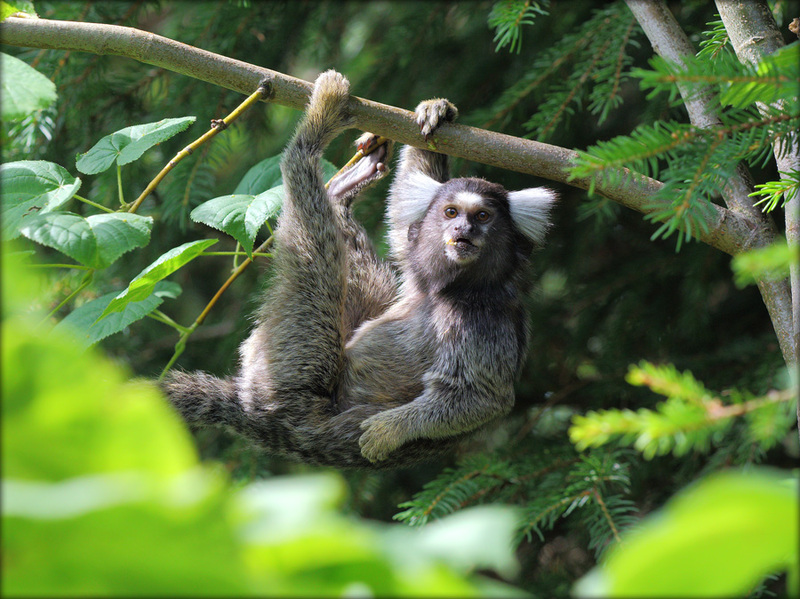 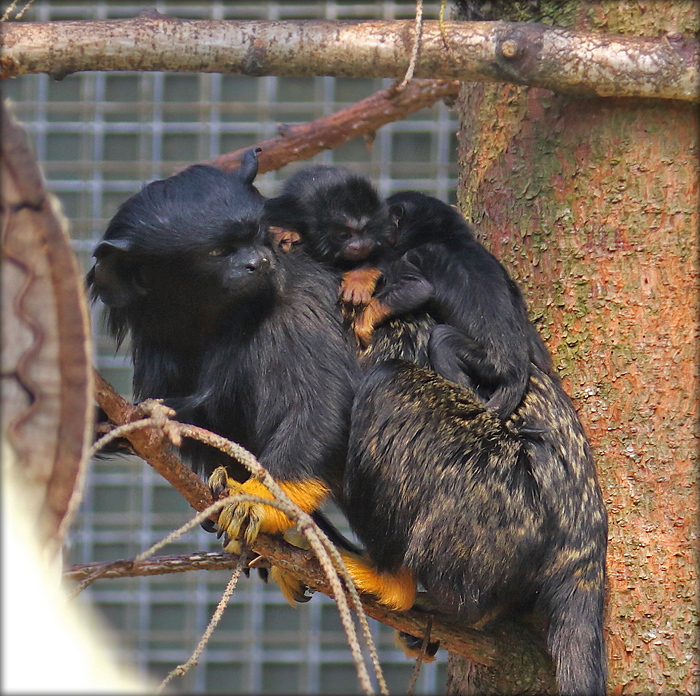 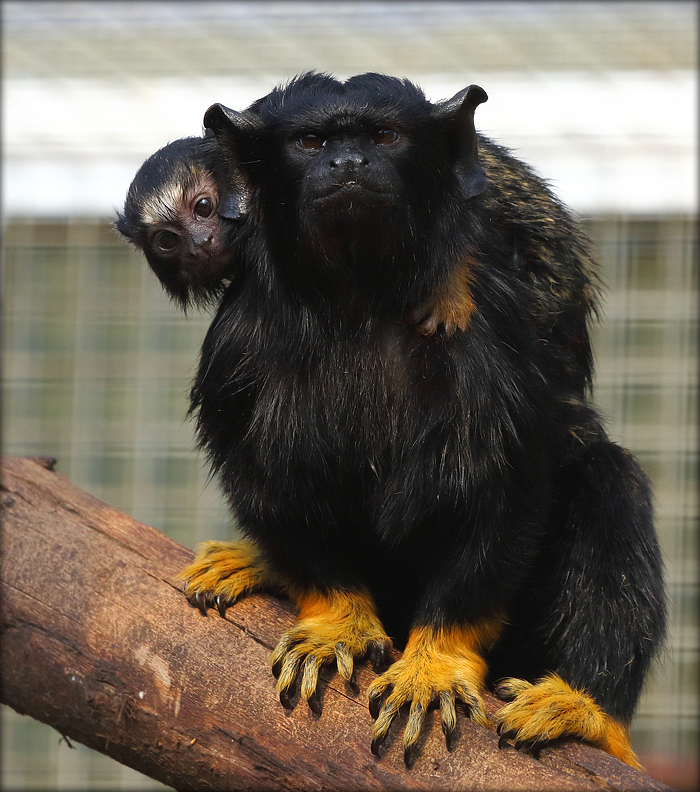 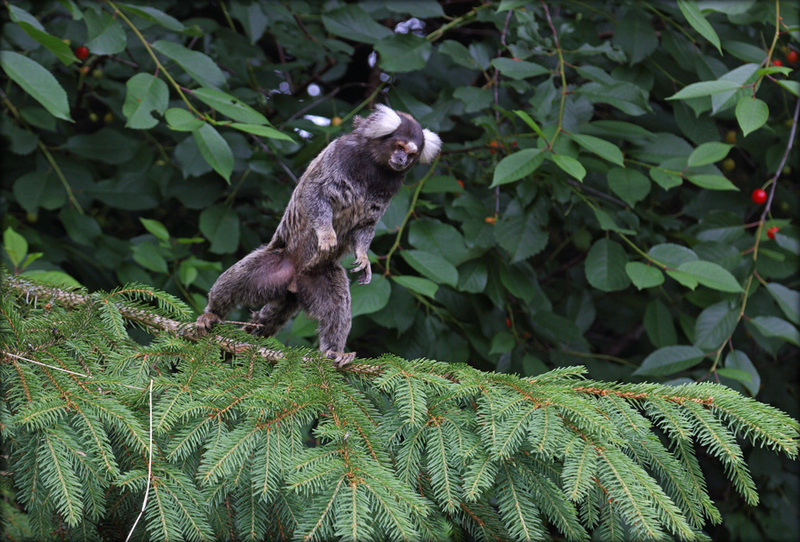 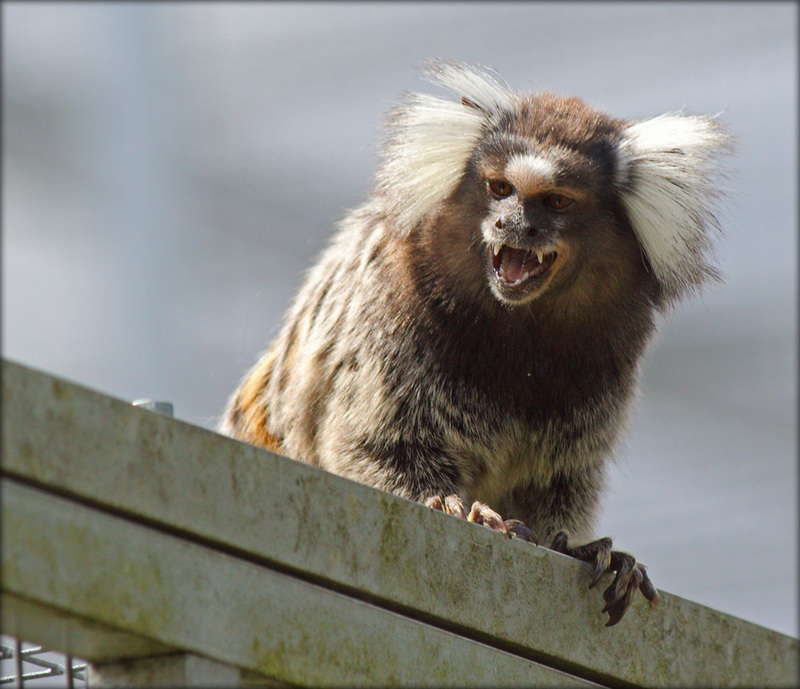 You can also find a large collection of mammals in the park such as squirrel monkeys, kangaroos, and African Pygmy Goats who loves to be cuddled. 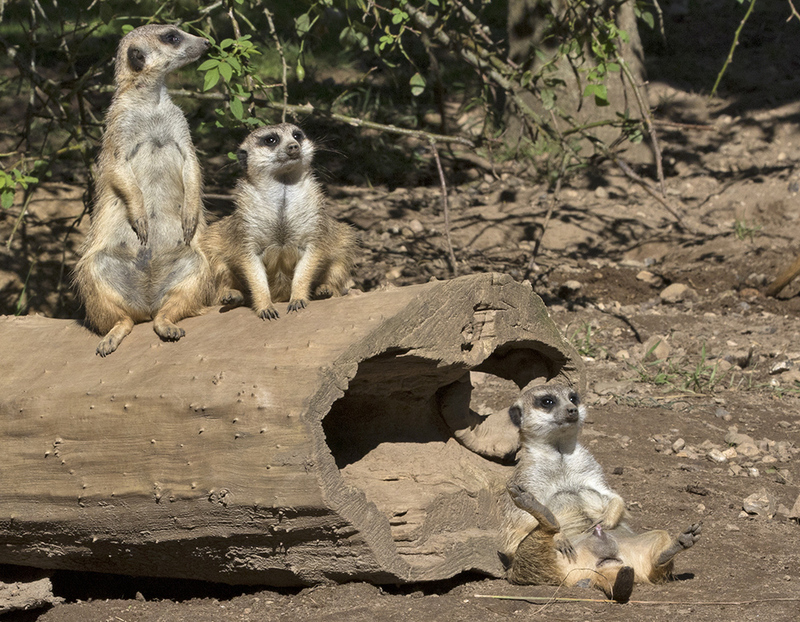 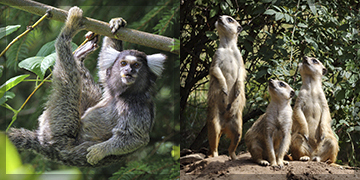 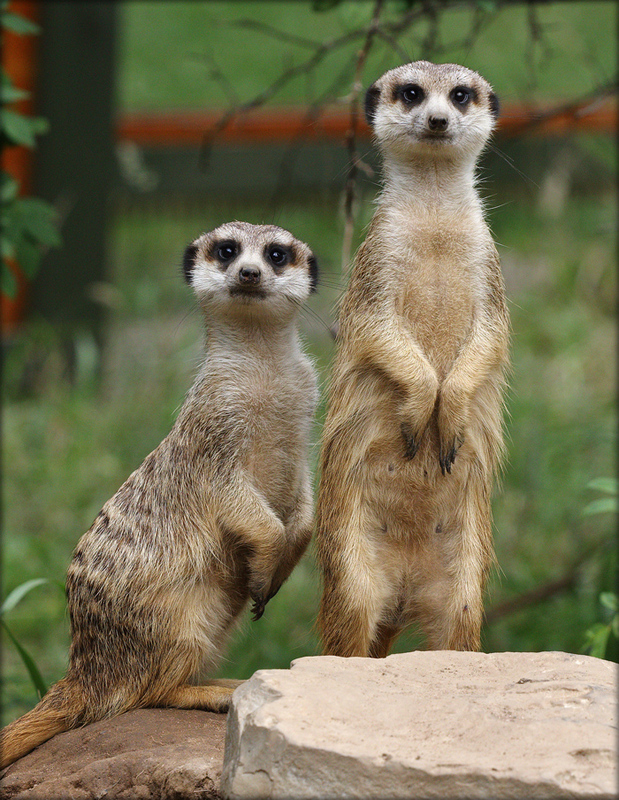 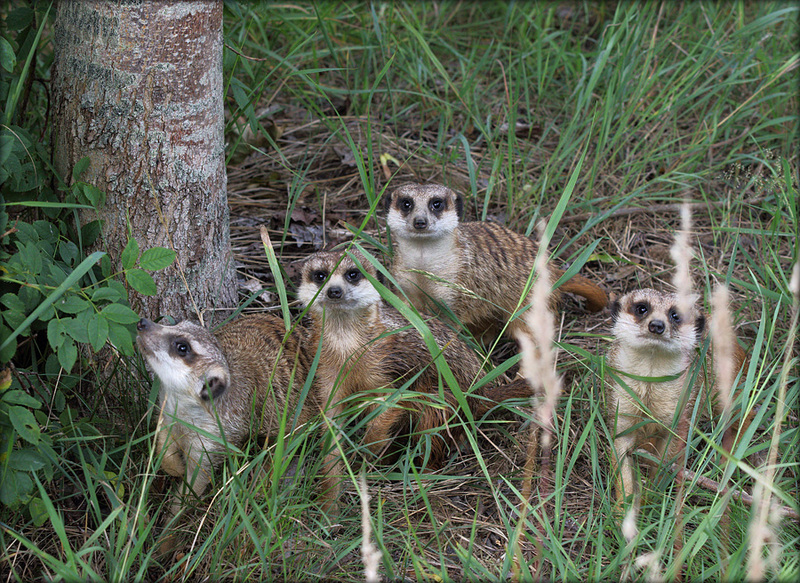 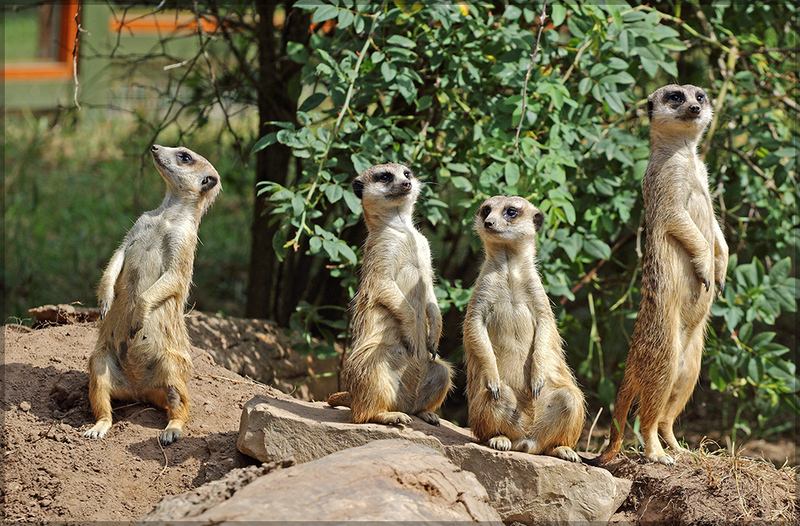 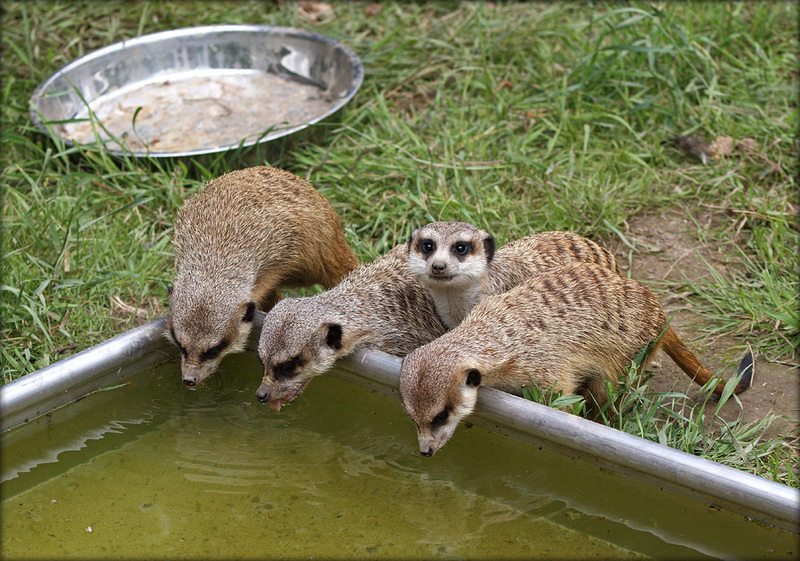 The latest inhabitants are our collection of Slender-tailed Meerkats. 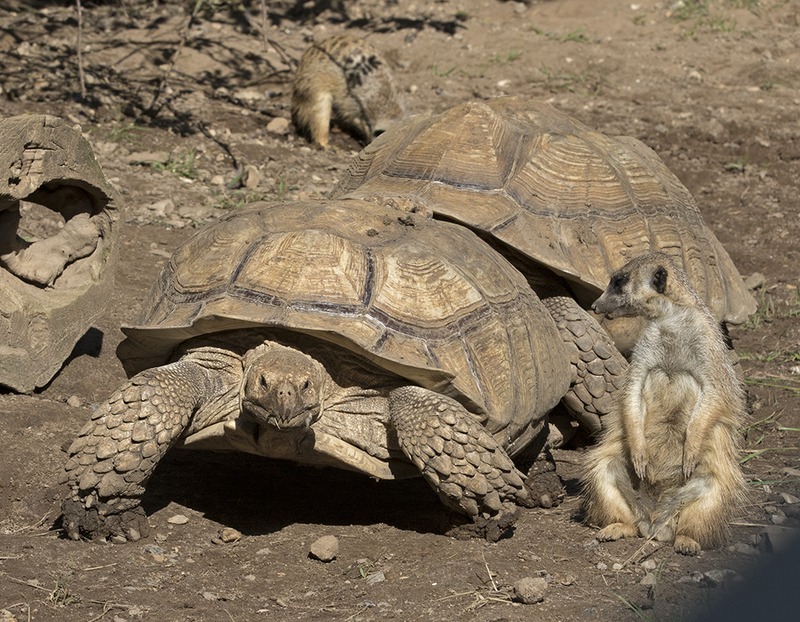 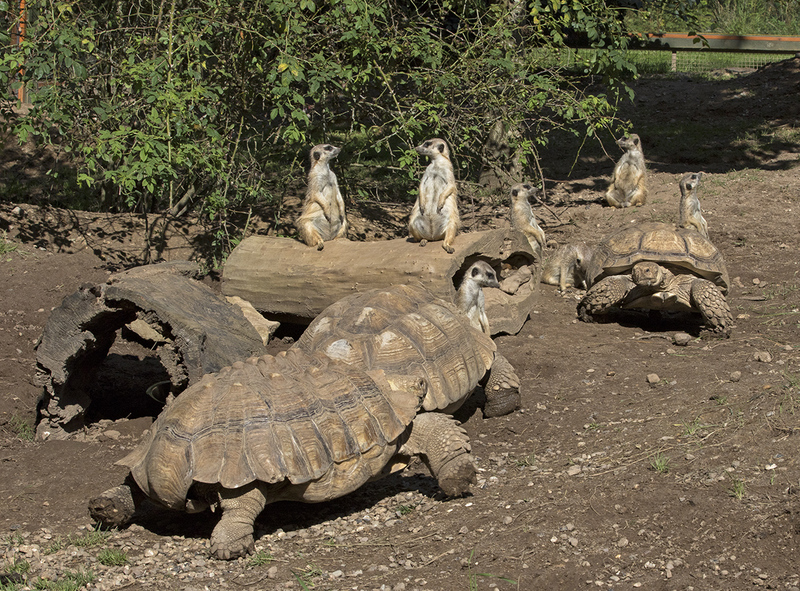 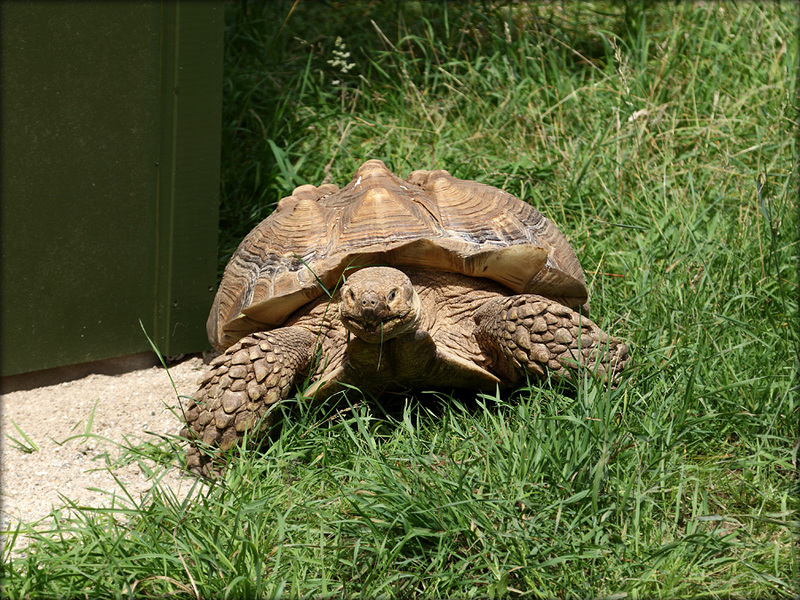 They live together with the large African spurred tortoise in a new installation which was inaugurated in 2016. 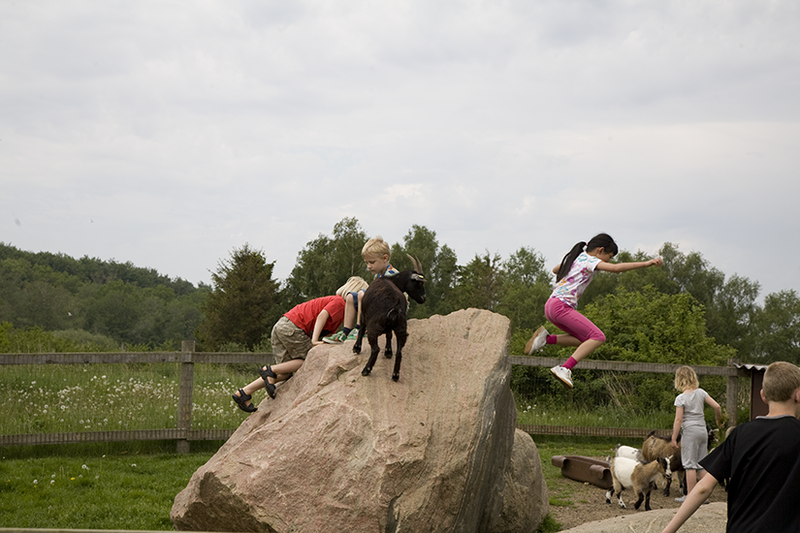 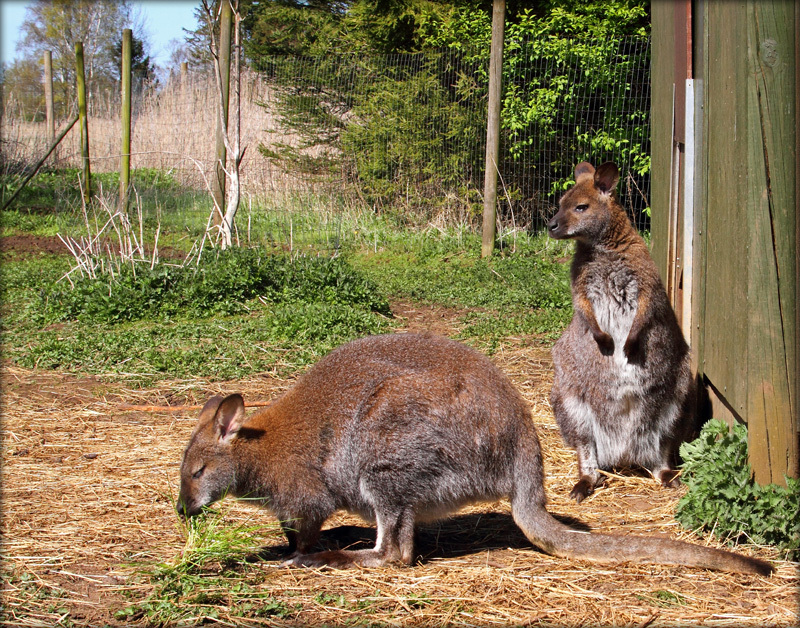 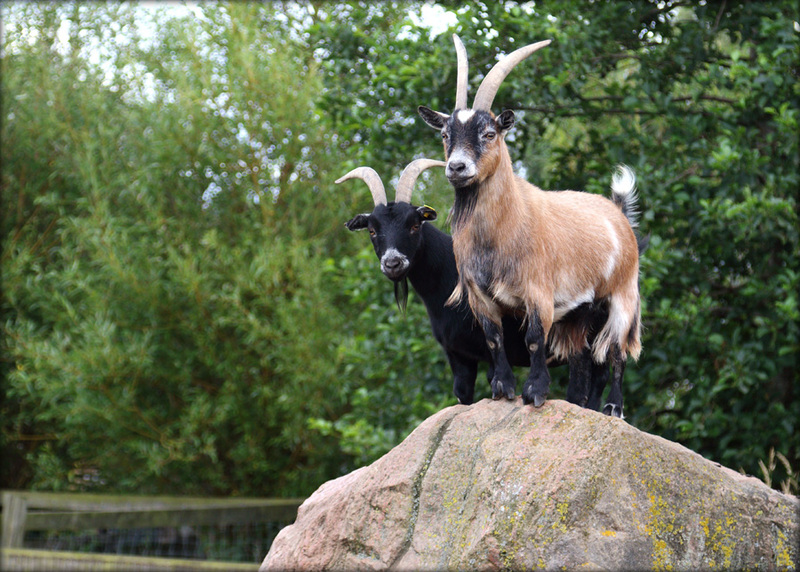 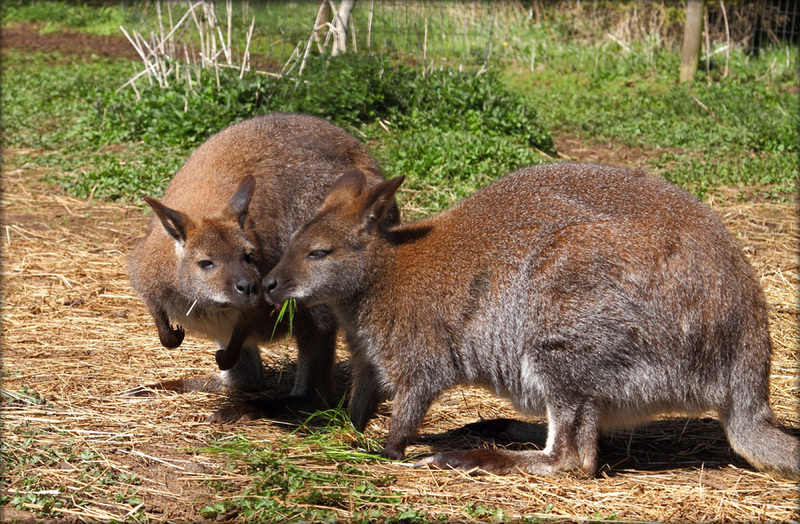 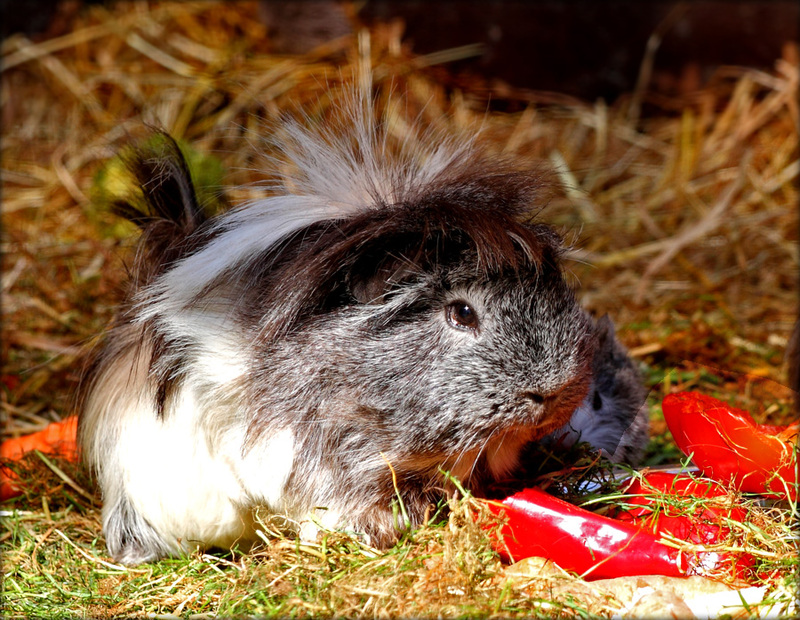 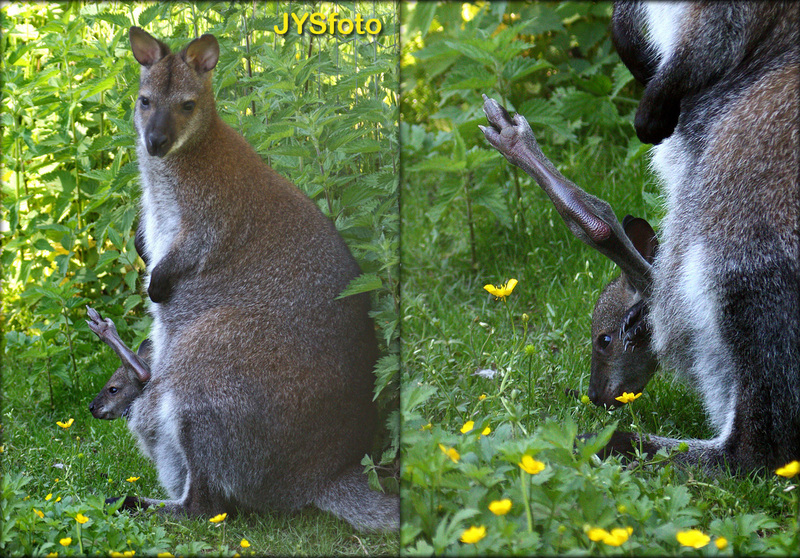 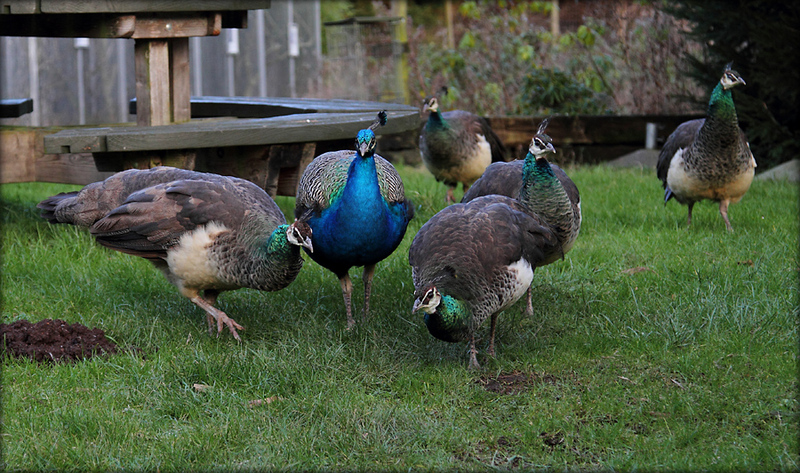 Some of our animals live free in the park. 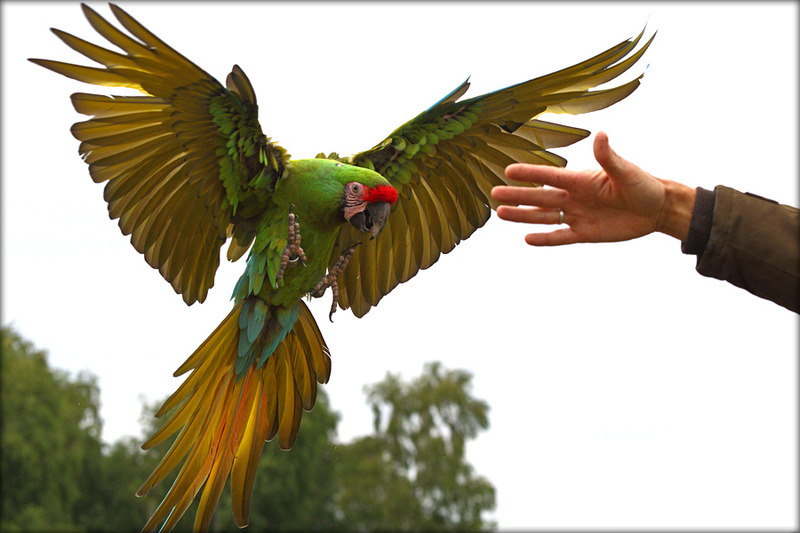 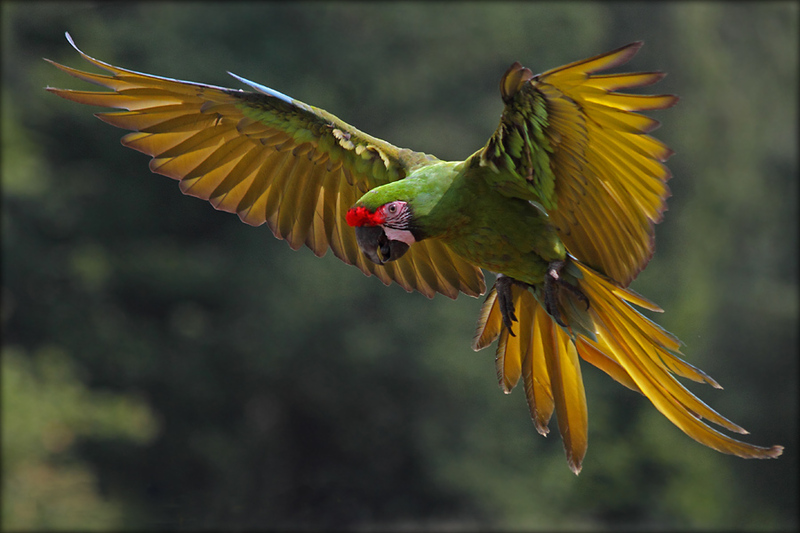 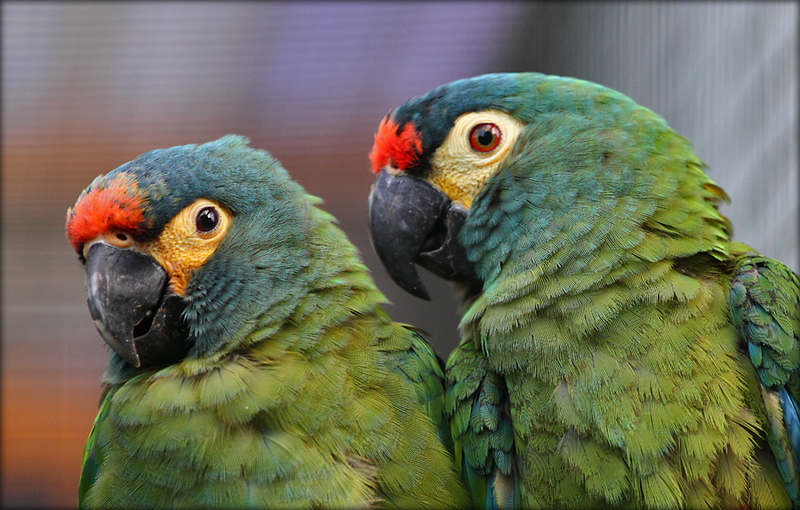 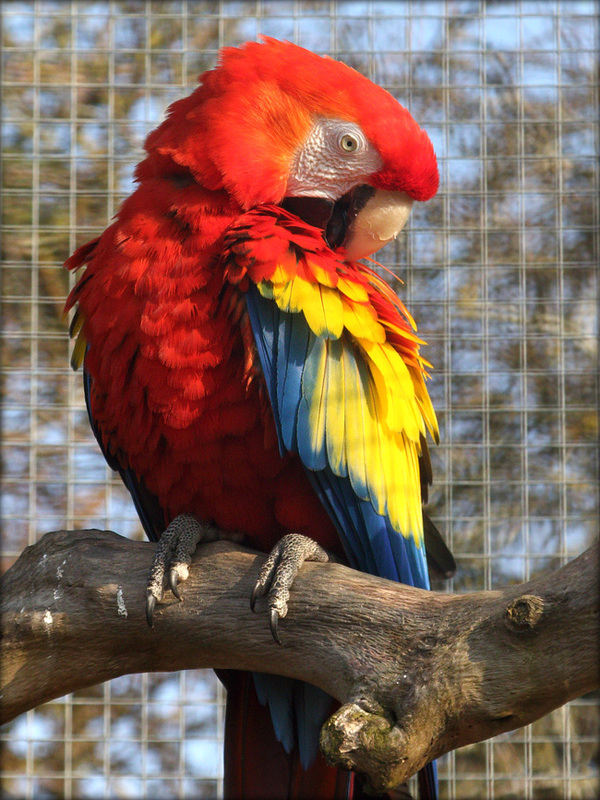 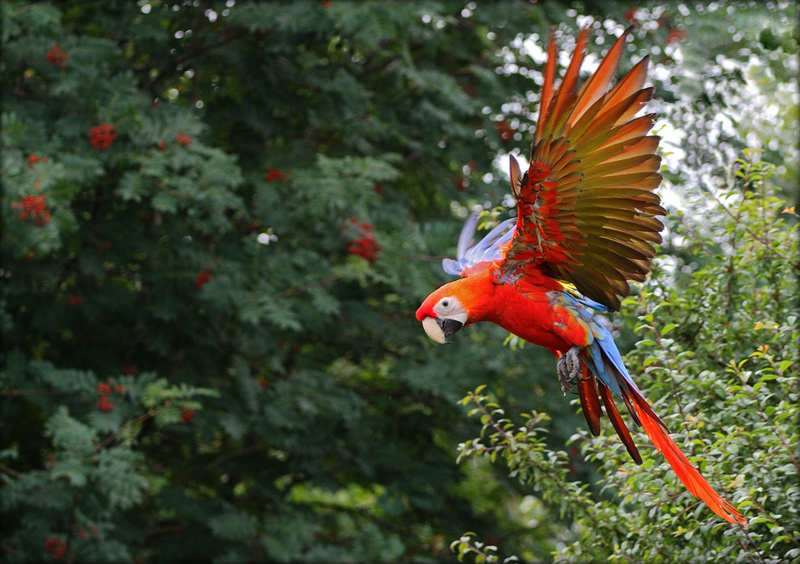 You can meet Peacocks, Love birds, and Silk monkeys when you make your way around the park and don’t be surprised if you meet a few of the large macaws from the aerial show. 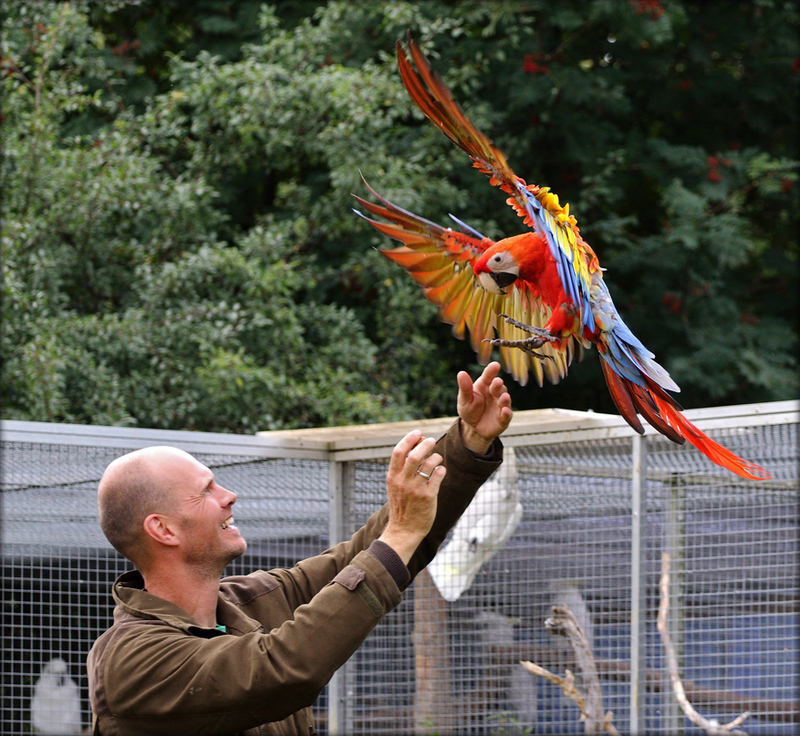 Sometimes we give them a bit more time to play round in the free outside of the shows. 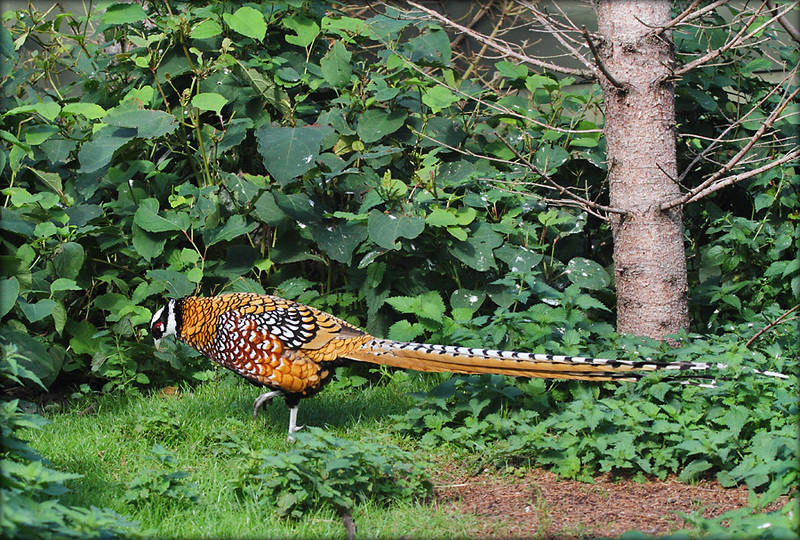 The park also attracts local fauna. 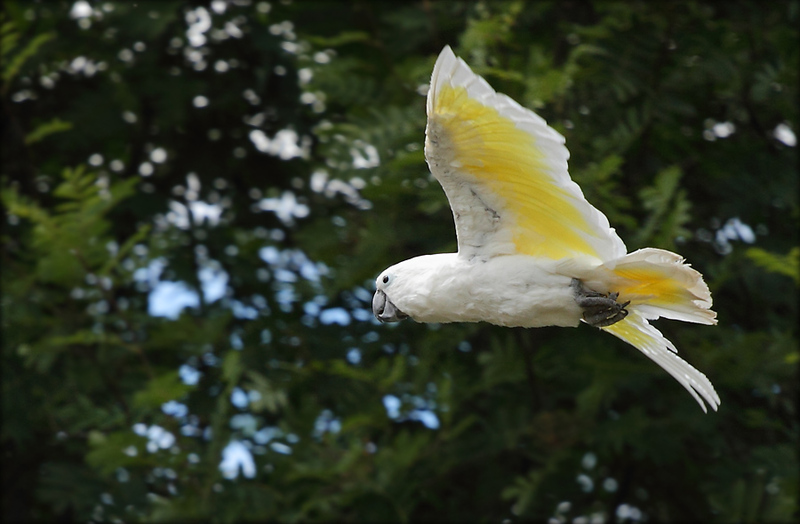 A lot of native birds have decided to take up residence in the park and we often see birds of prey or a raven from the area checking out the park from high above. 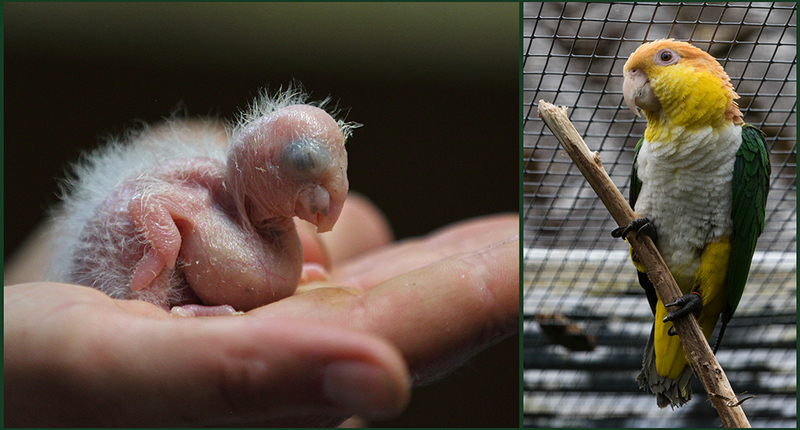 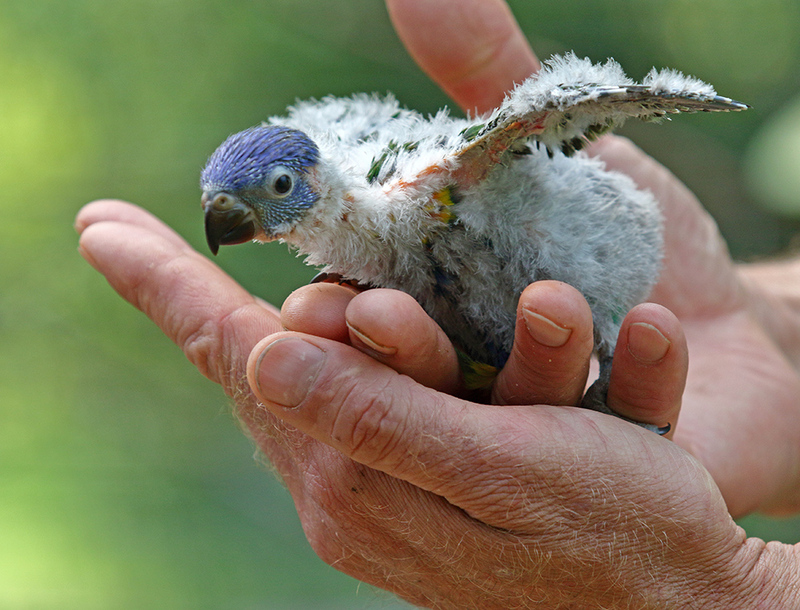 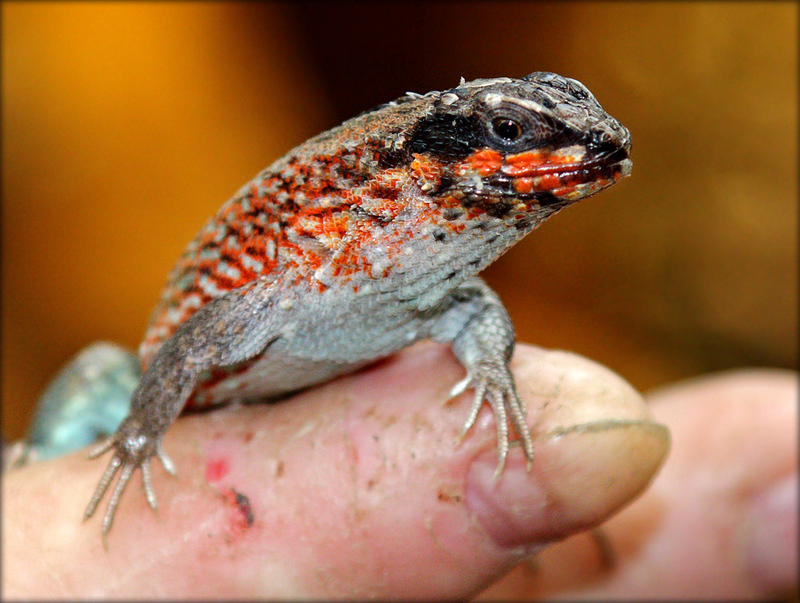 We spend a lot of time on breeding programs and do what we can to protect endangered species. 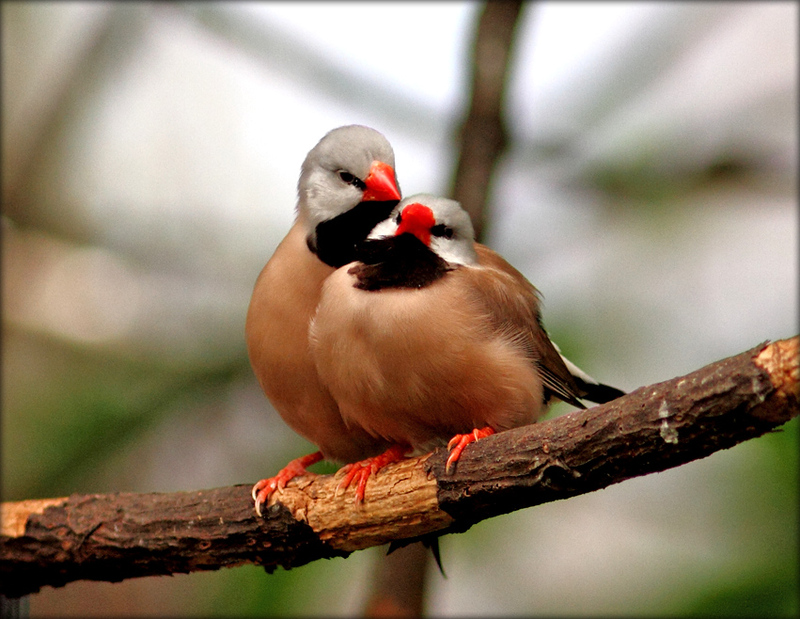 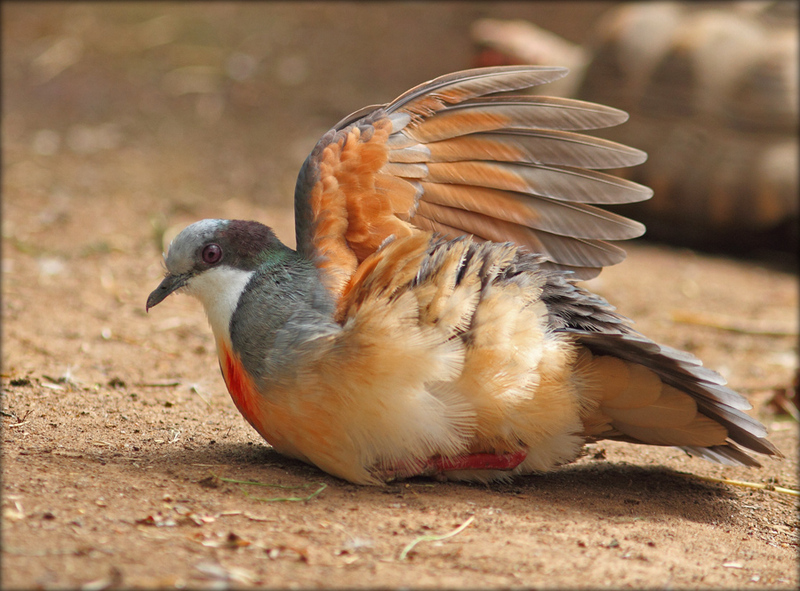 We try our best to keep them in pairs or in flocks and create surroundings which suit each of the species individually. 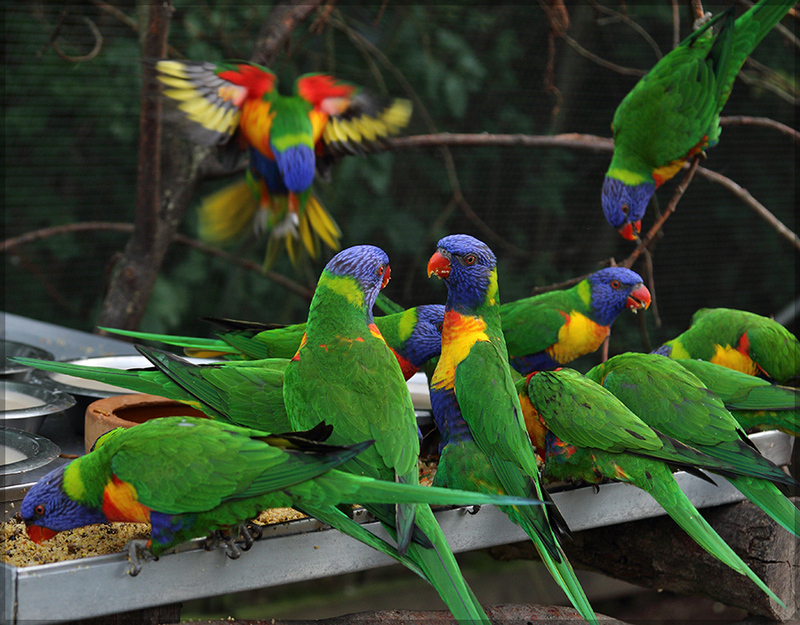 This way they will display as natural a behavioural pattern as possible. 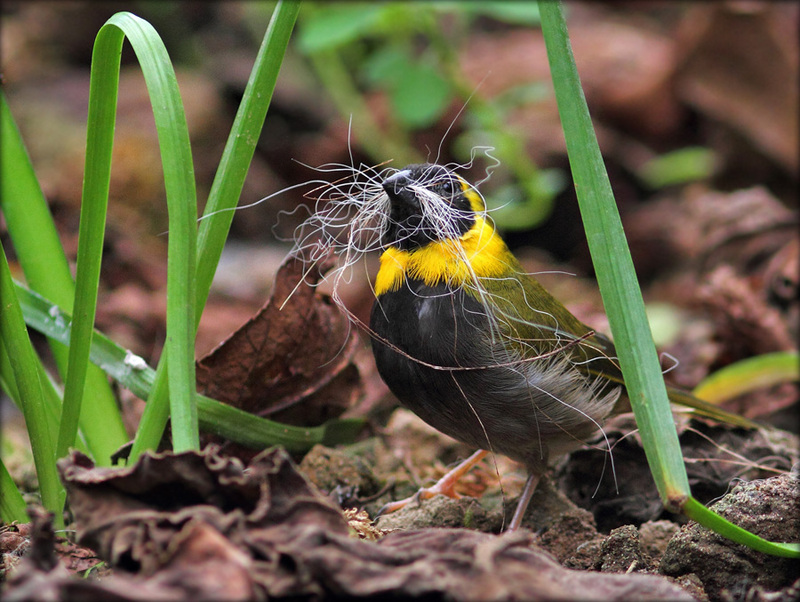 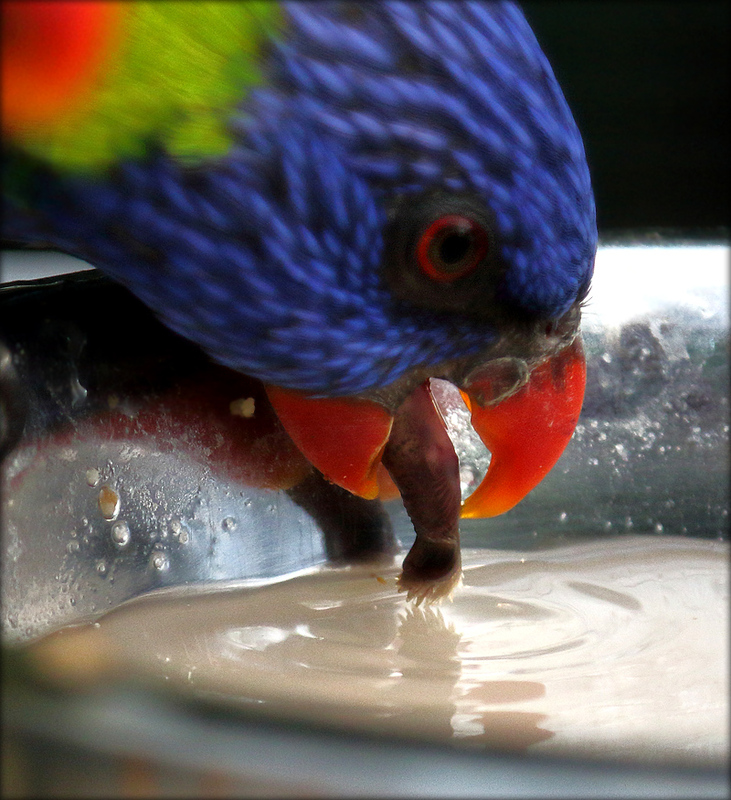 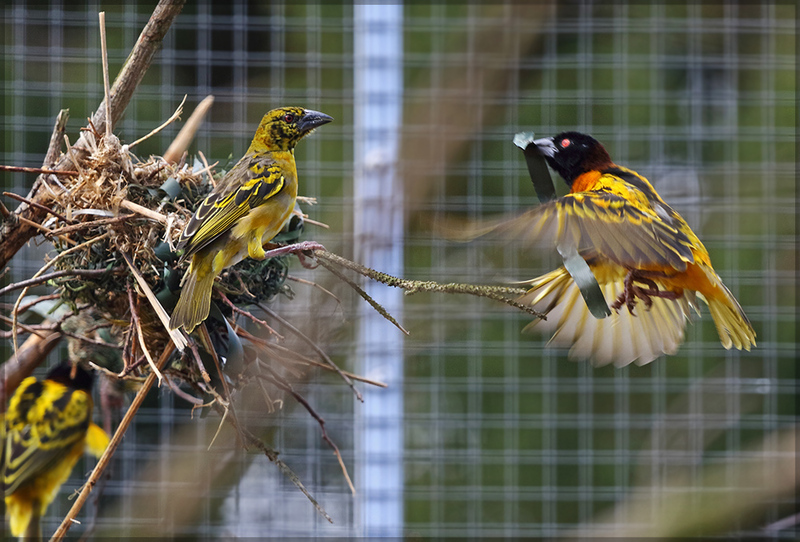 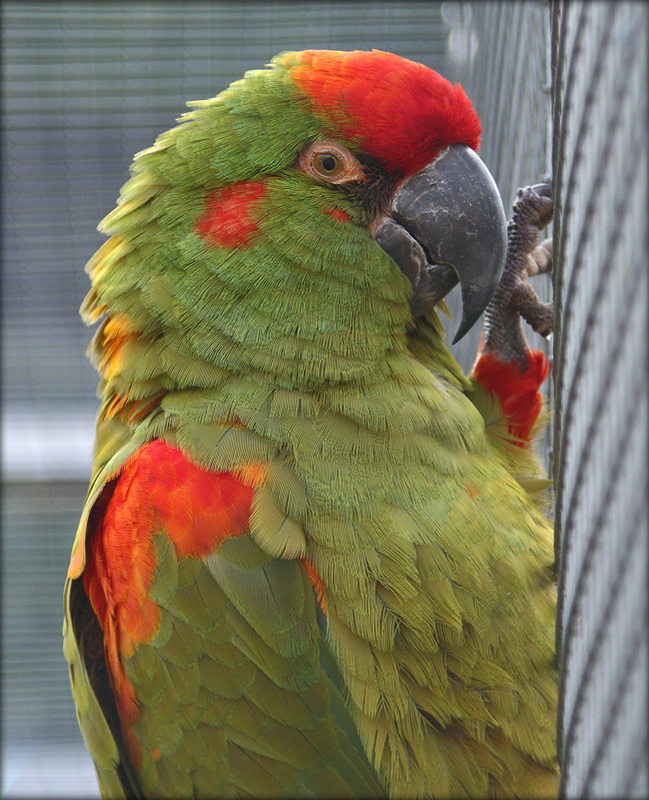 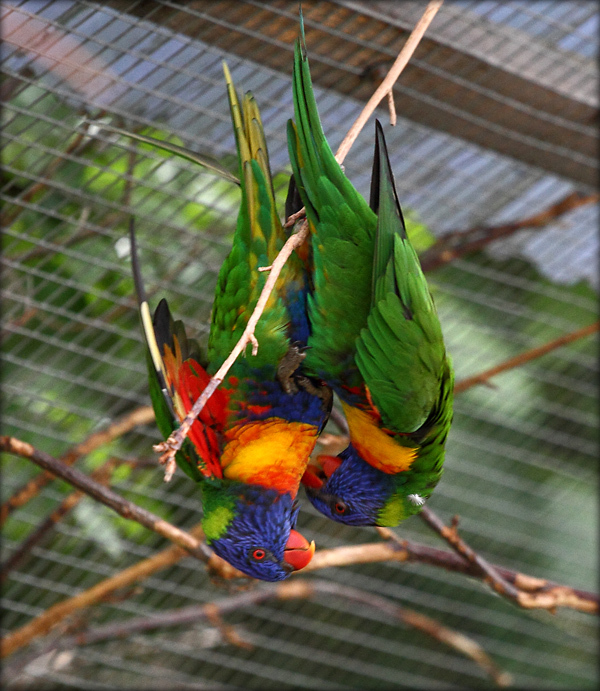 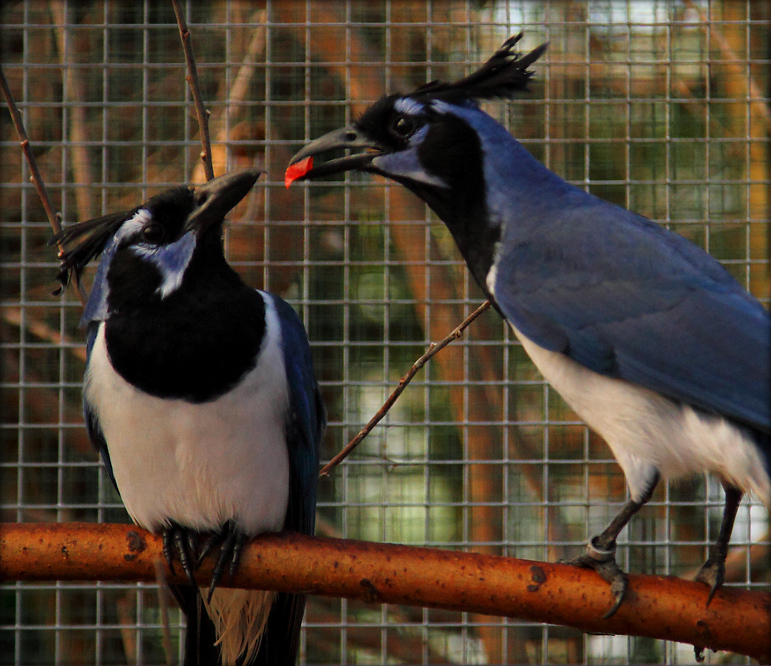 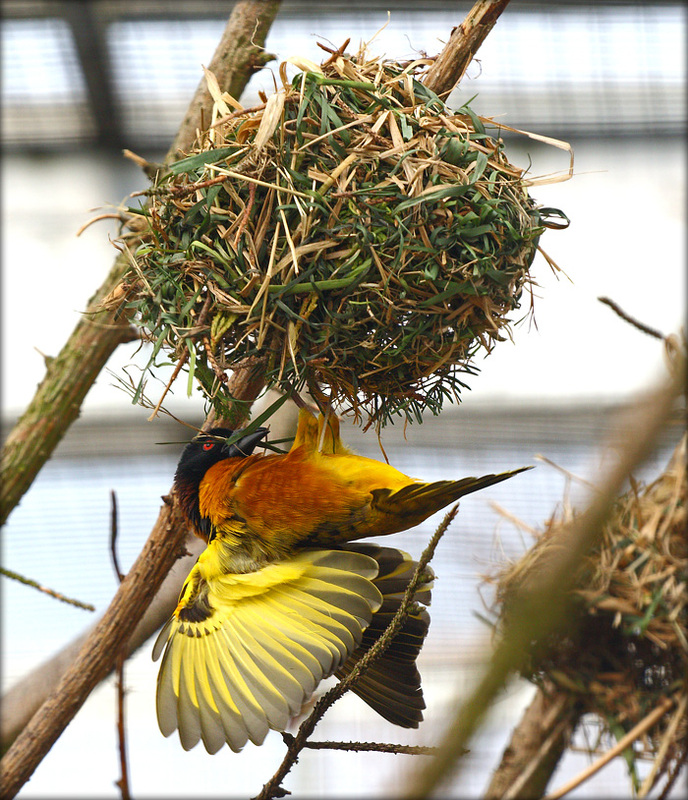 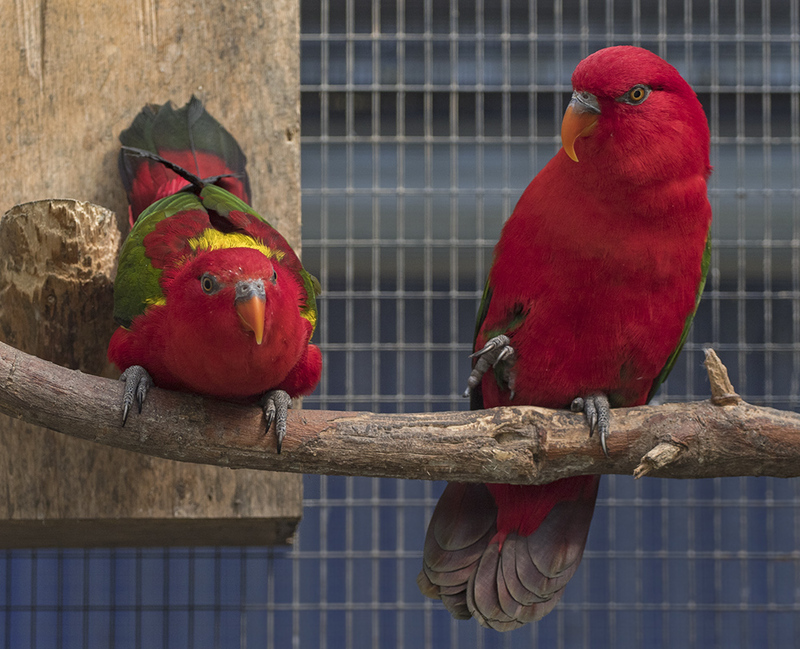 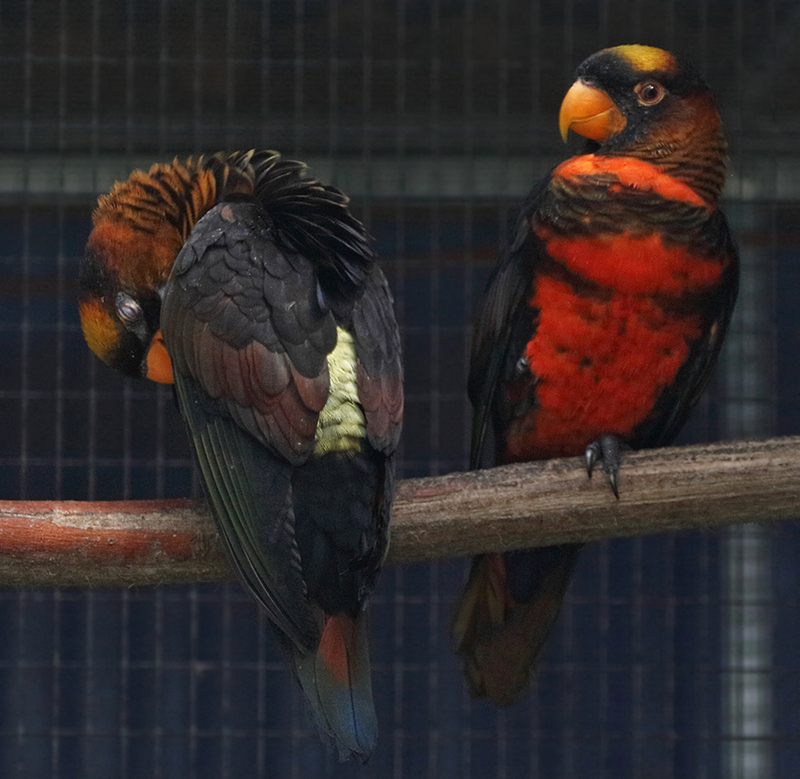 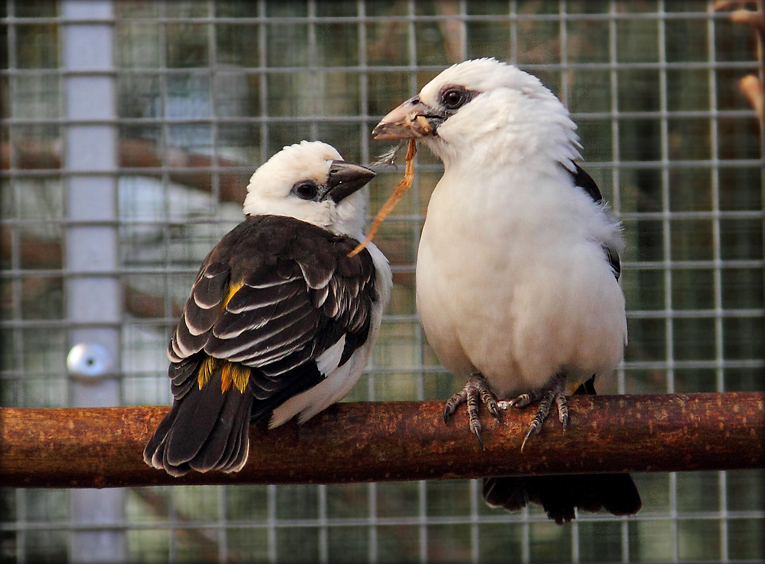 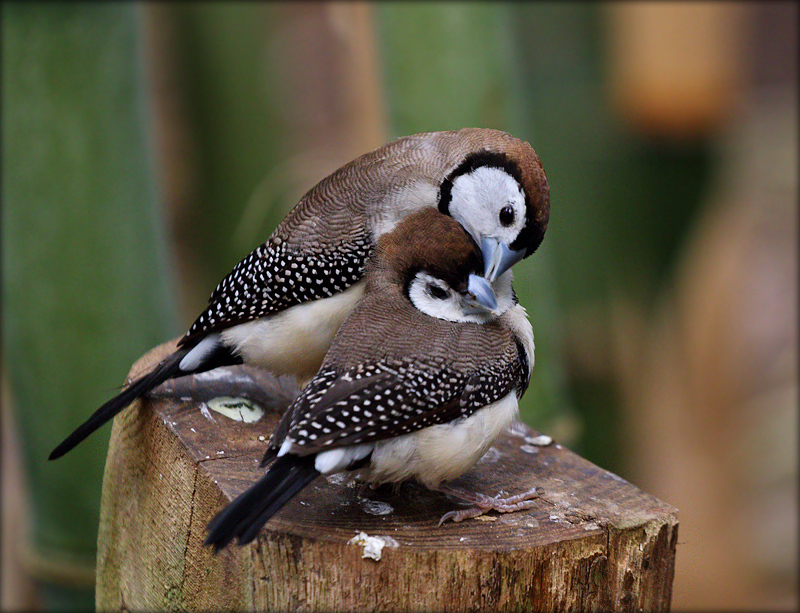 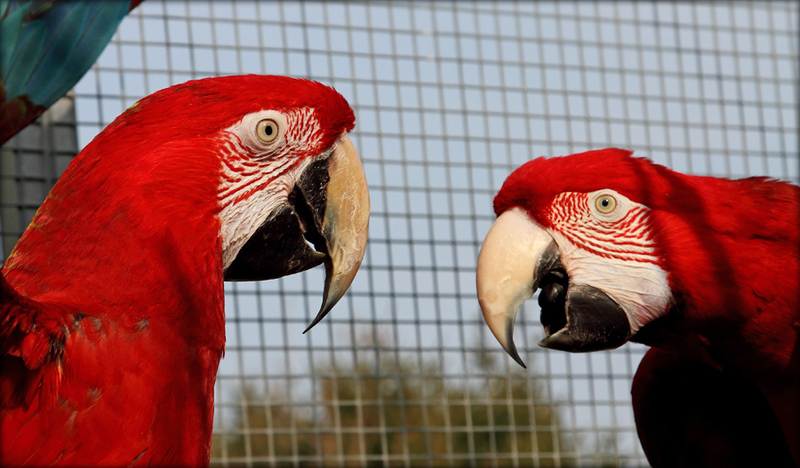 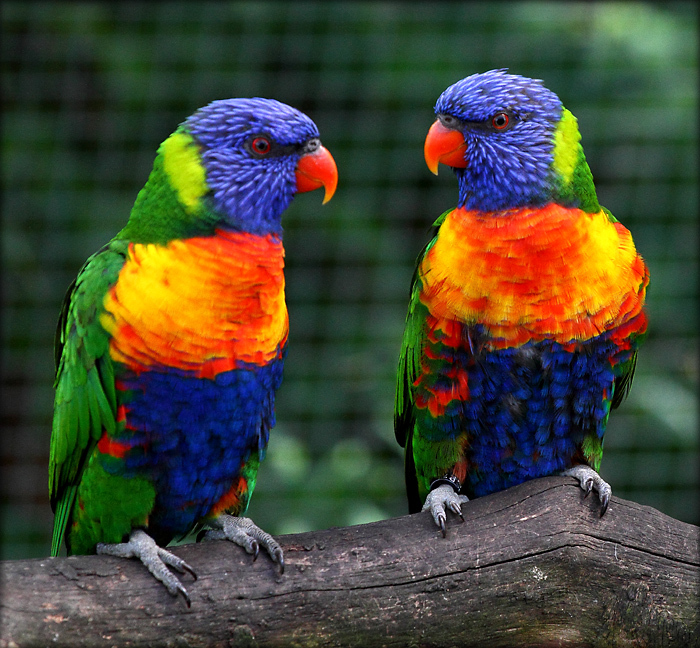 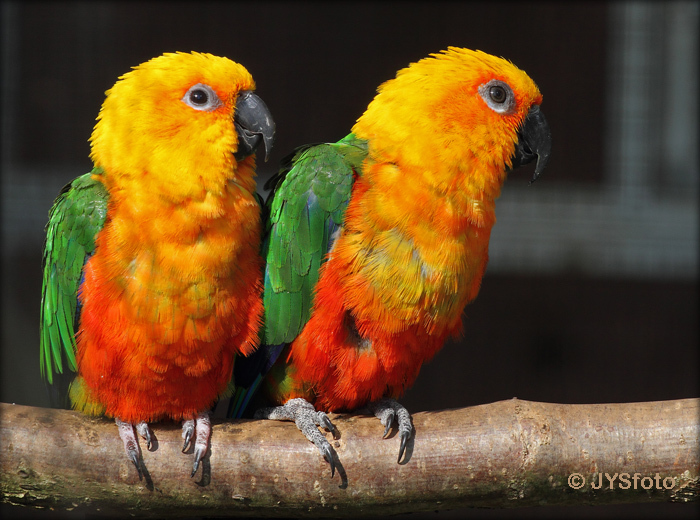 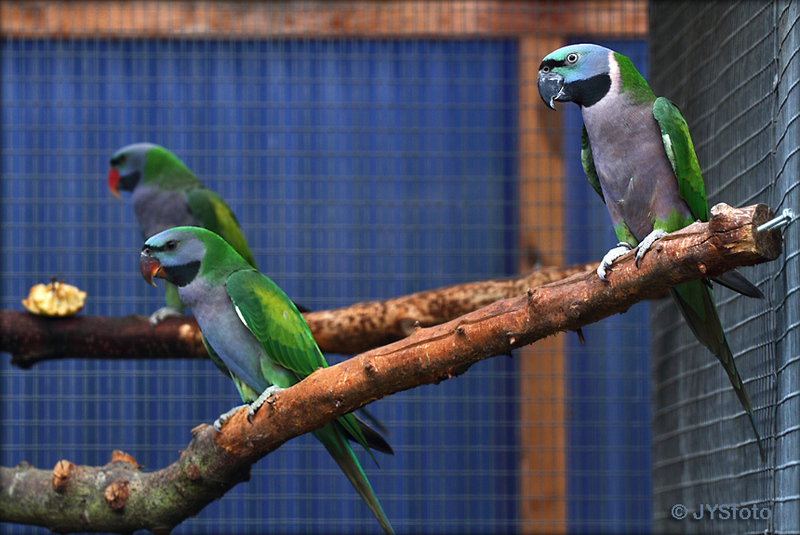 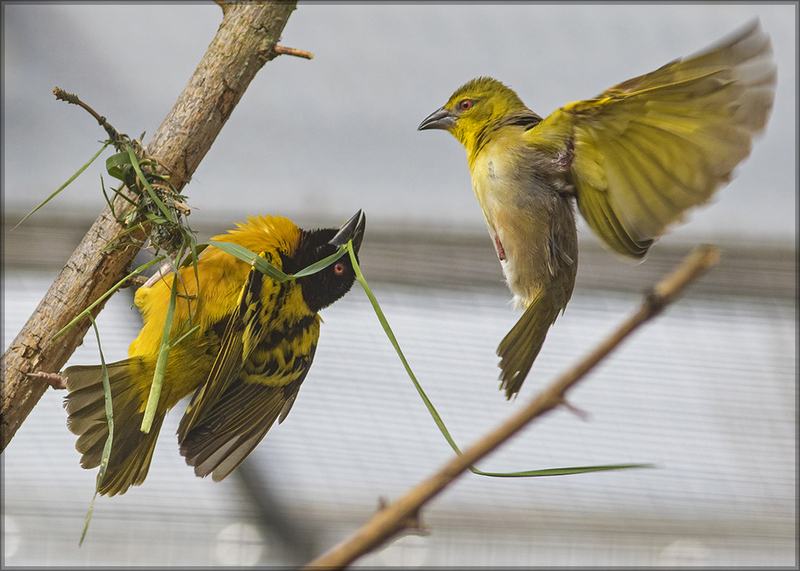 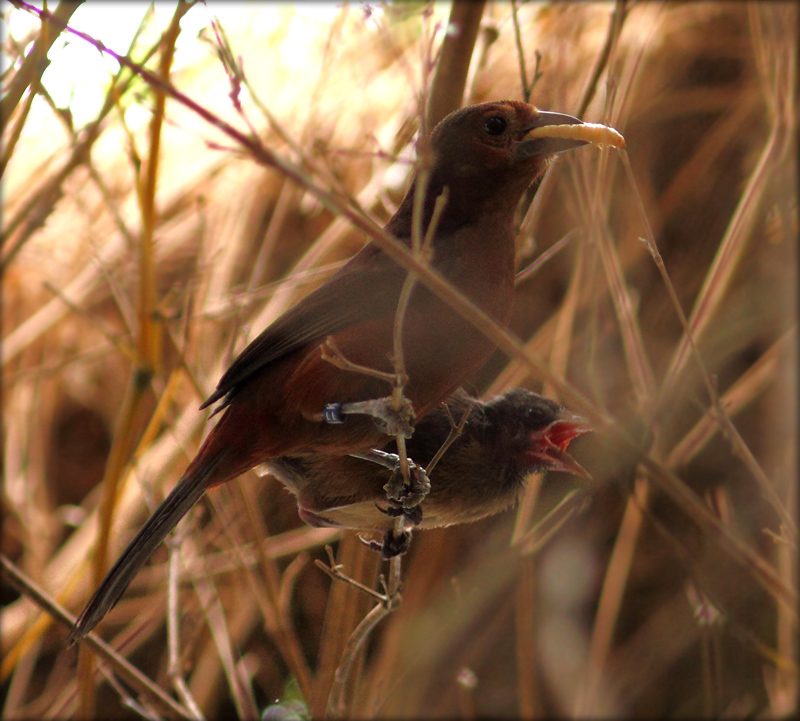 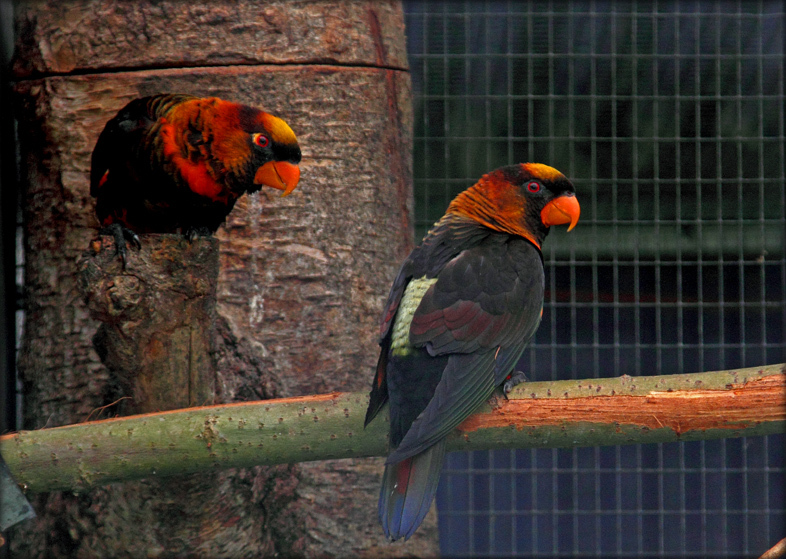 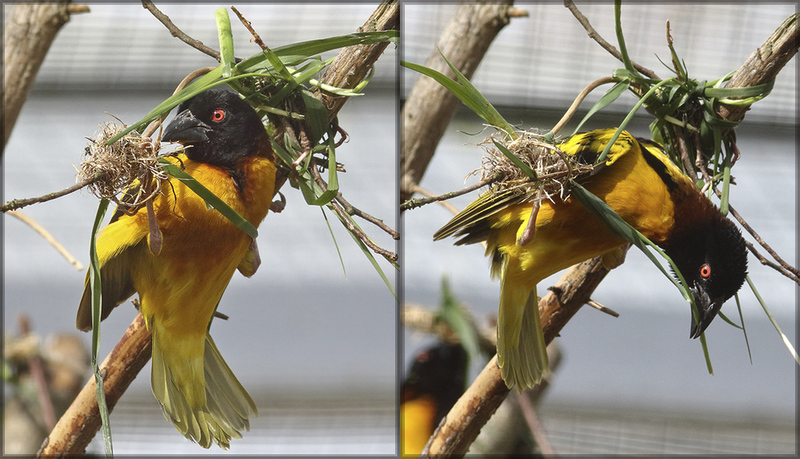 Where possible we allow for multiple species to cohabit in an aviary. 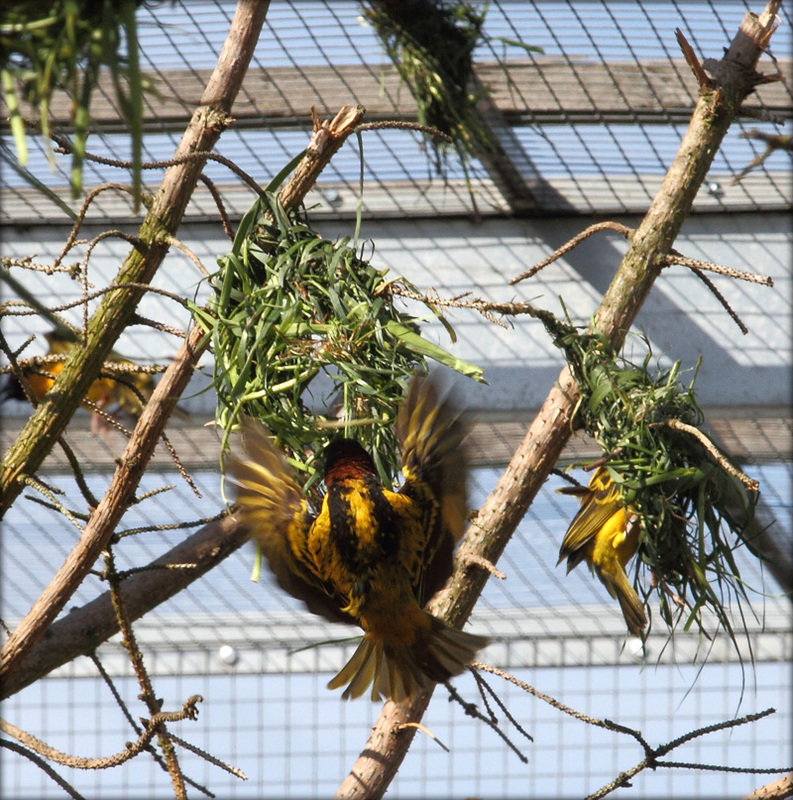 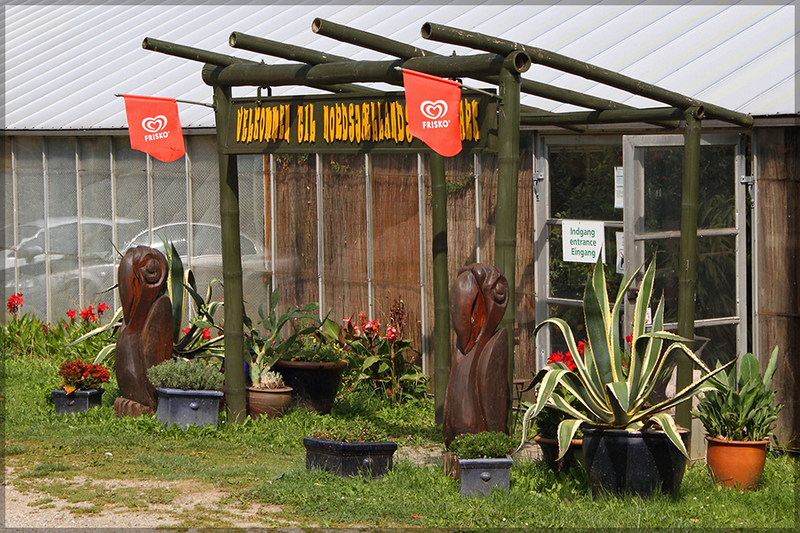 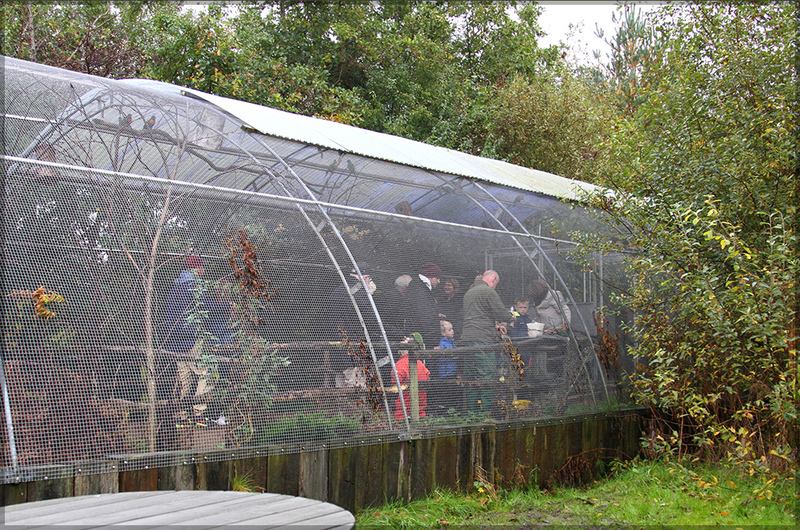 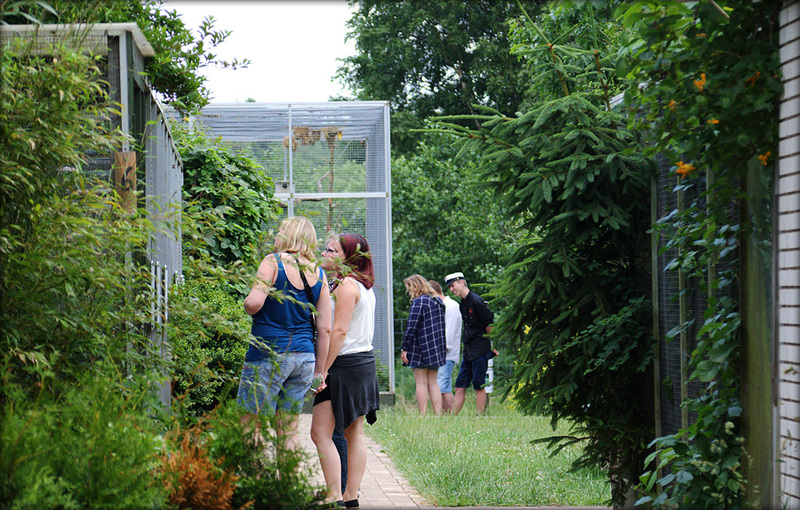 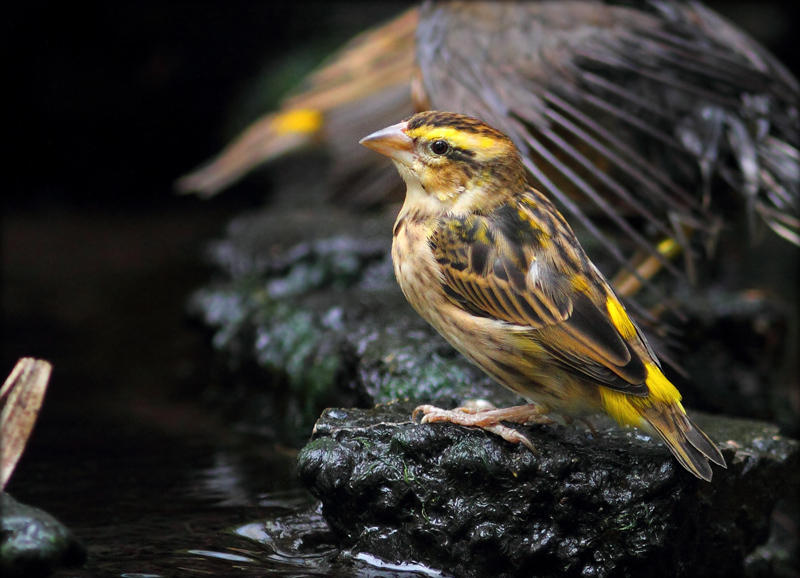 You will find aviaries which in the summer period have a lot of natural vegetation. 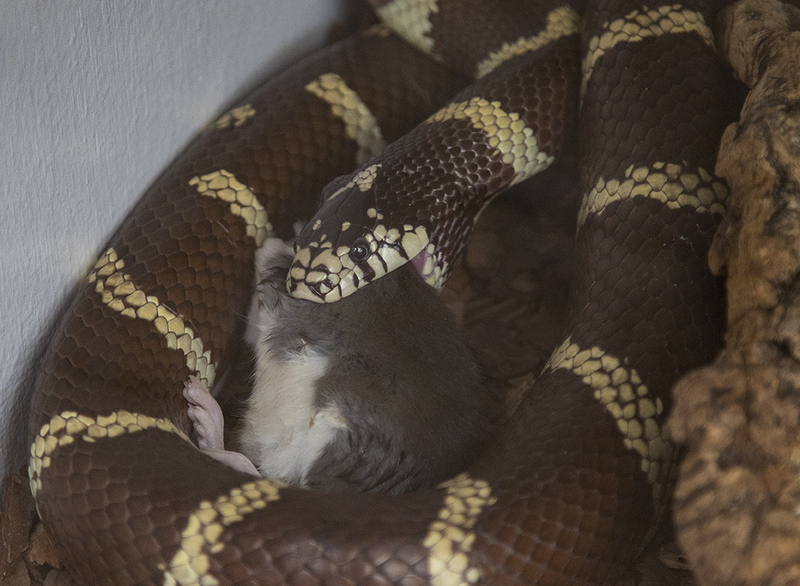 This is purposely done. 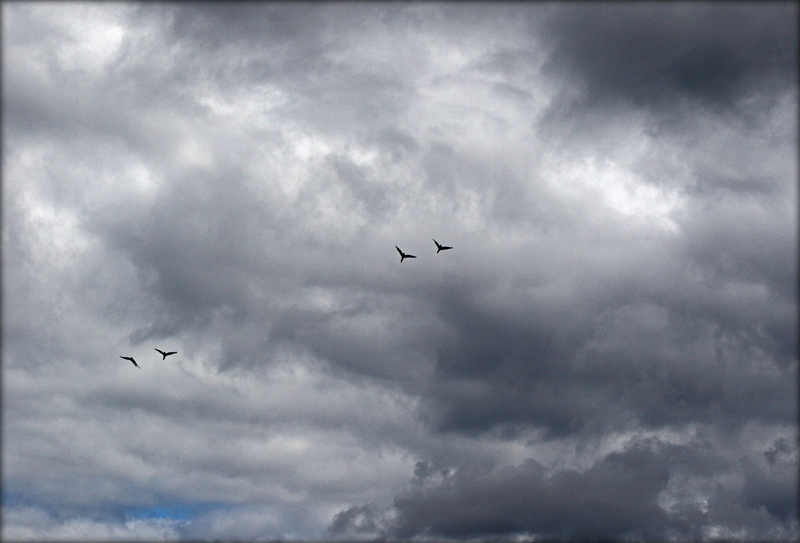 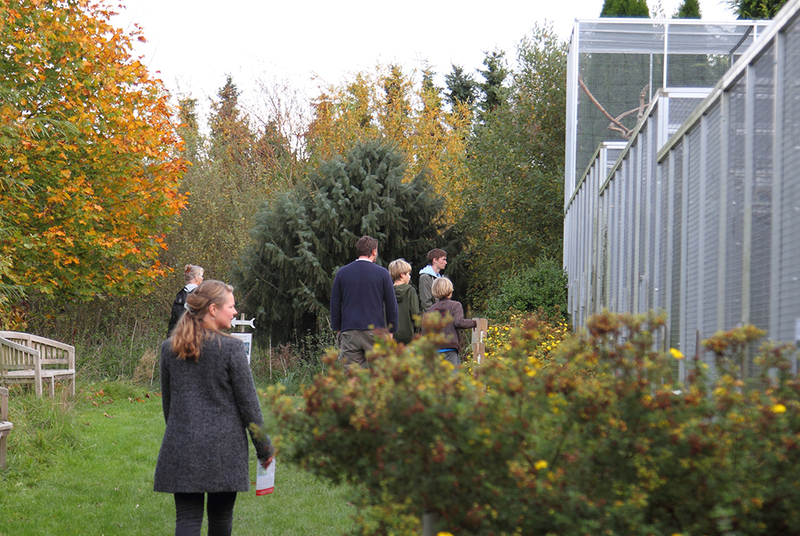 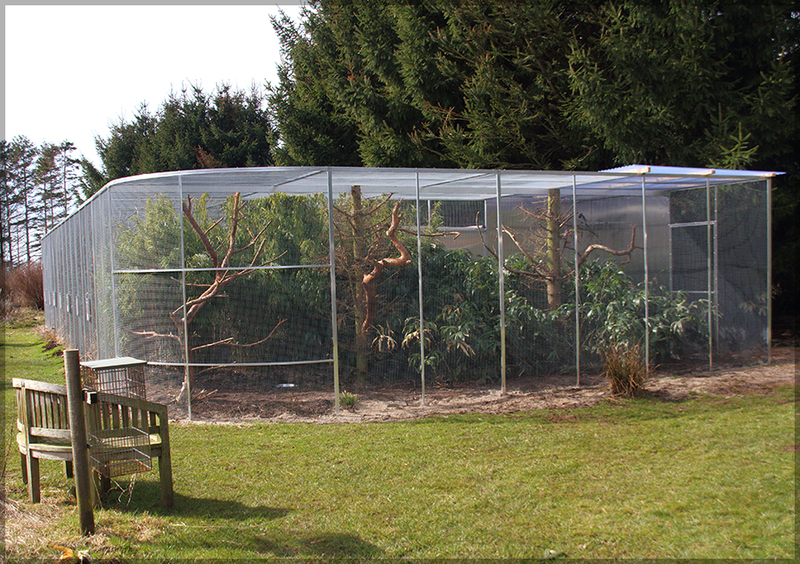 It will provide the birds with much needed space and quiet to breed and rear their young ones. 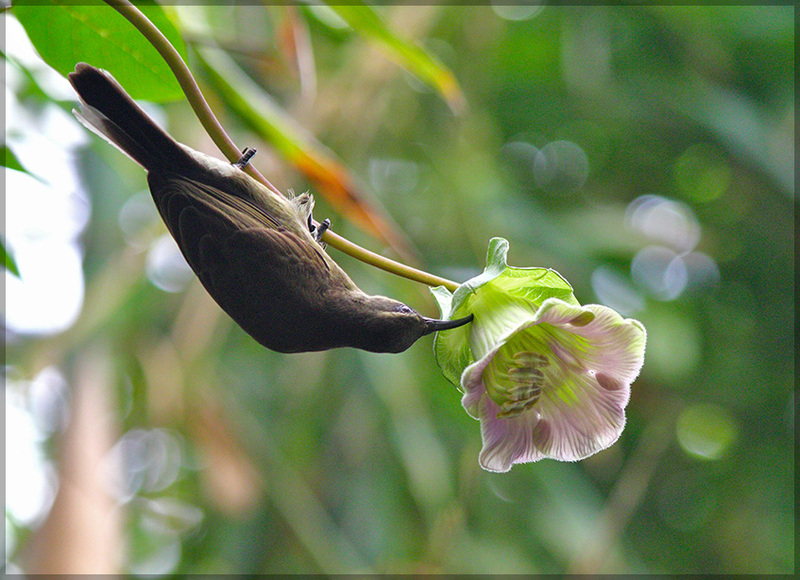 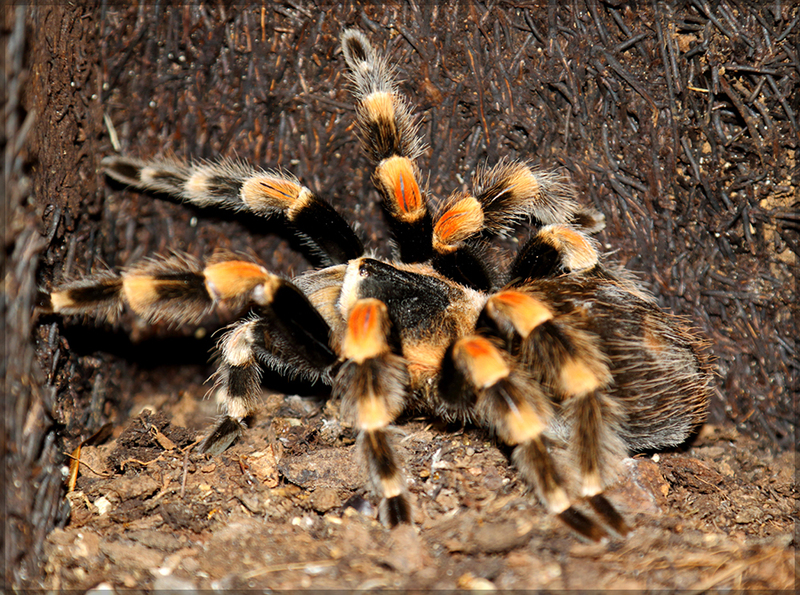 In addition, this also serves to attract insects and other animals and provide them with a natural source of food. 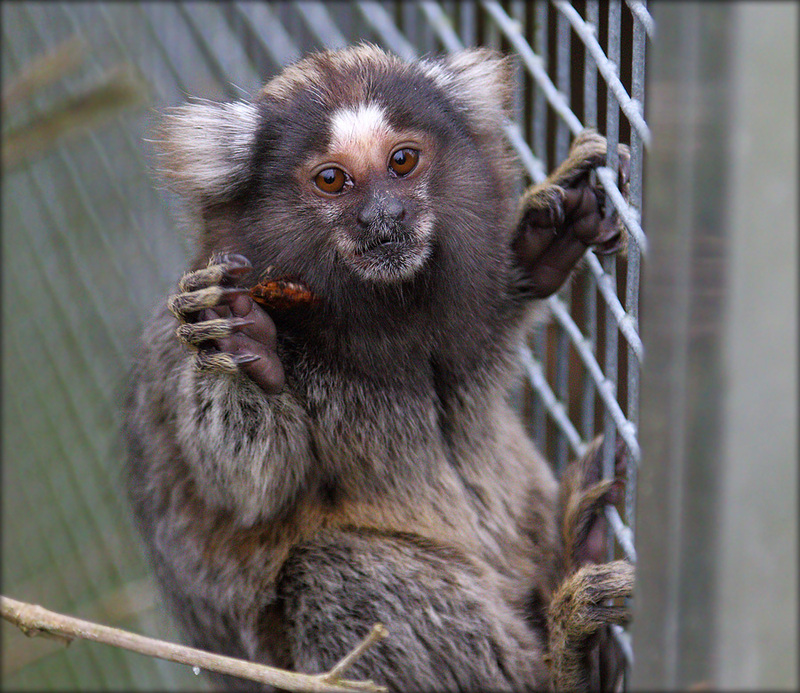 It is not possible to keep the park open during the winter season where all our animals need protection from the cold. 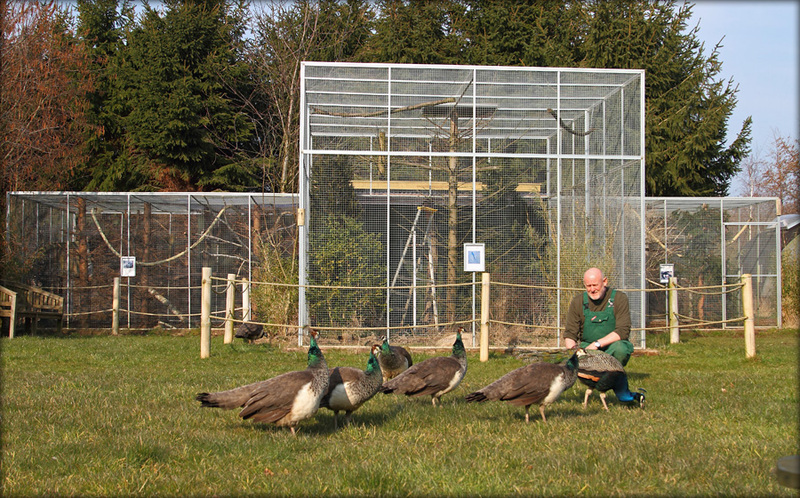 Our Restaurant and Reception are changed into a heated winter retreat for the most fragile inhabitants and we put up weather protectors on all our aviaries for our most hardy inhabitants. 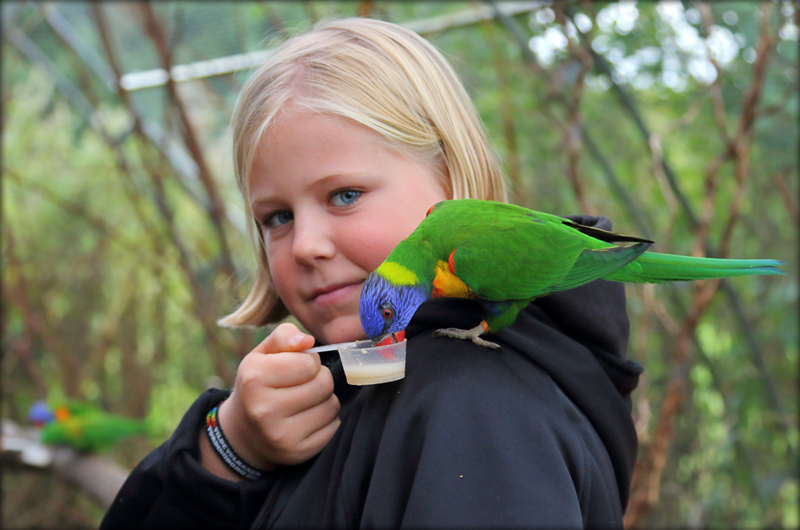 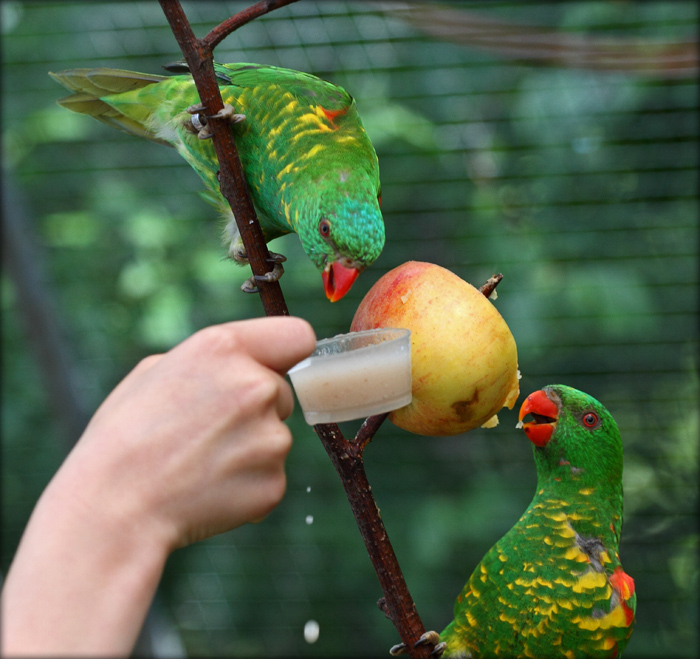 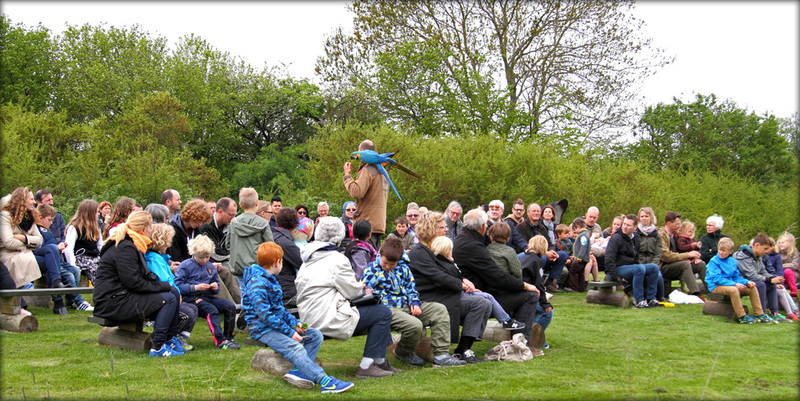 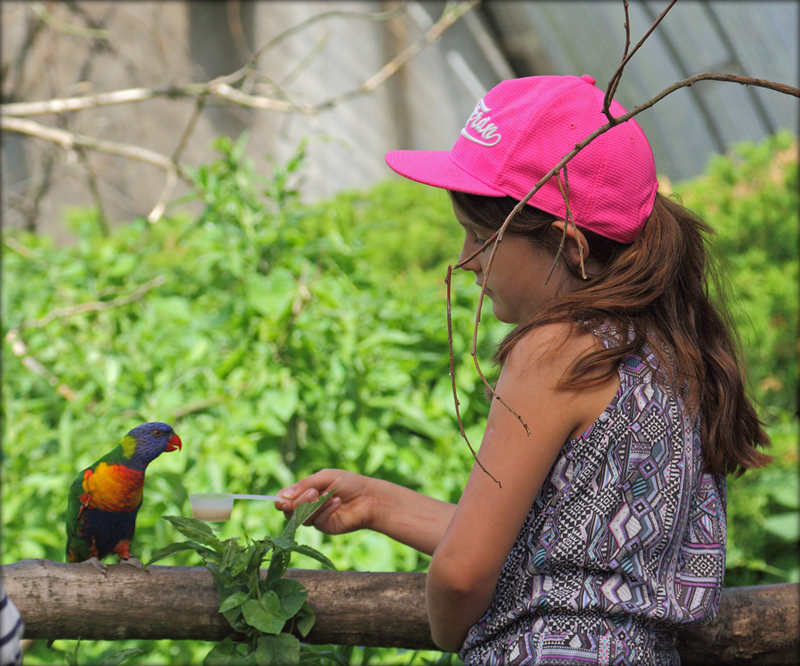 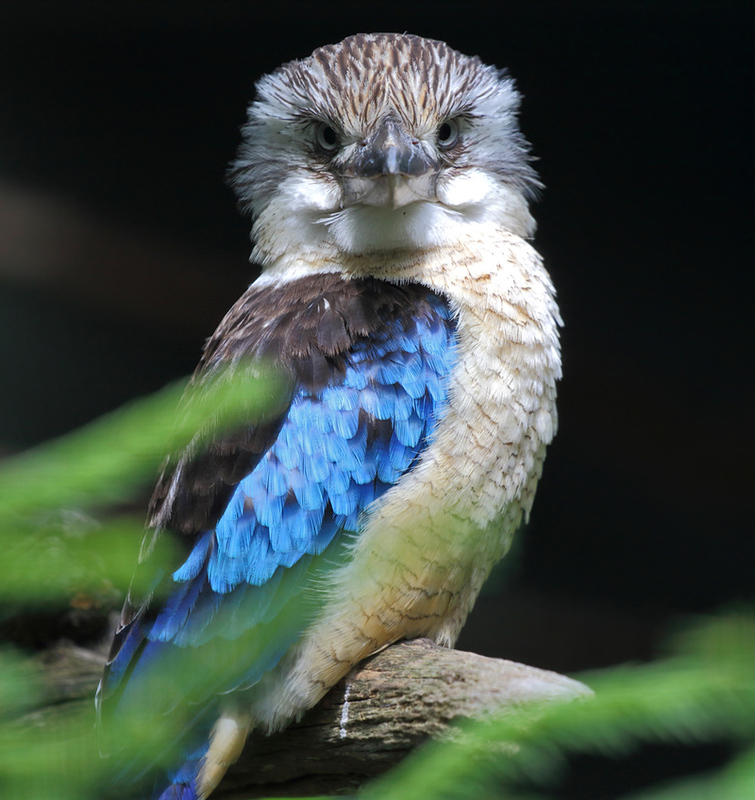 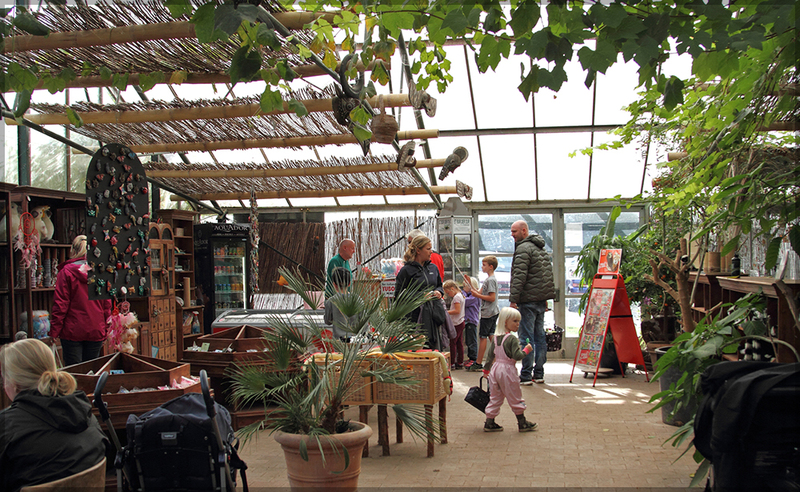 Our bird park is an oasis which treats both families, bird and nature lovers with experiences every day throughout the spring, summer and autumn seasons. 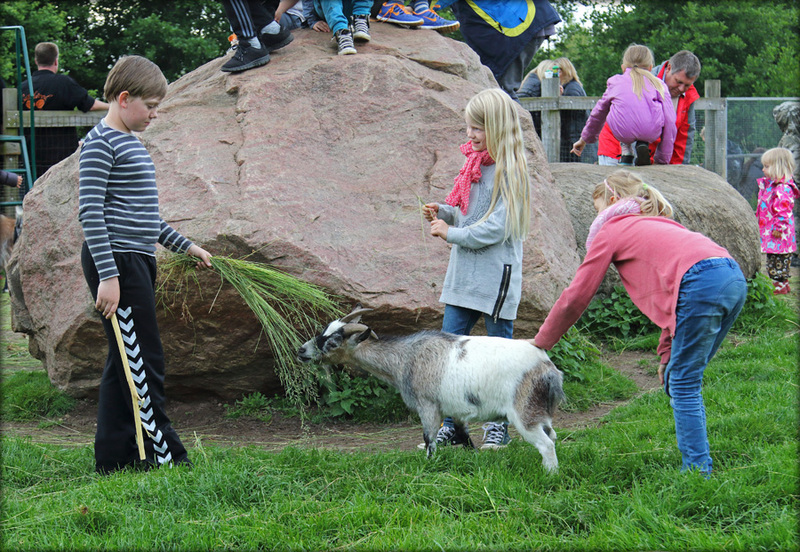 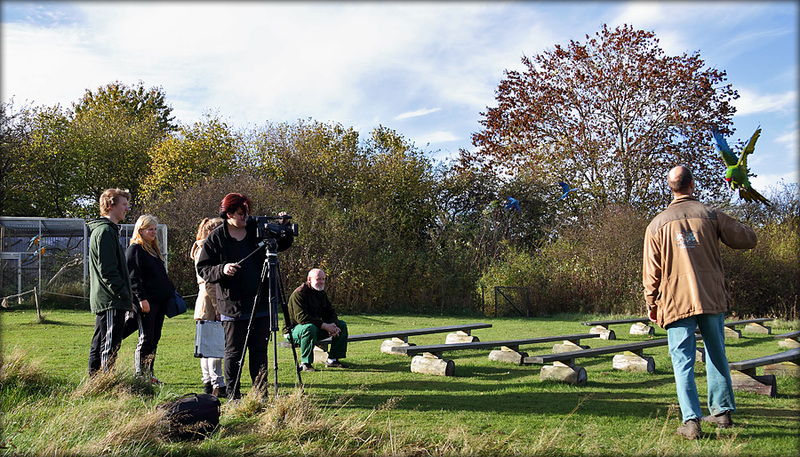 Guests can wander around the park and also enjoy their own packed lunches and learn about the park and all its inhabitants.